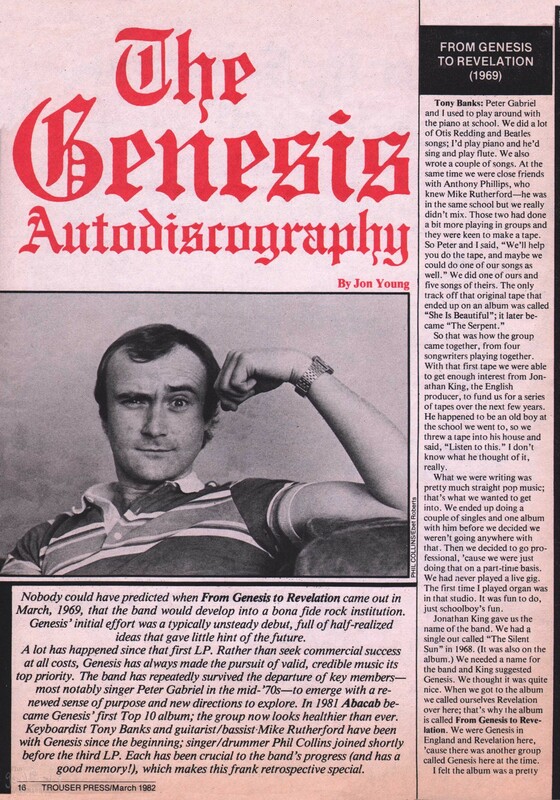 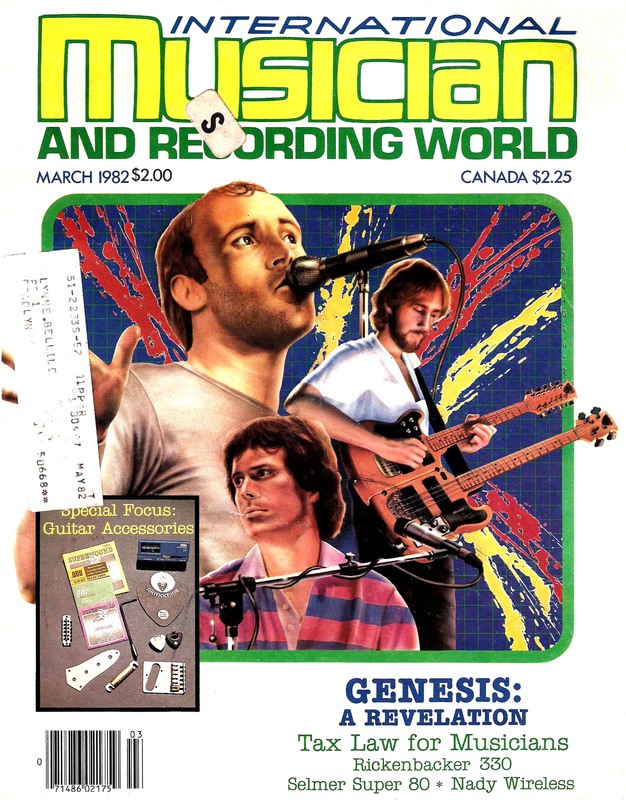 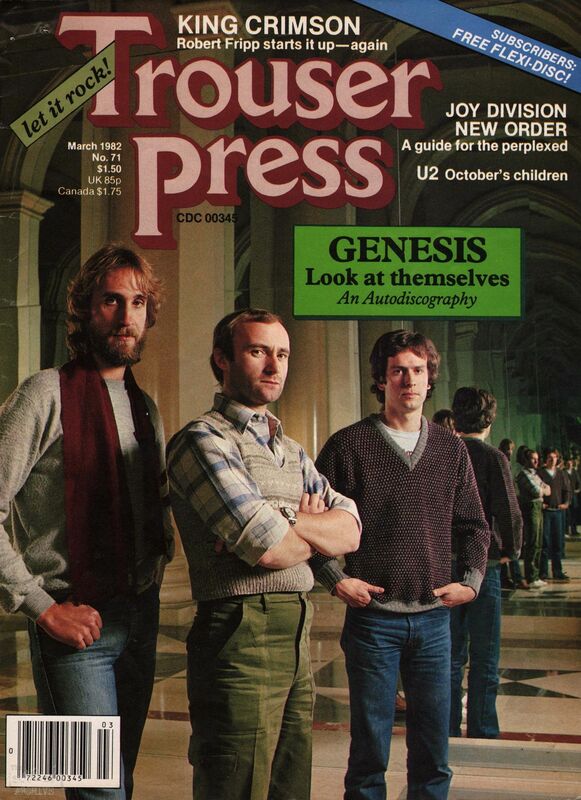 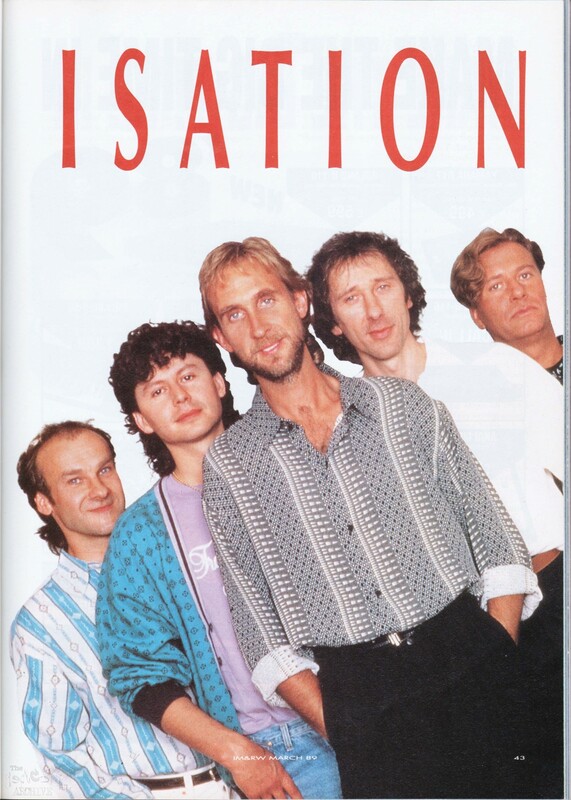 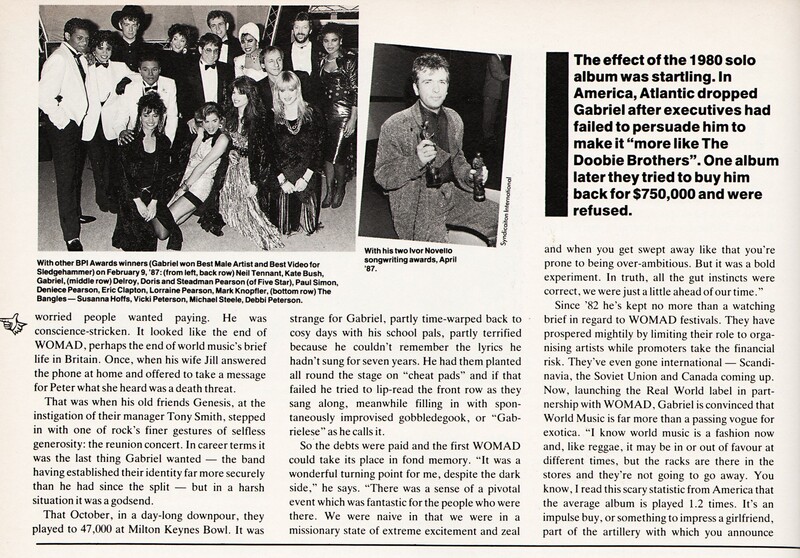 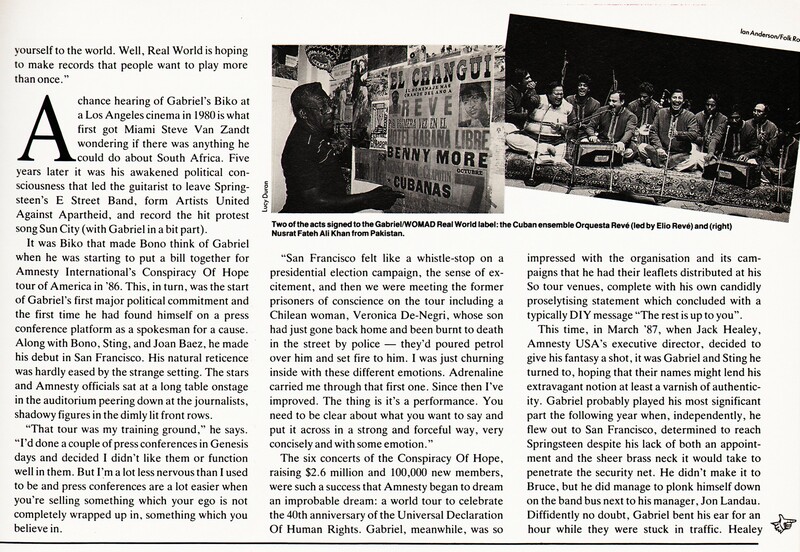 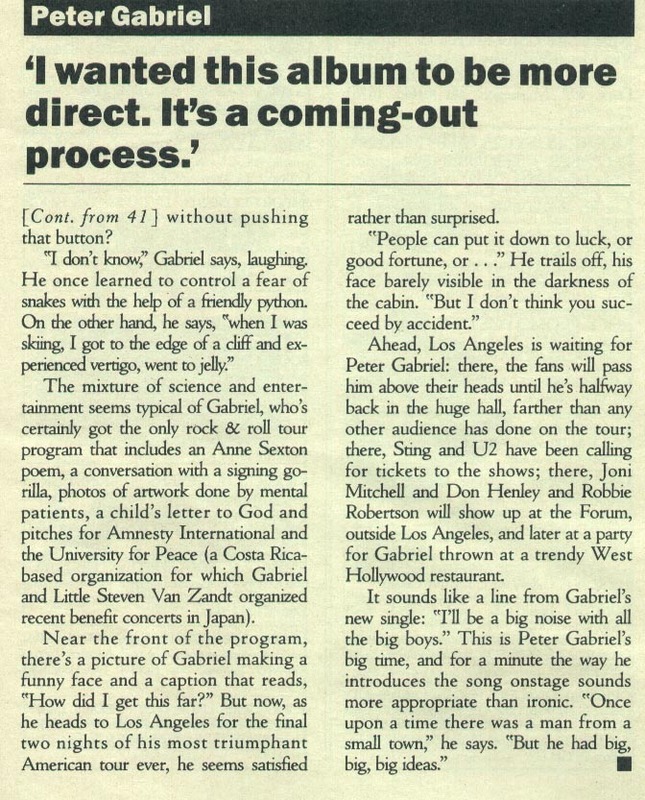 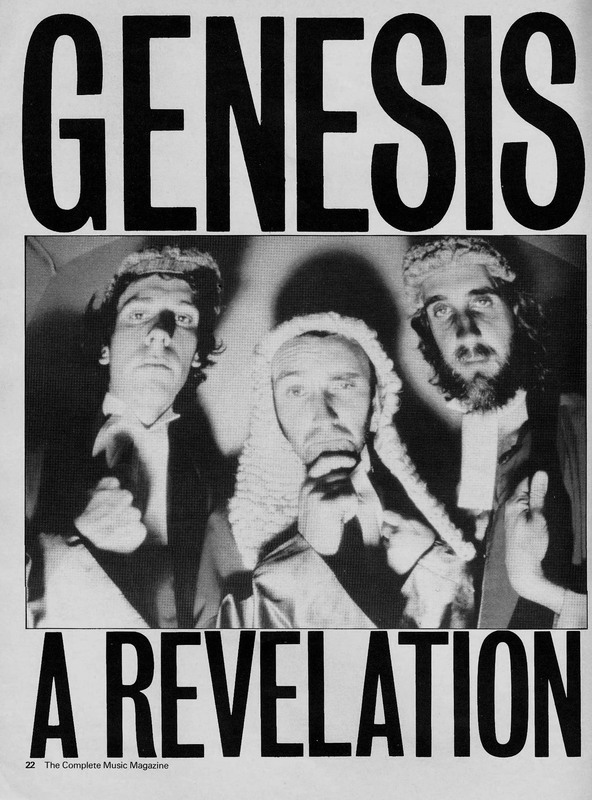 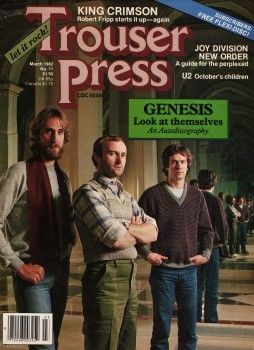 Genesis are interviewed for International Musician and Recording World sometime in 1980. 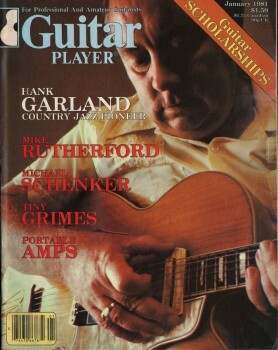 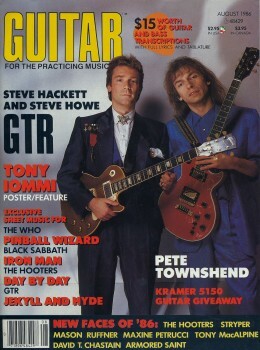 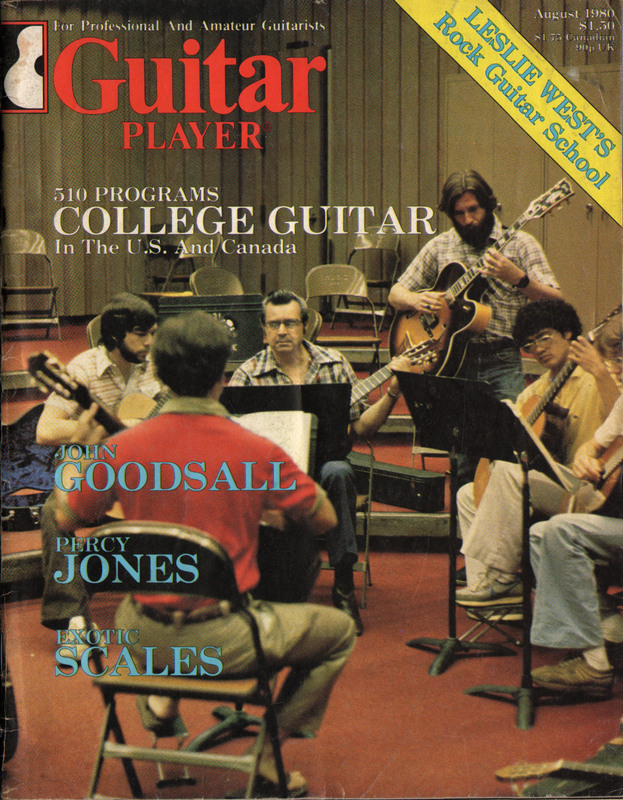 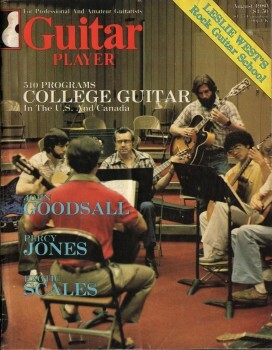 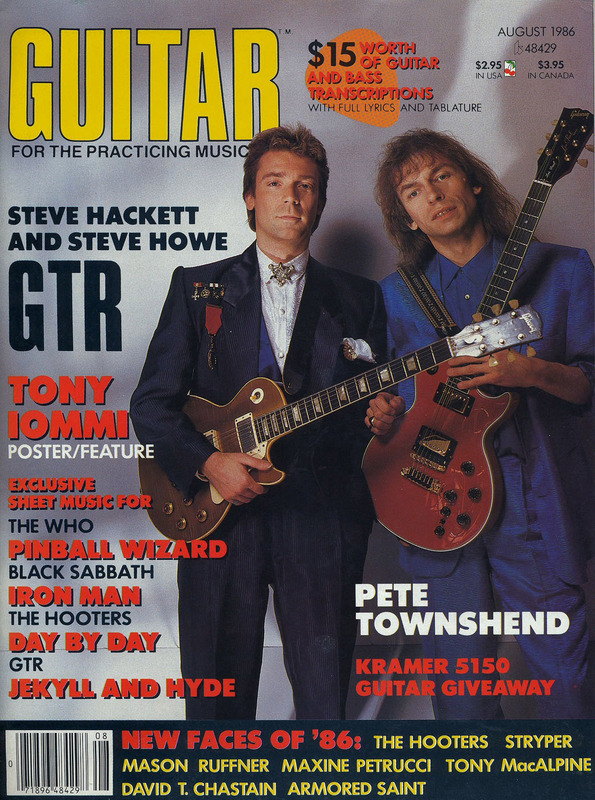 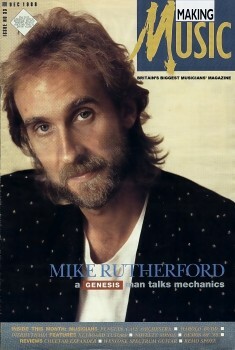 Mike Rutherford is interviewed in this months Guitar Player! 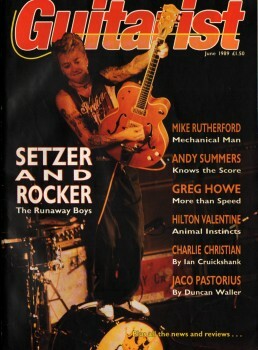 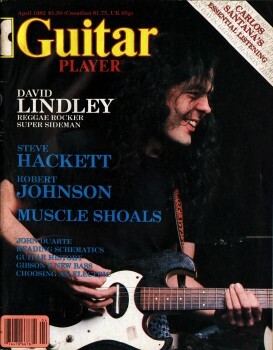 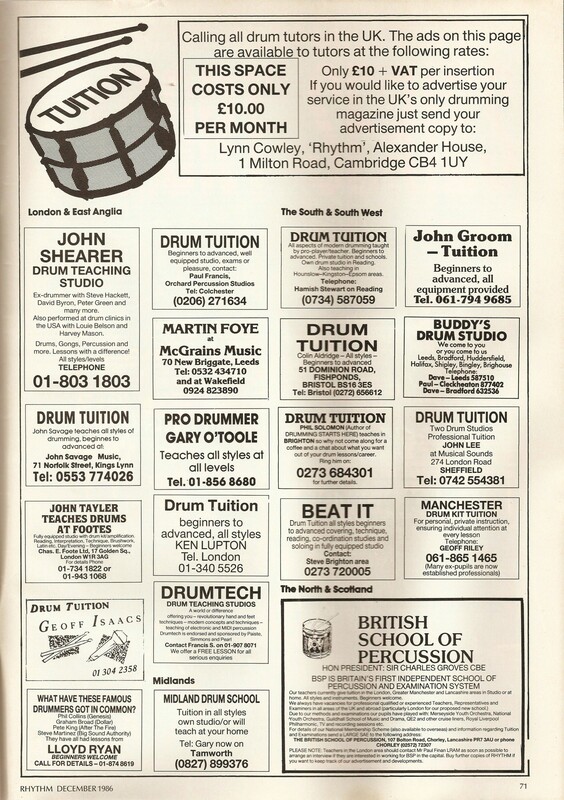 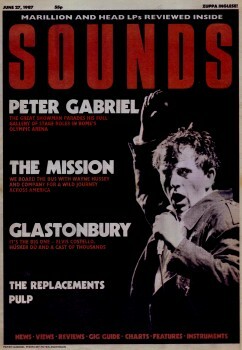 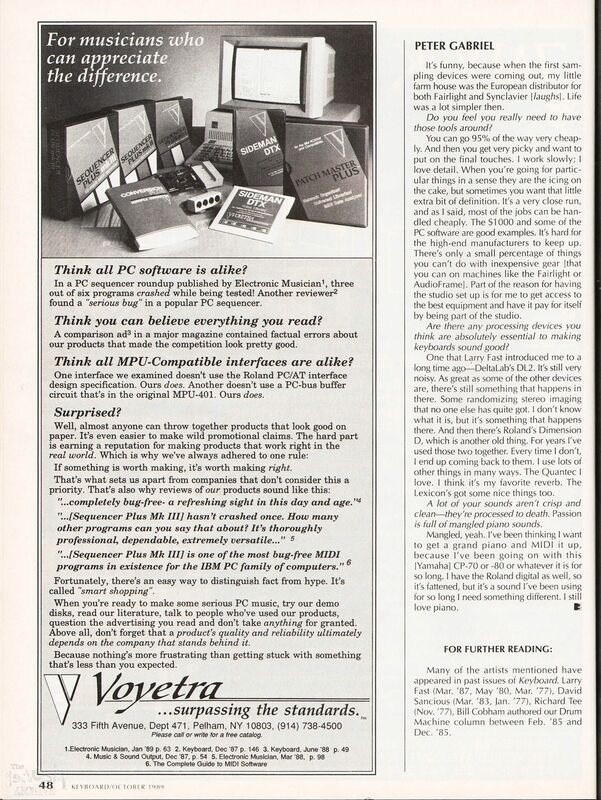 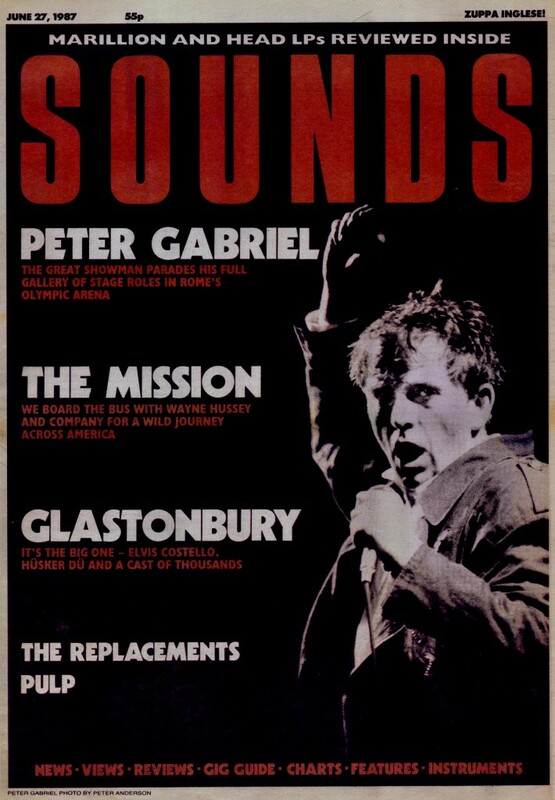 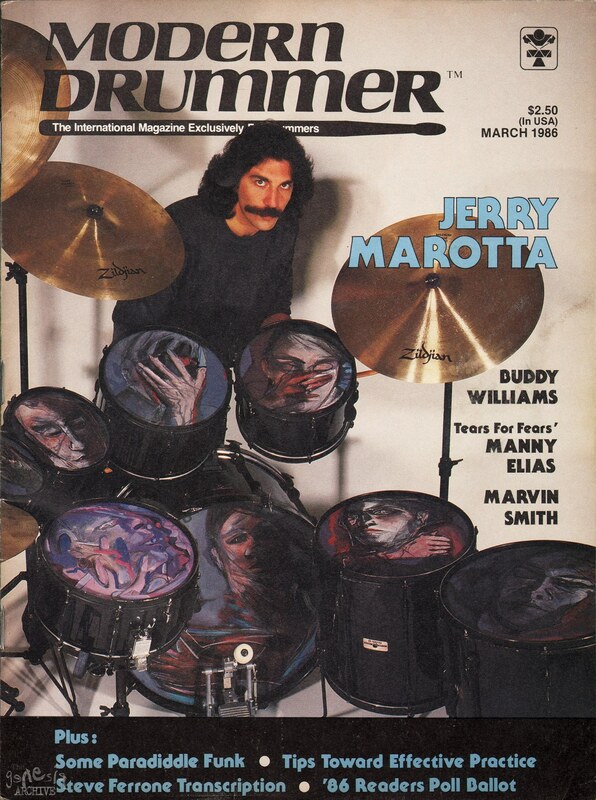 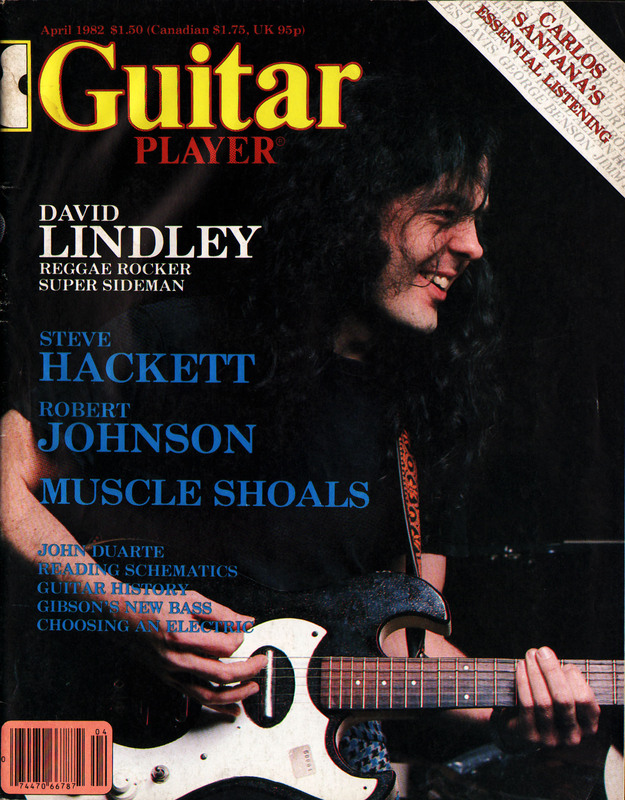 January 1981. 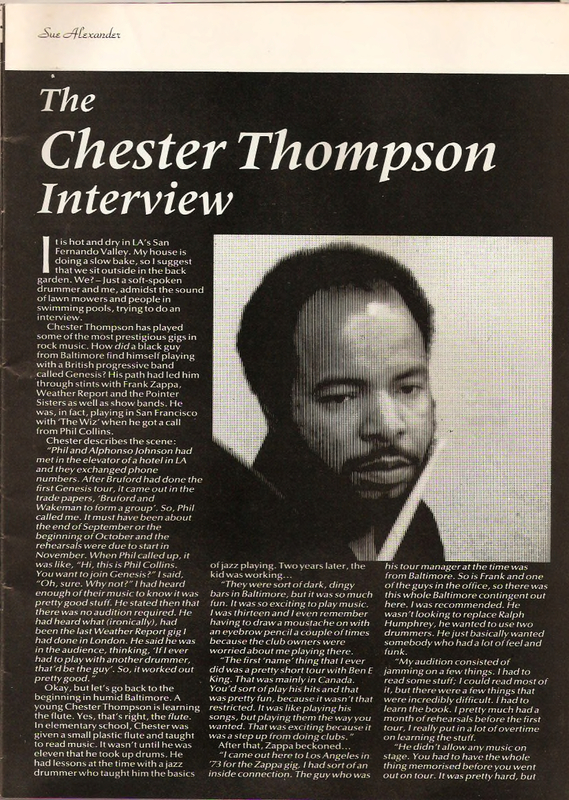 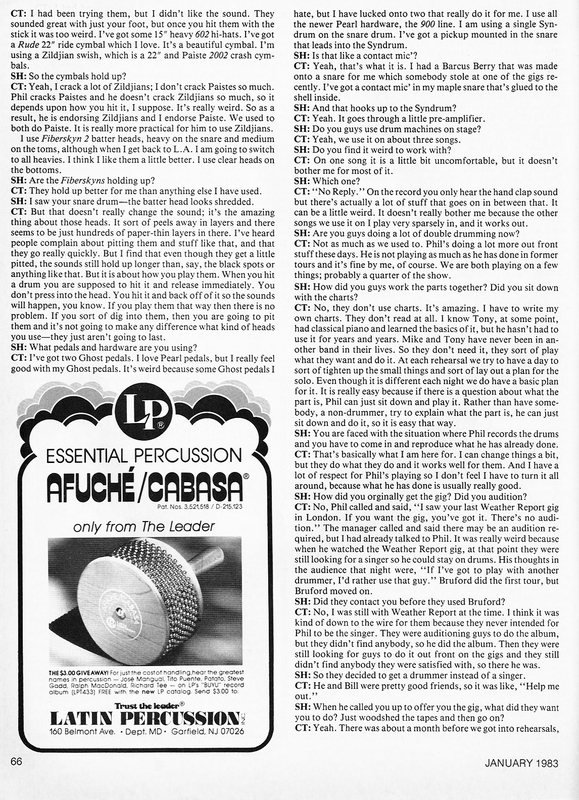 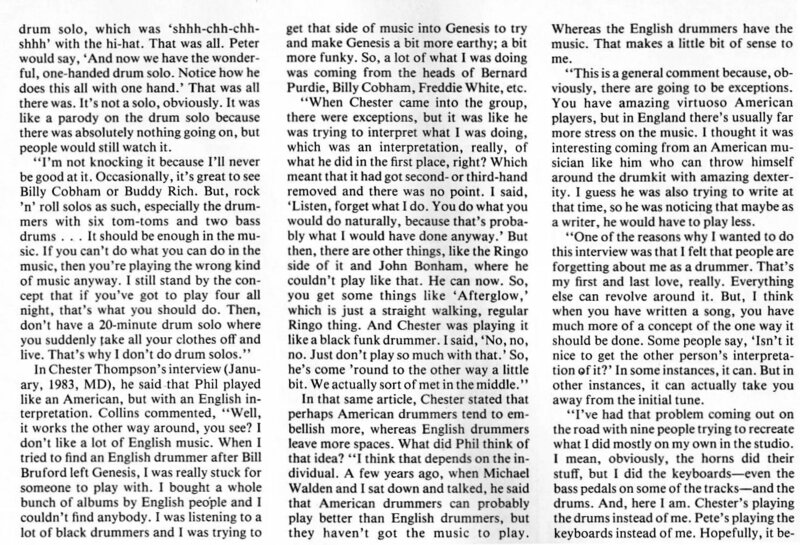 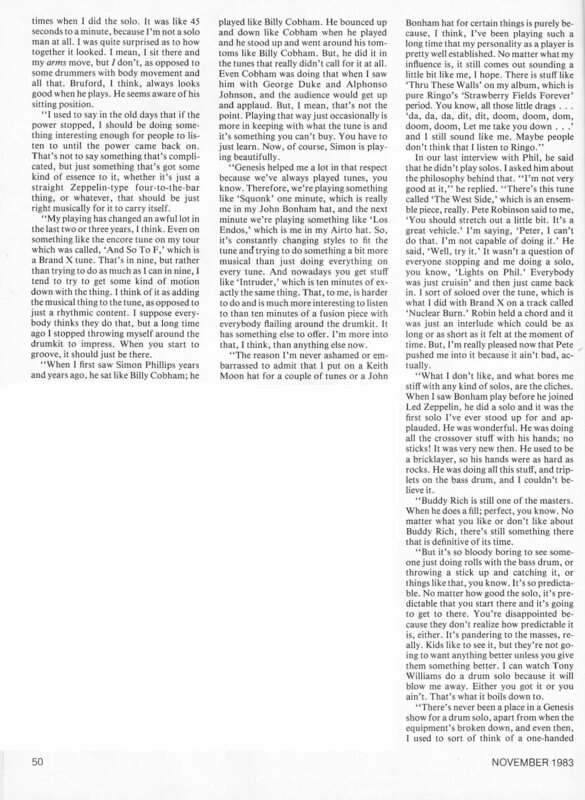 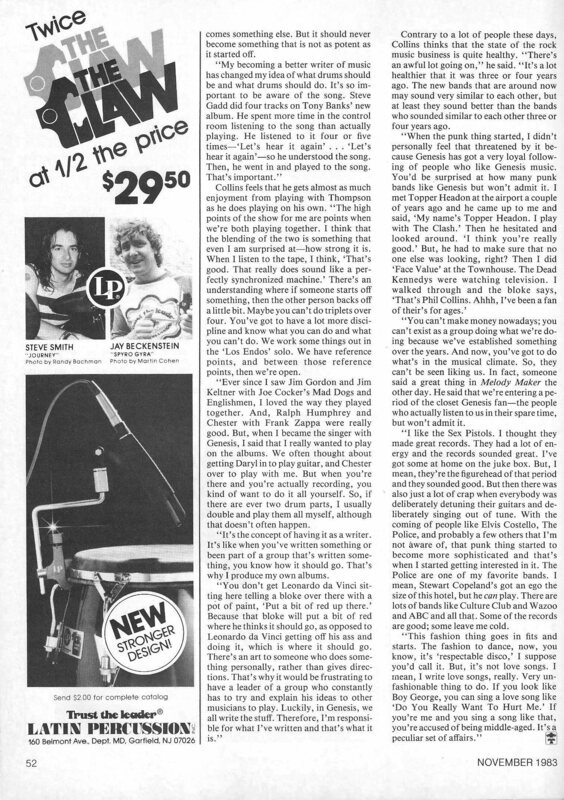 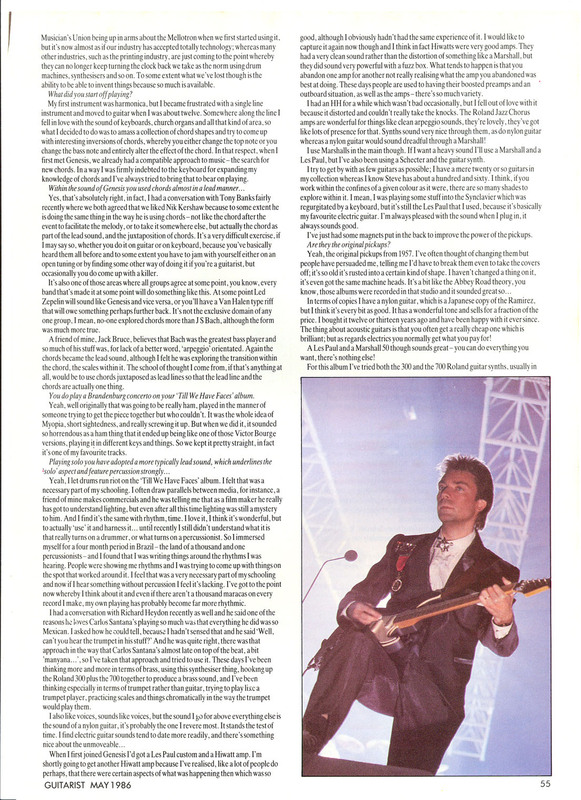 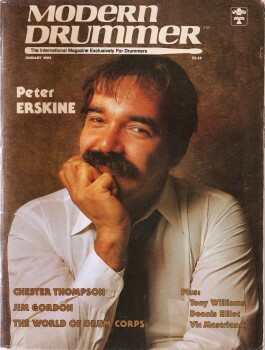 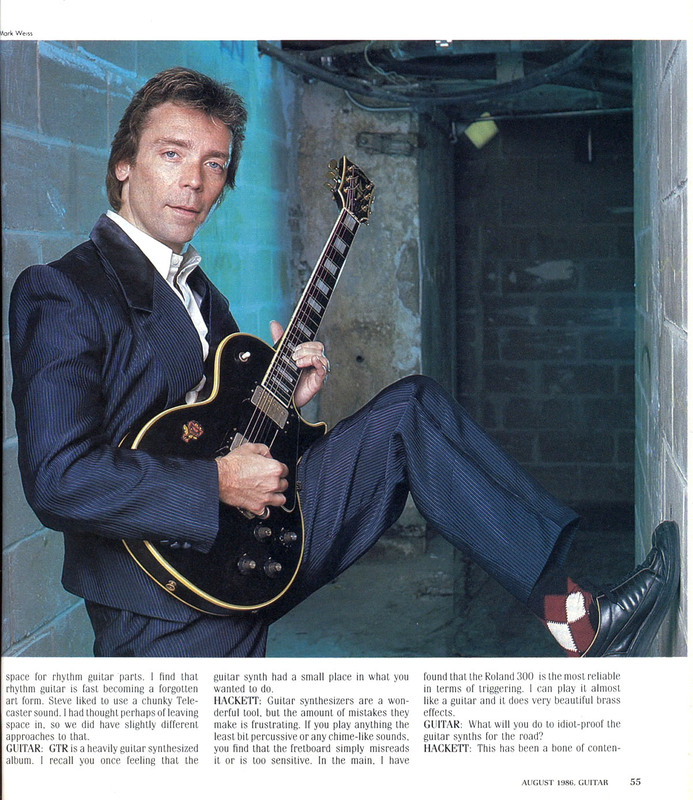 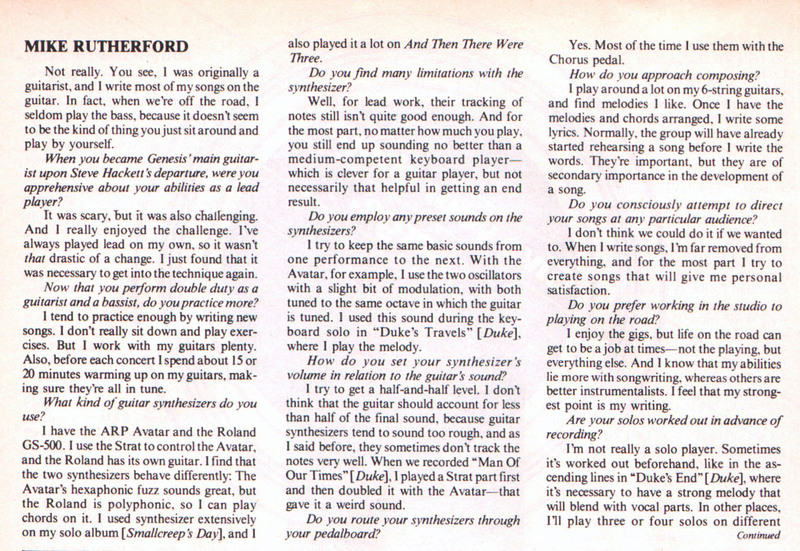 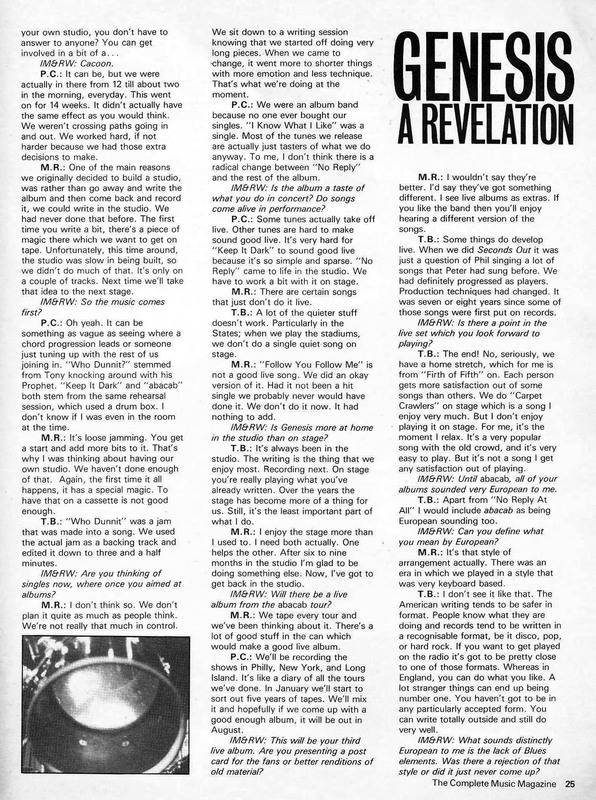 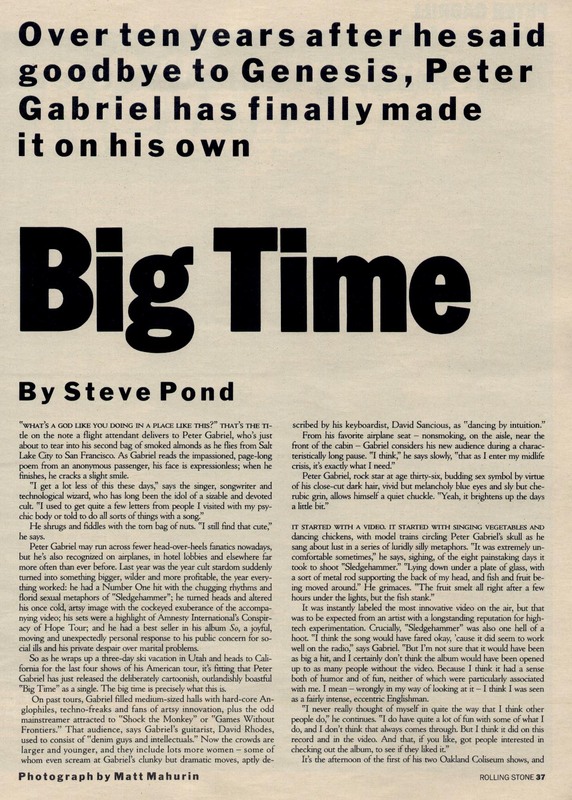 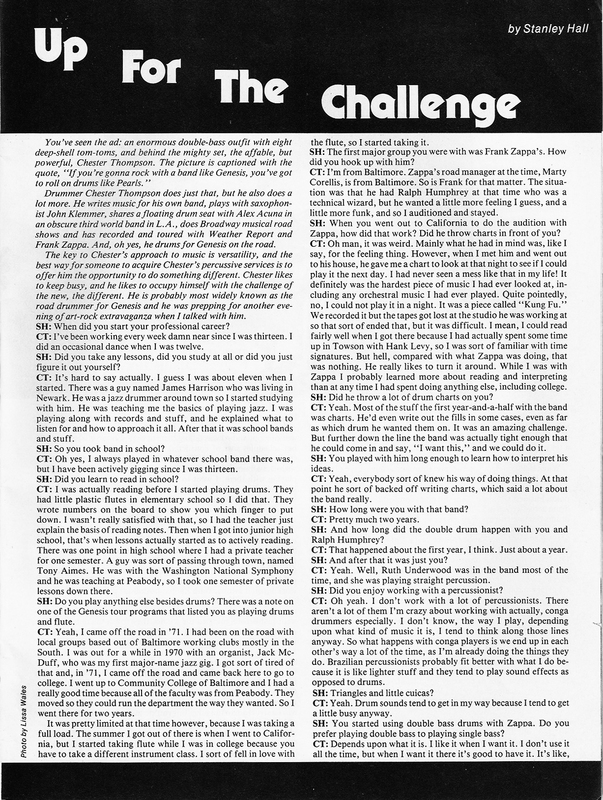 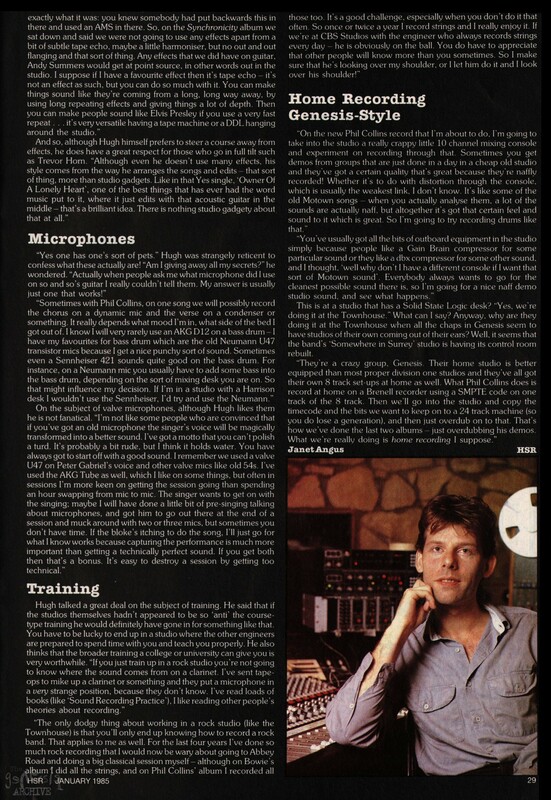 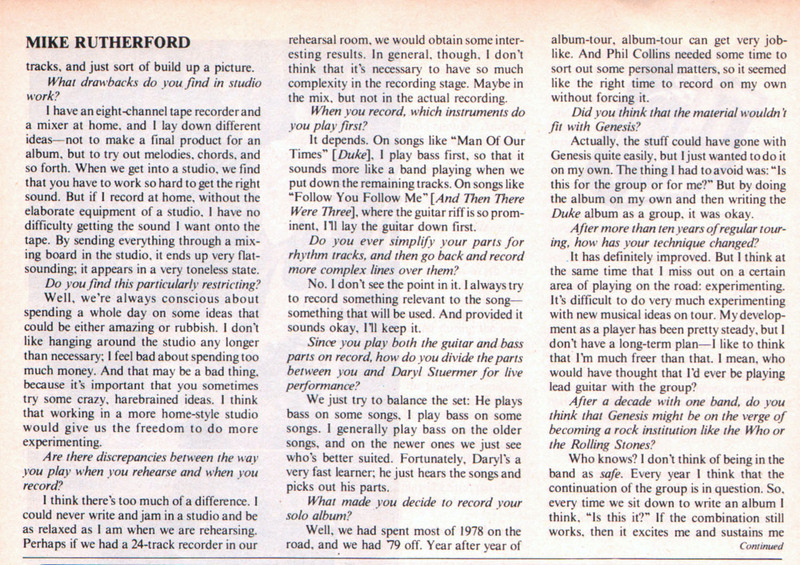 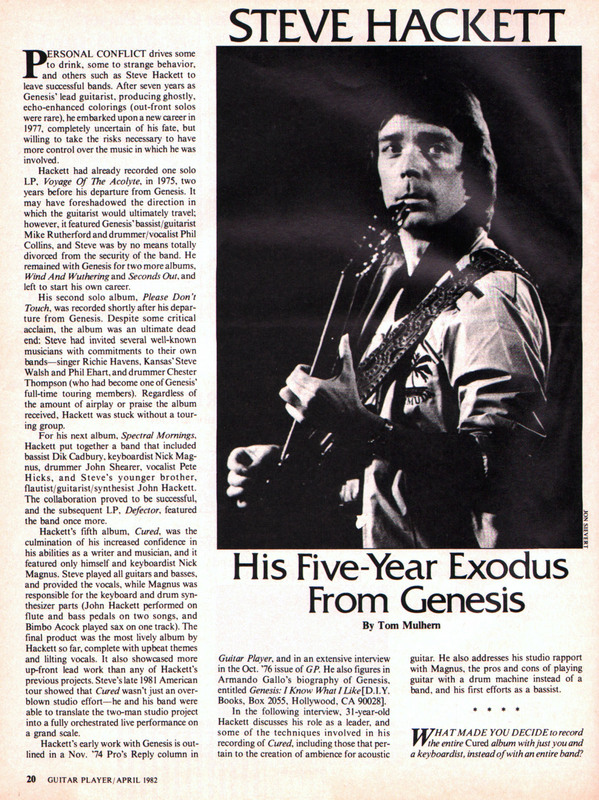 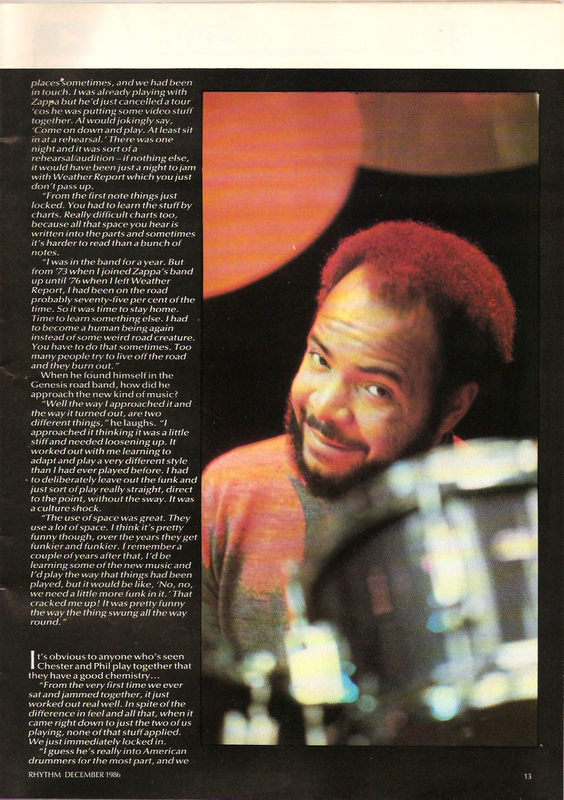 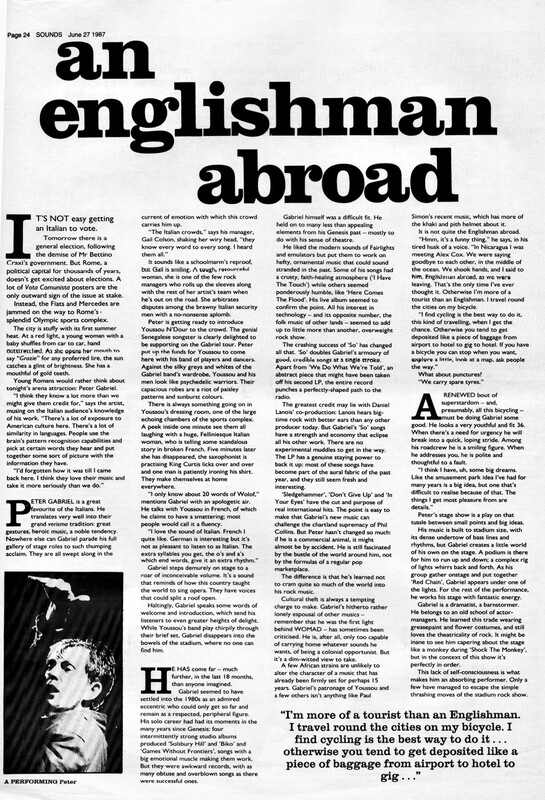 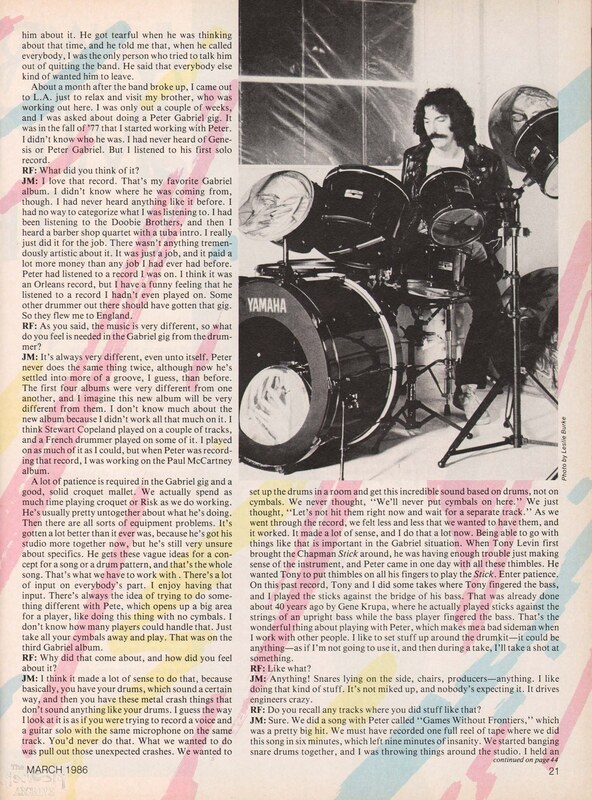 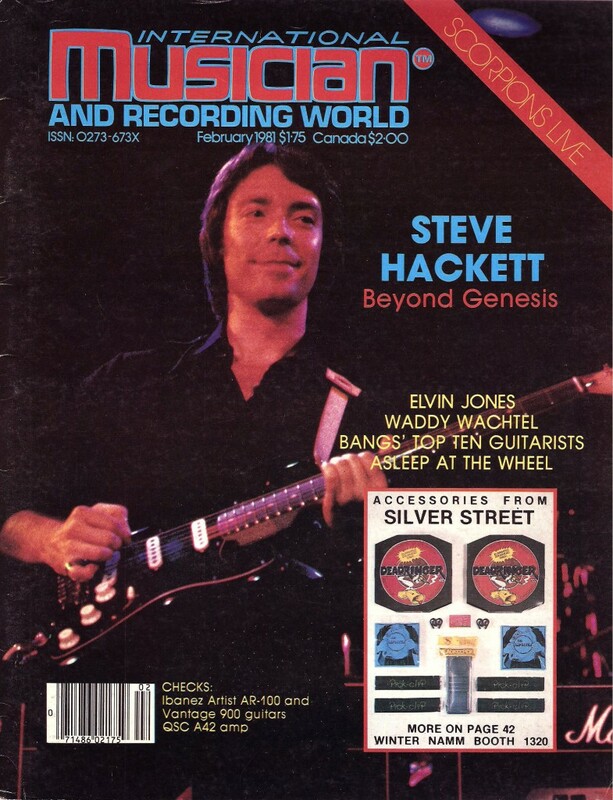 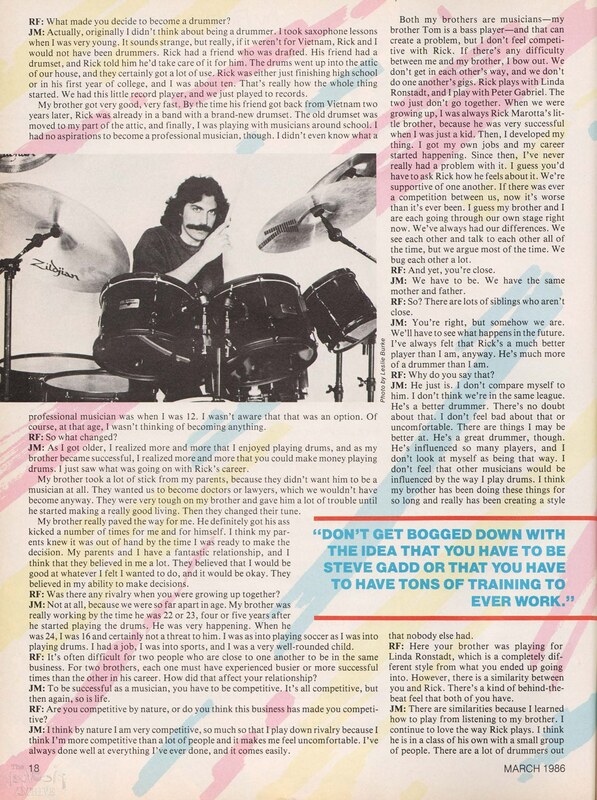 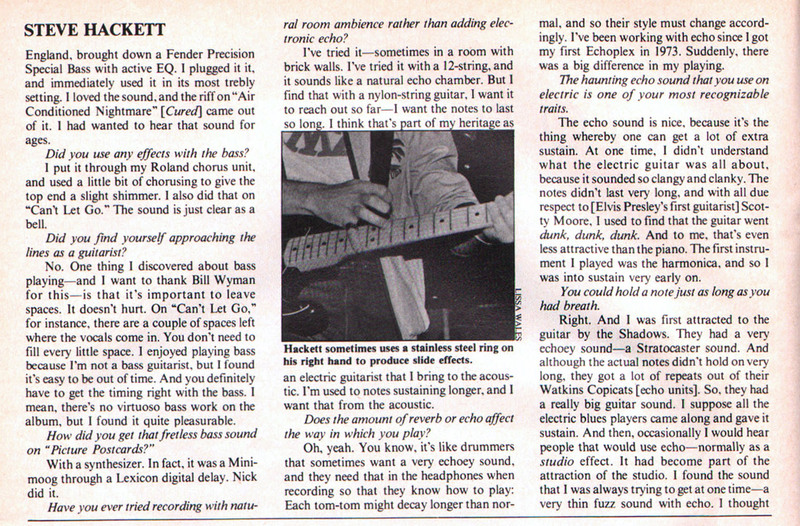 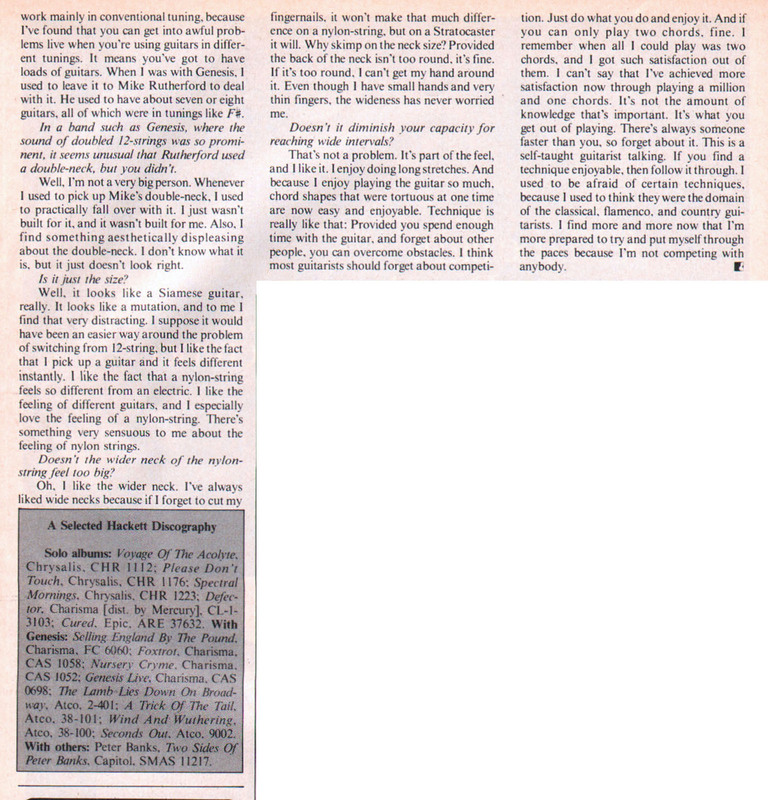 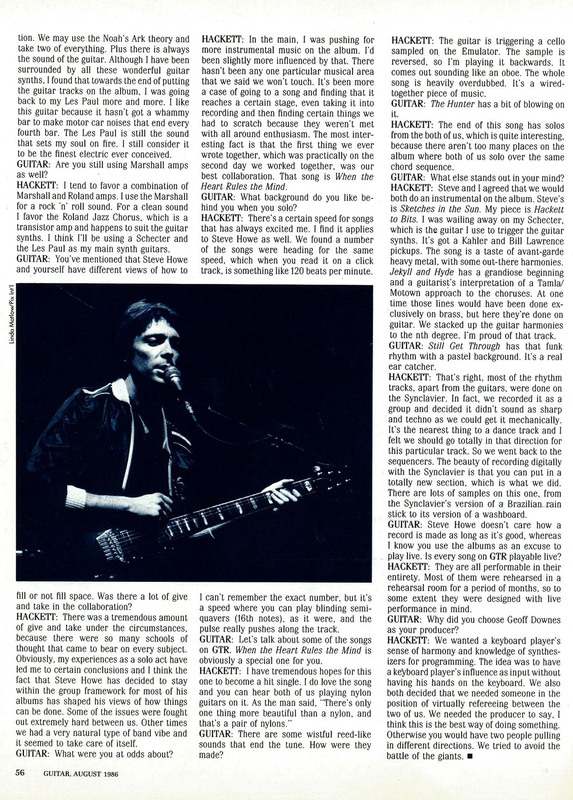 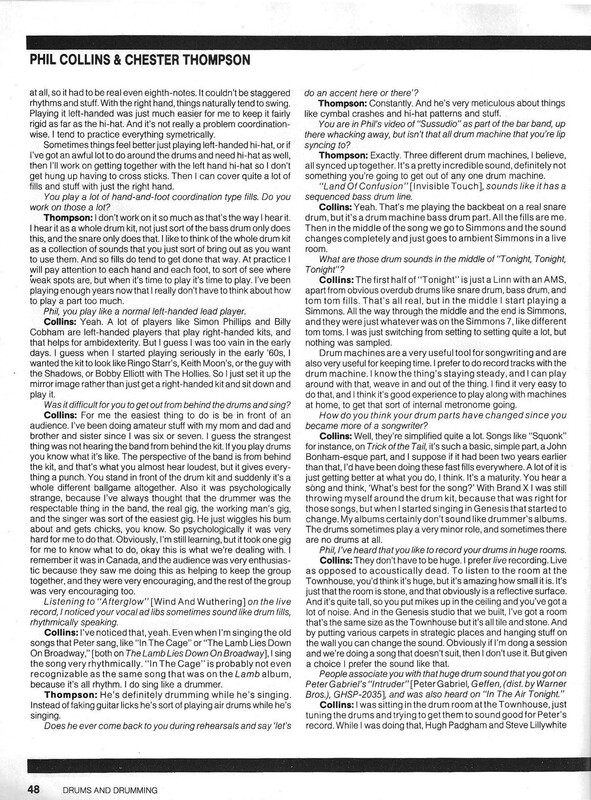 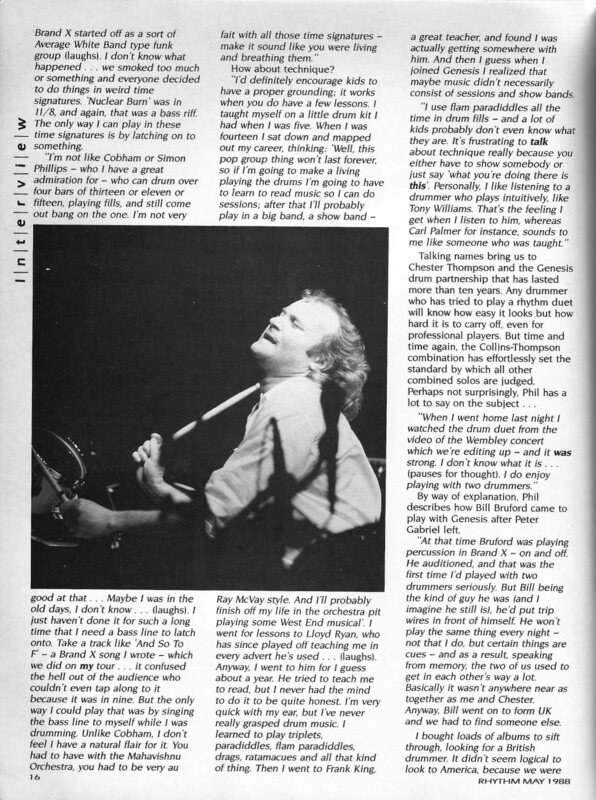 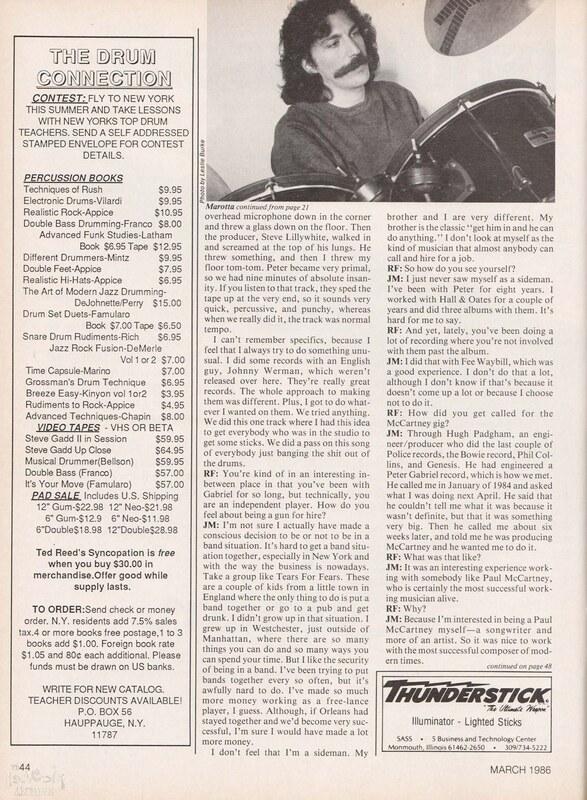 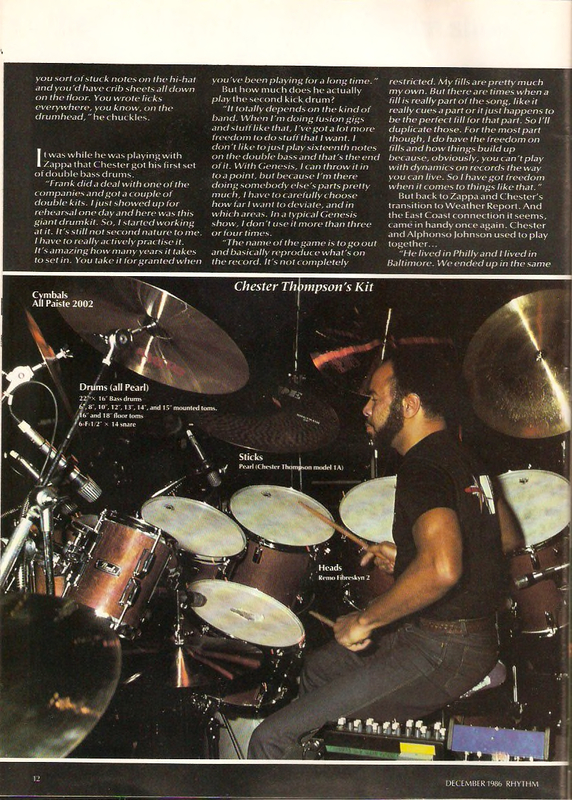 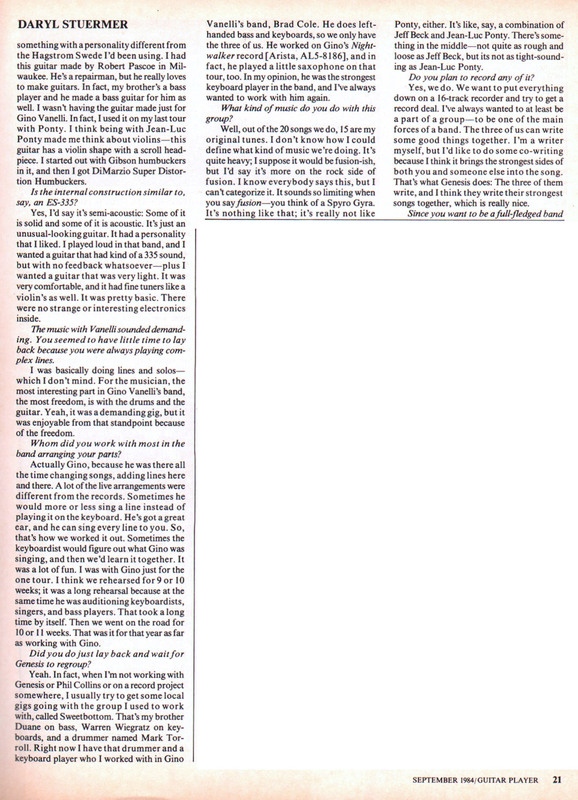 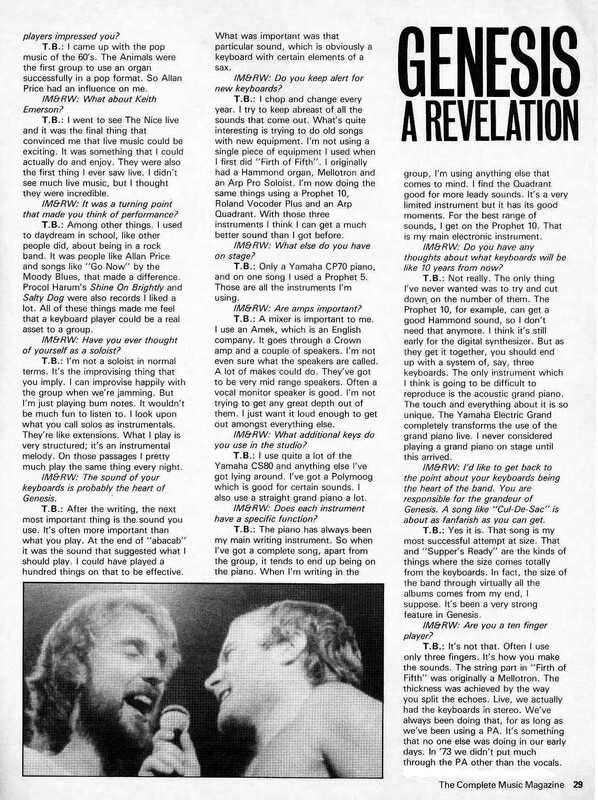 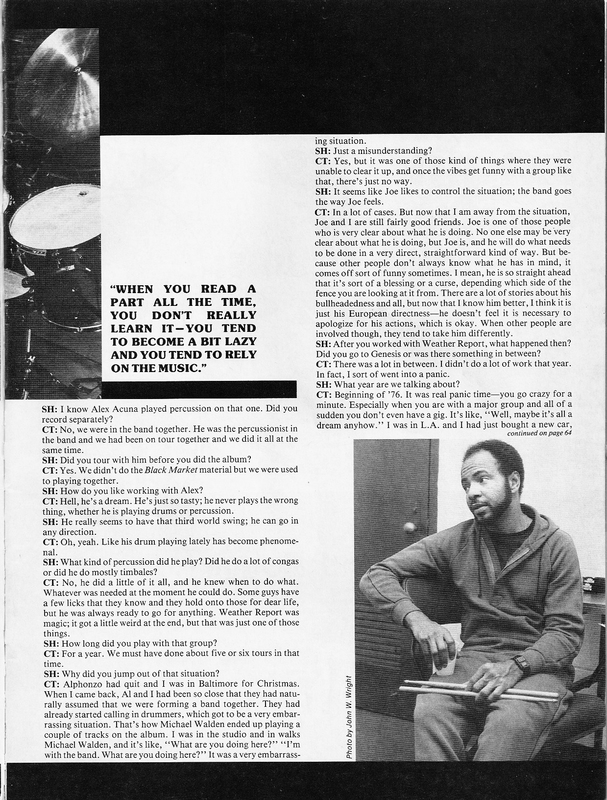 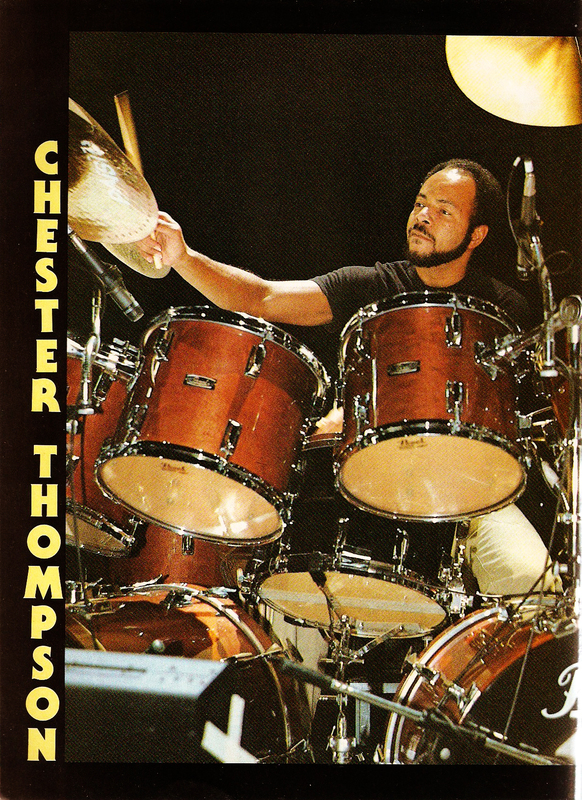 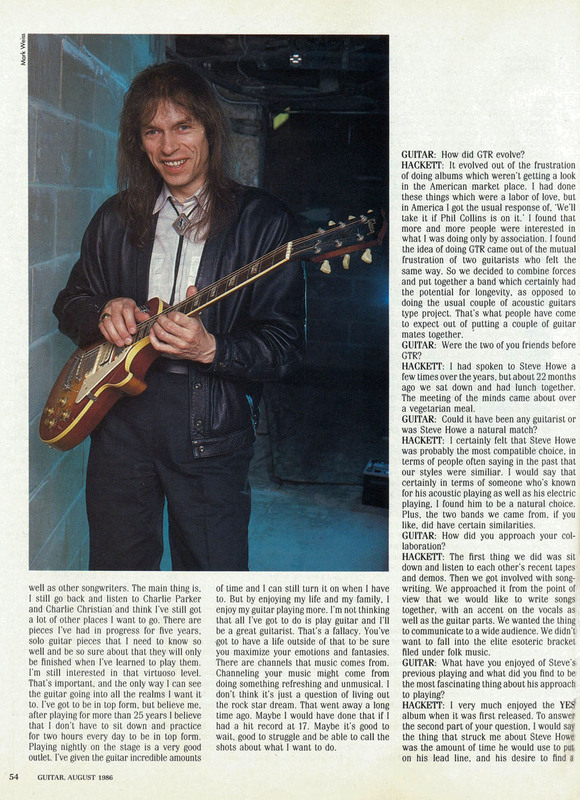 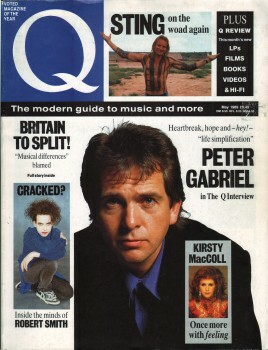 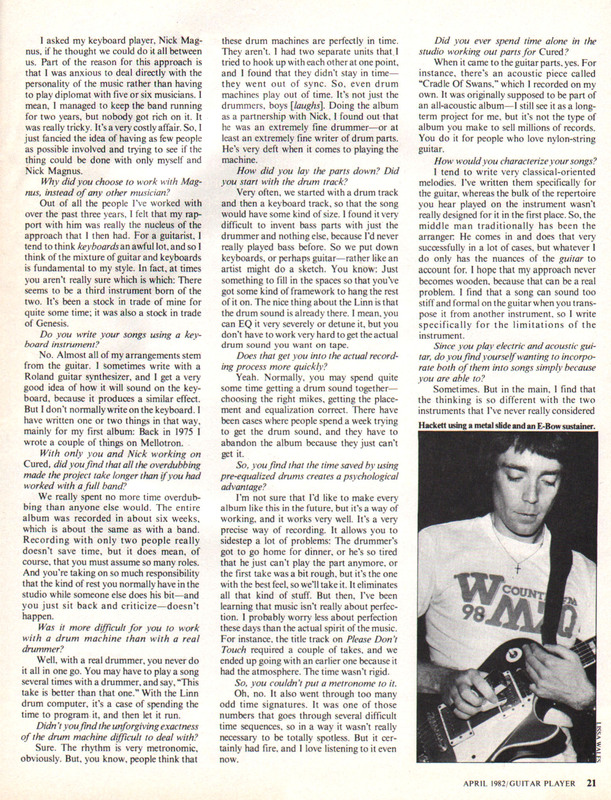 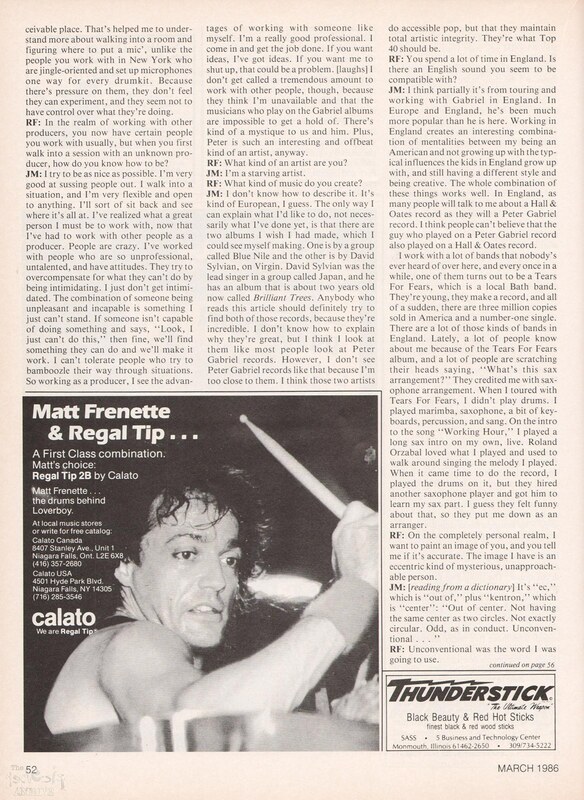 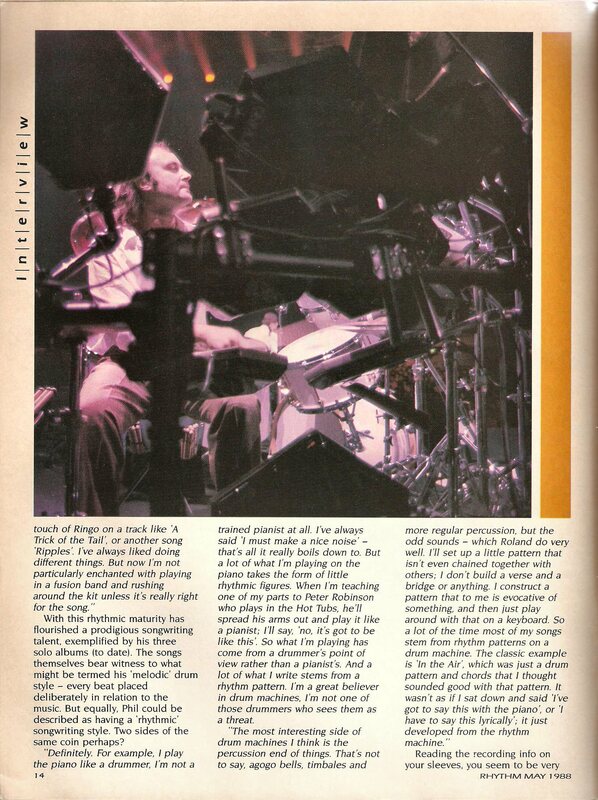 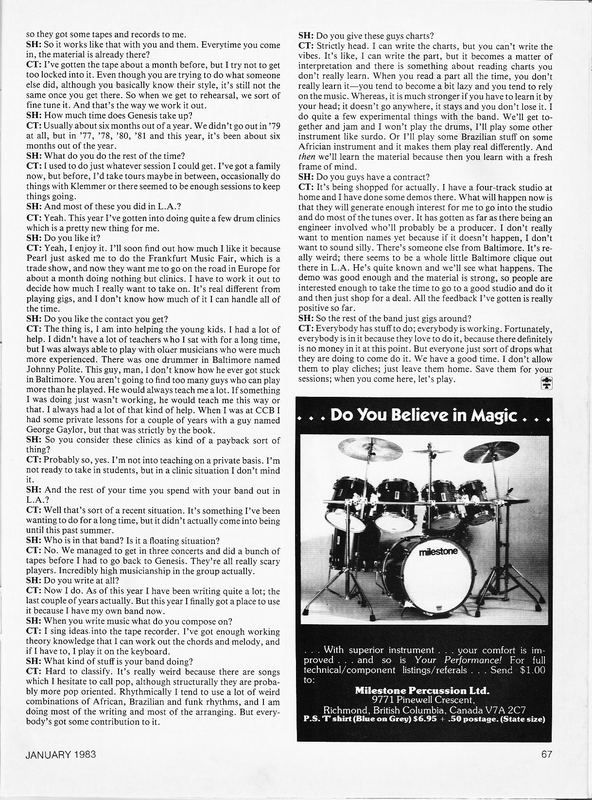 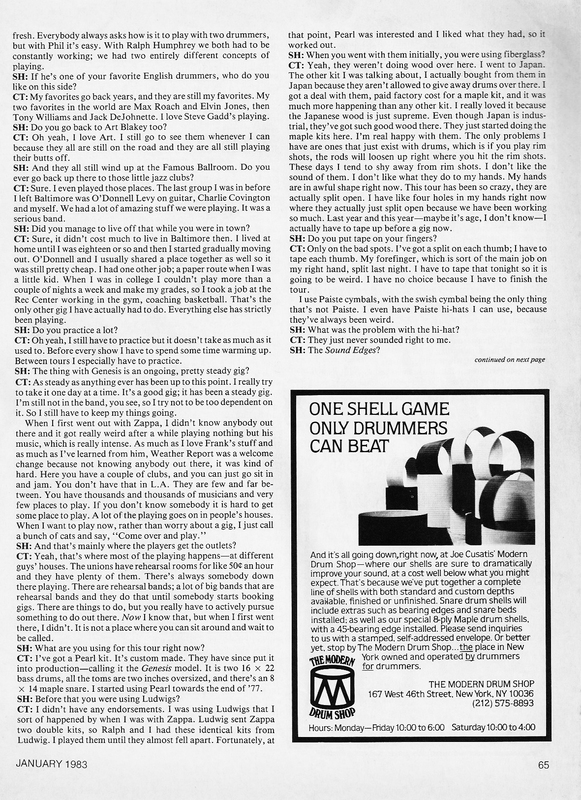 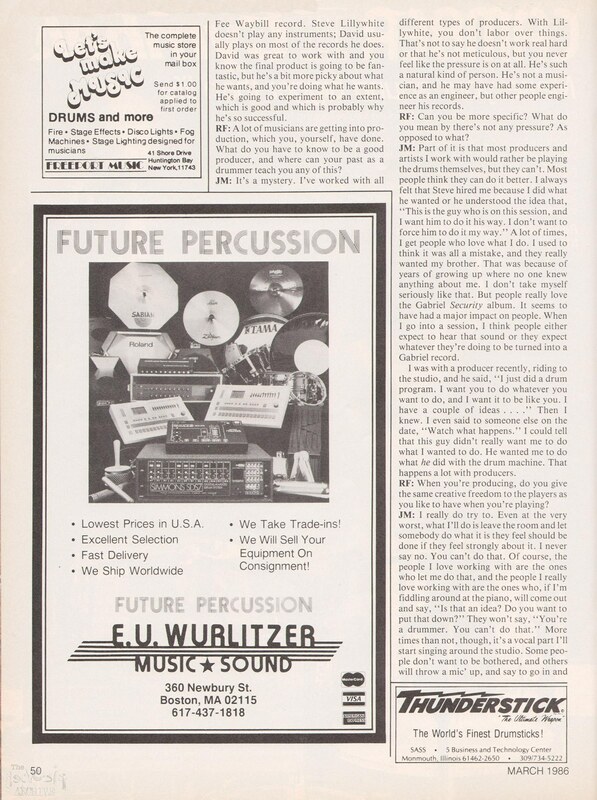 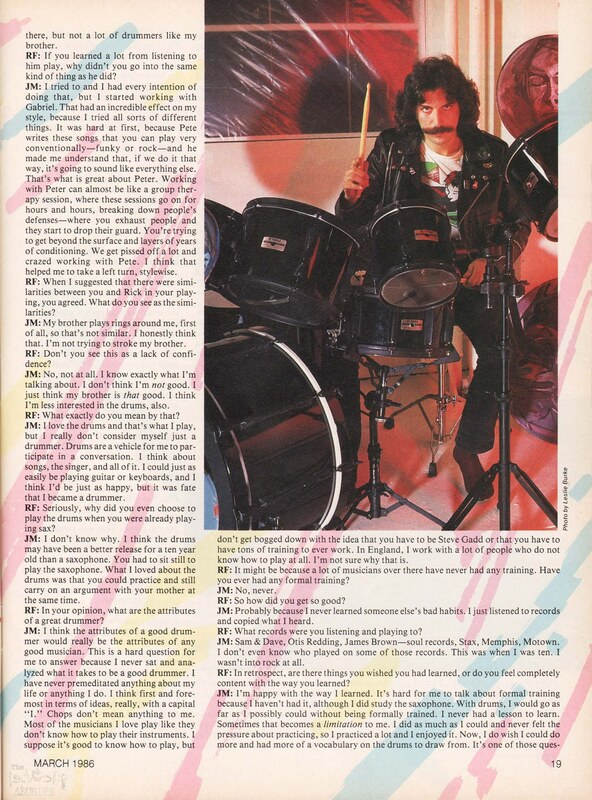 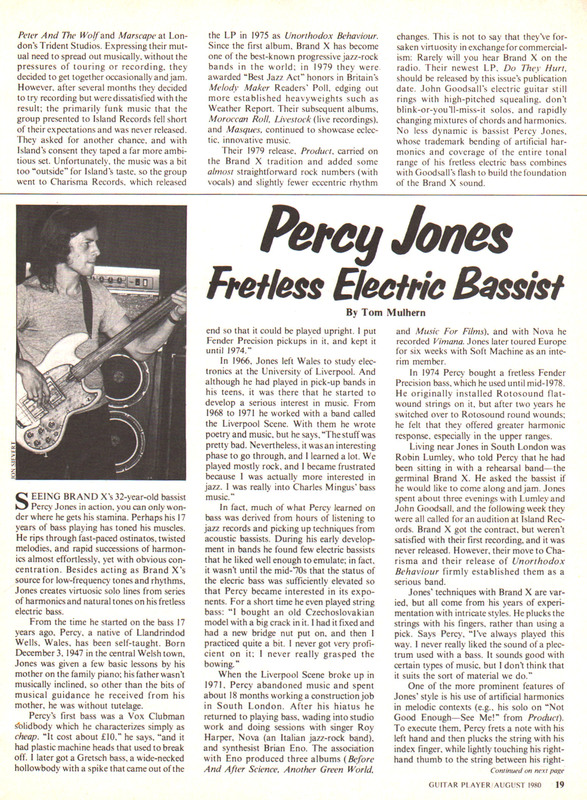 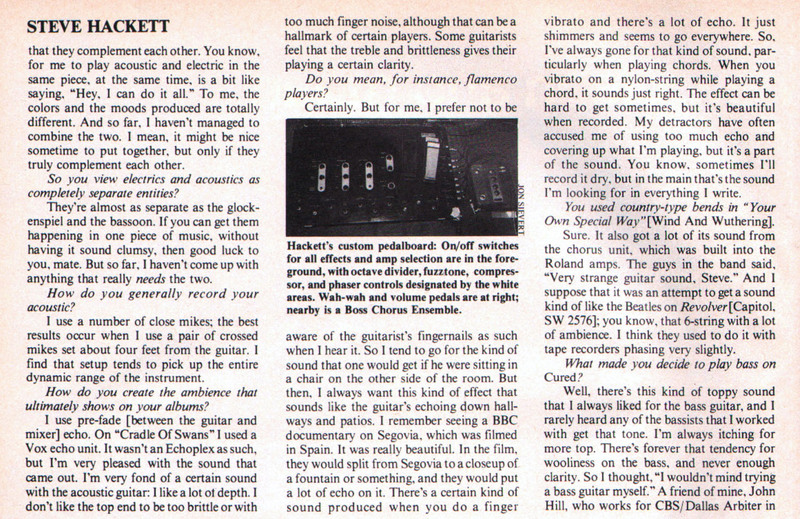 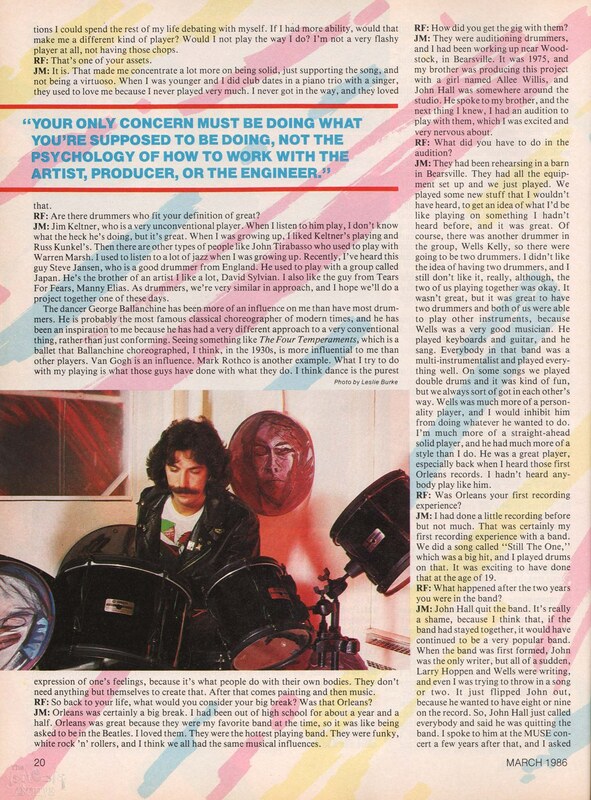 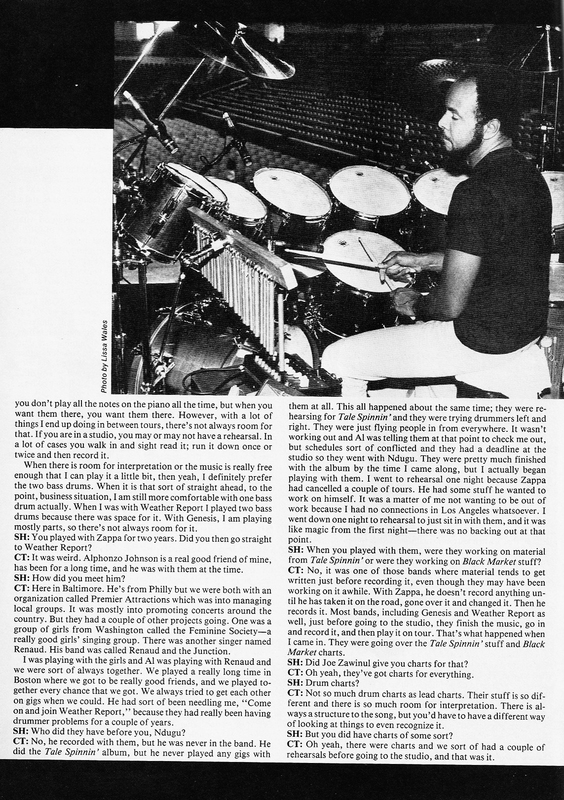 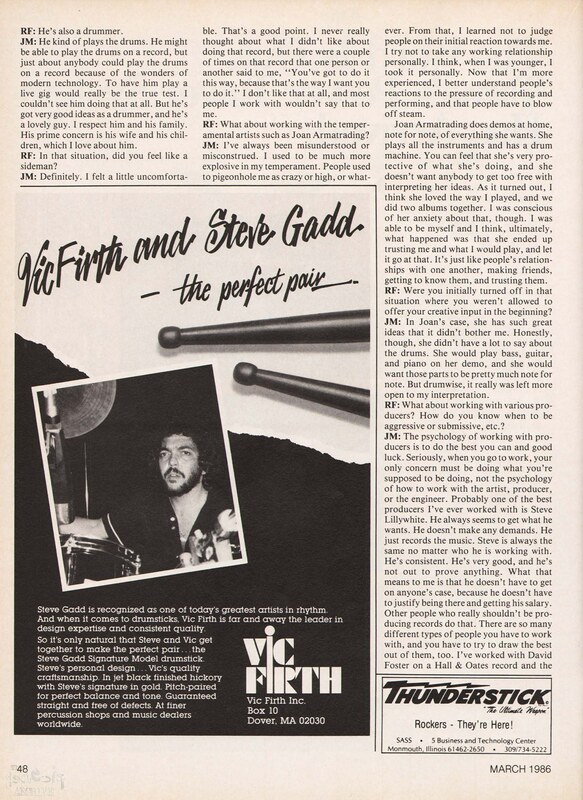 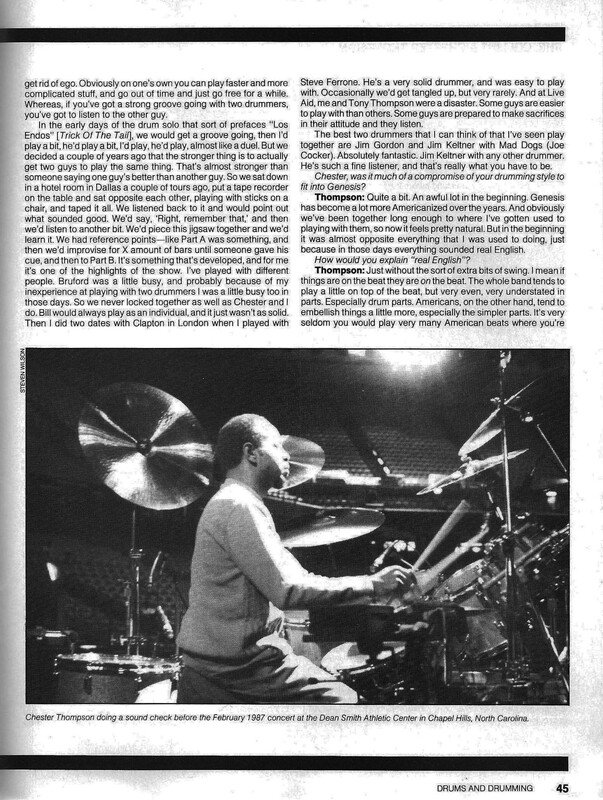 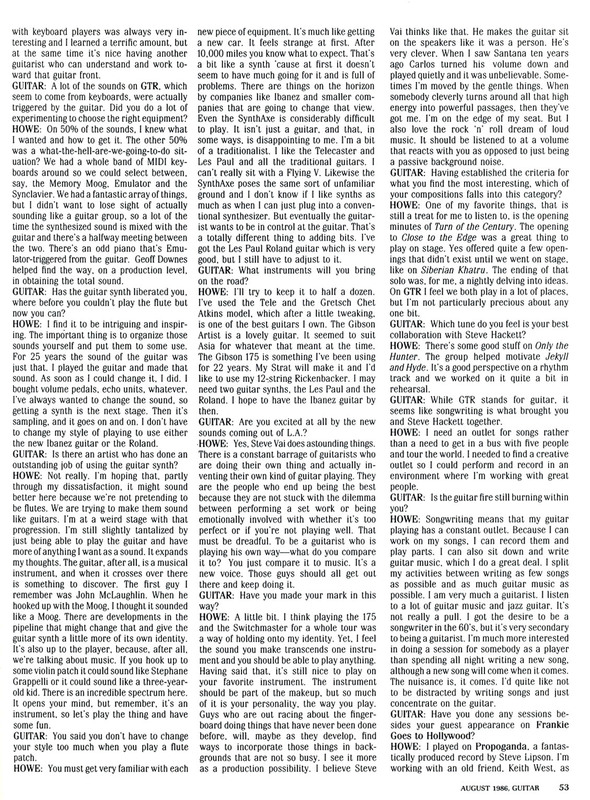 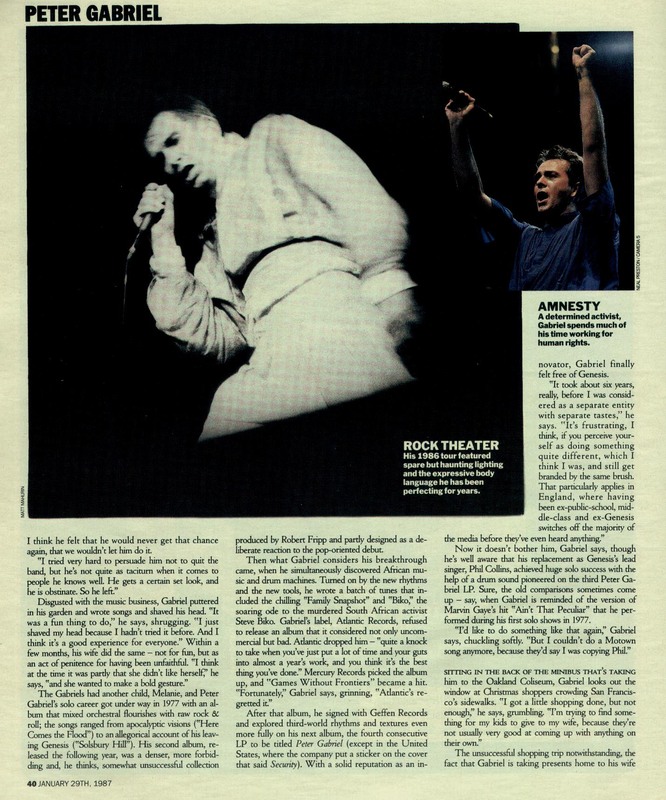 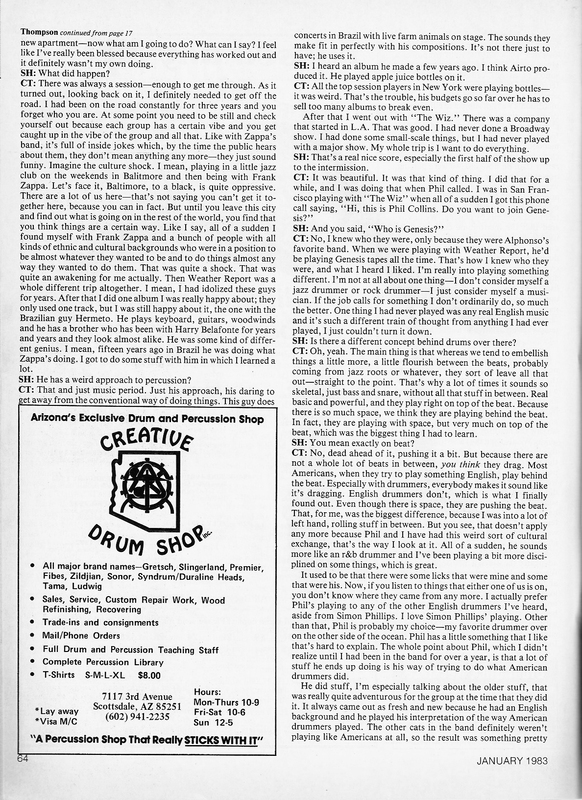 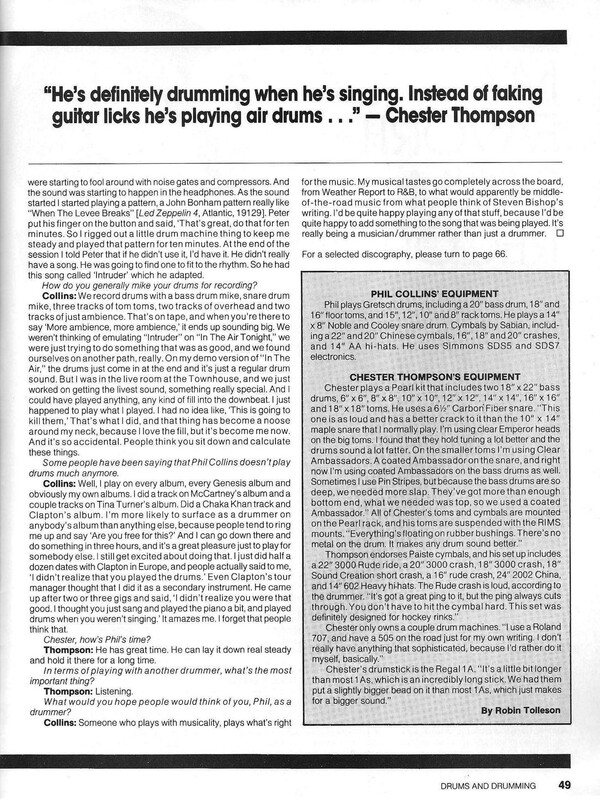 Chester Thompson is interviewed during the 1982 Genesis Encore tour, the Interview was published January 1983. 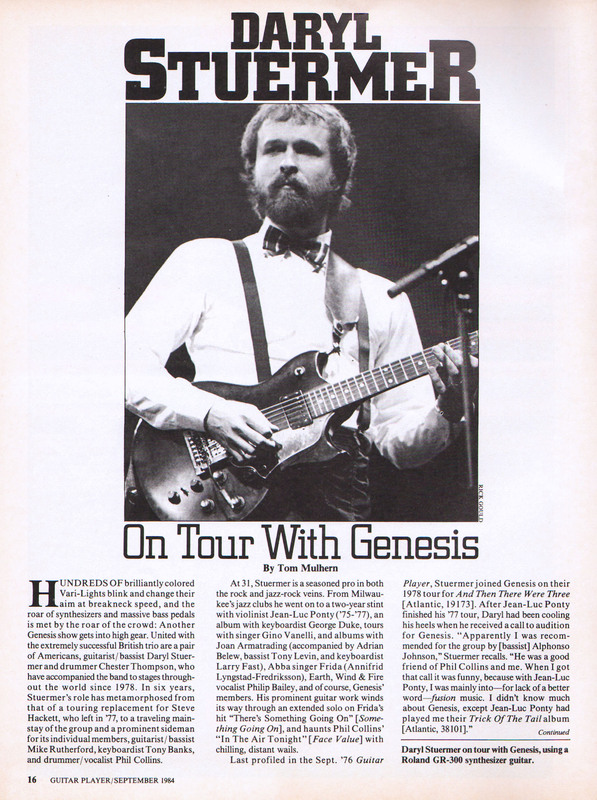 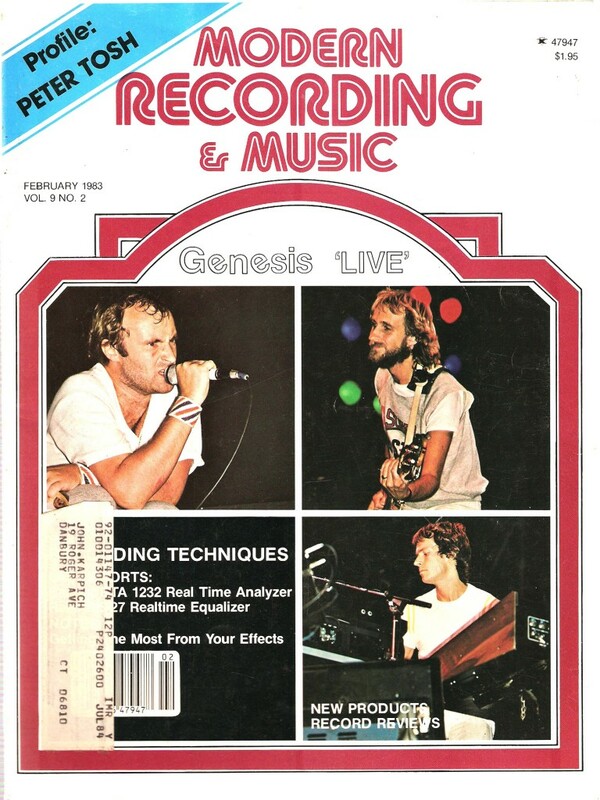 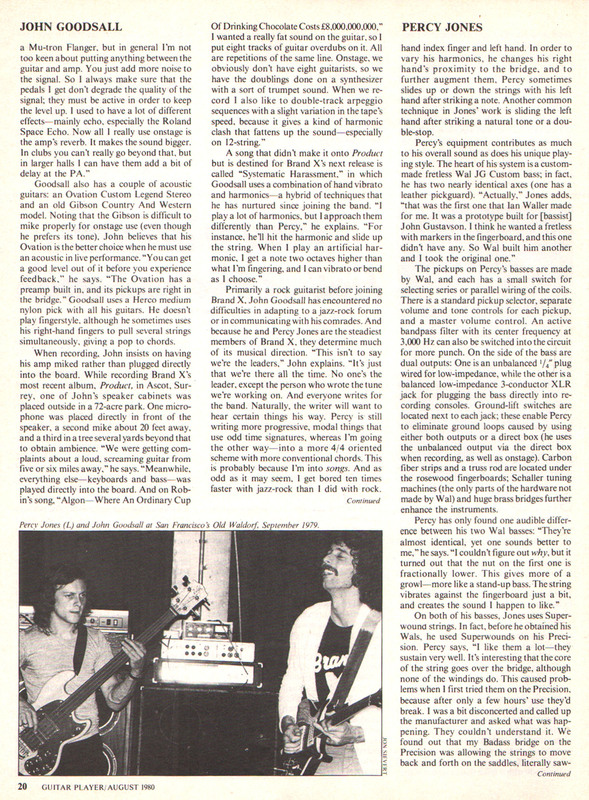 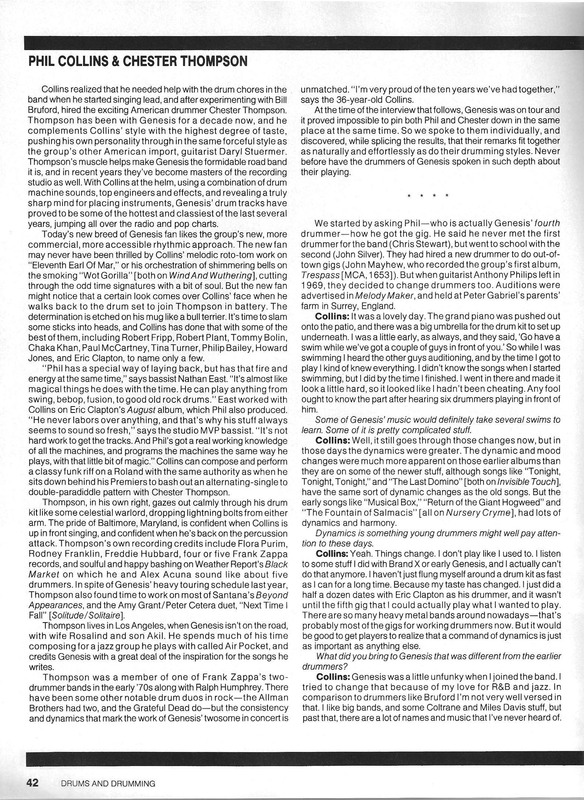 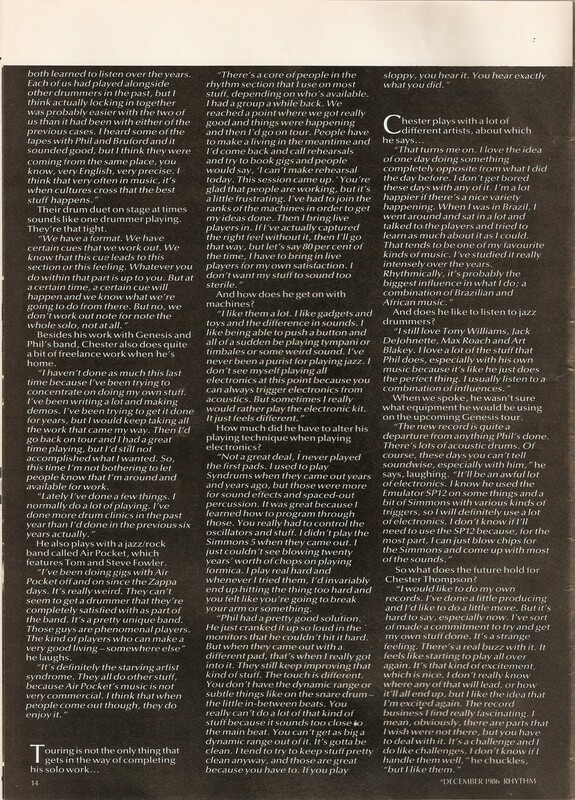 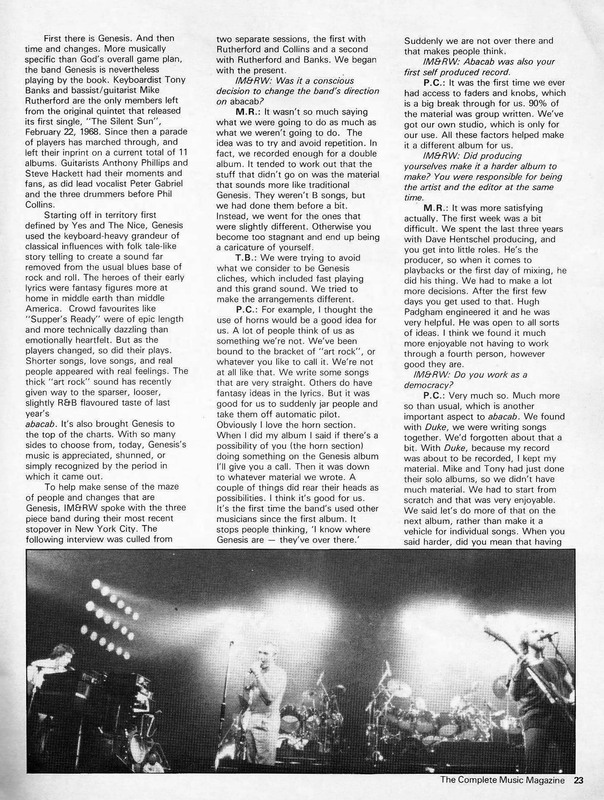 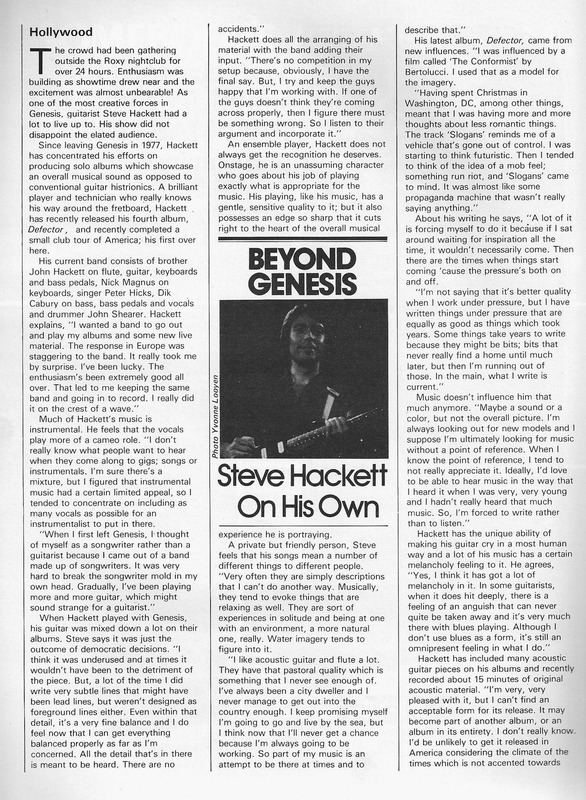 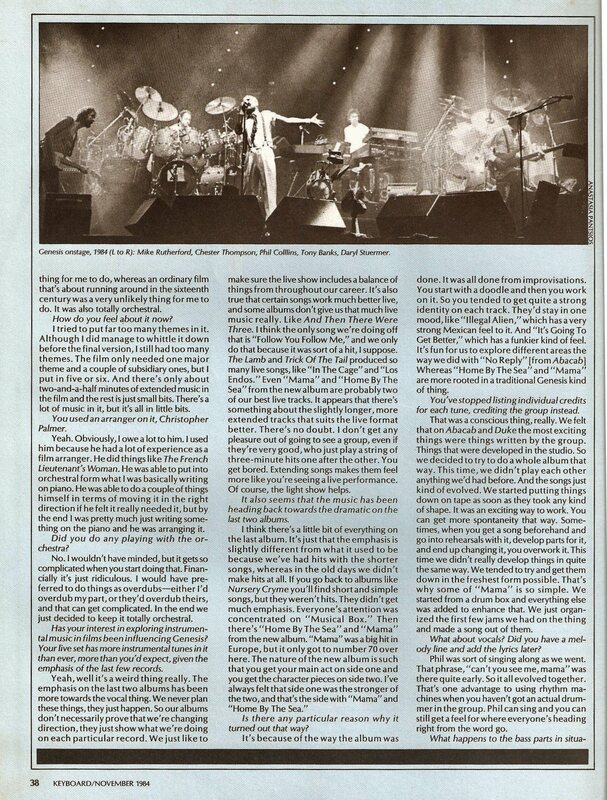 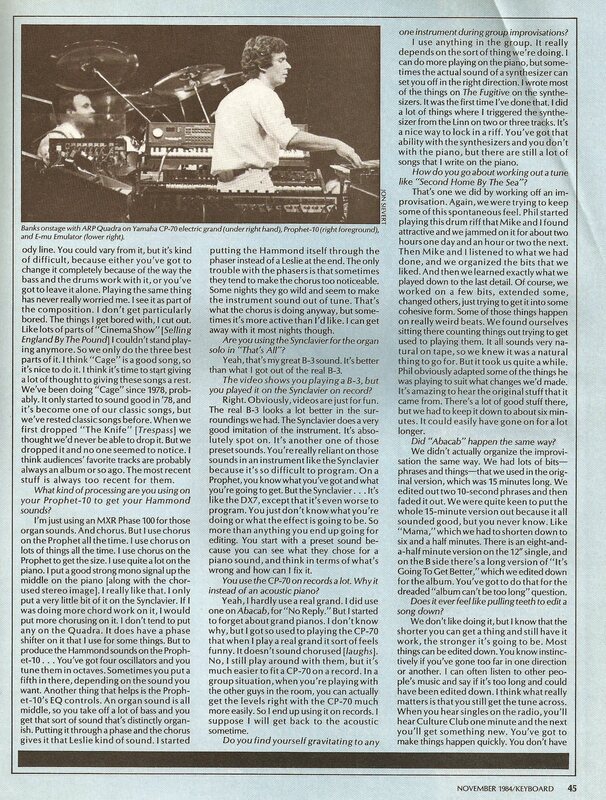 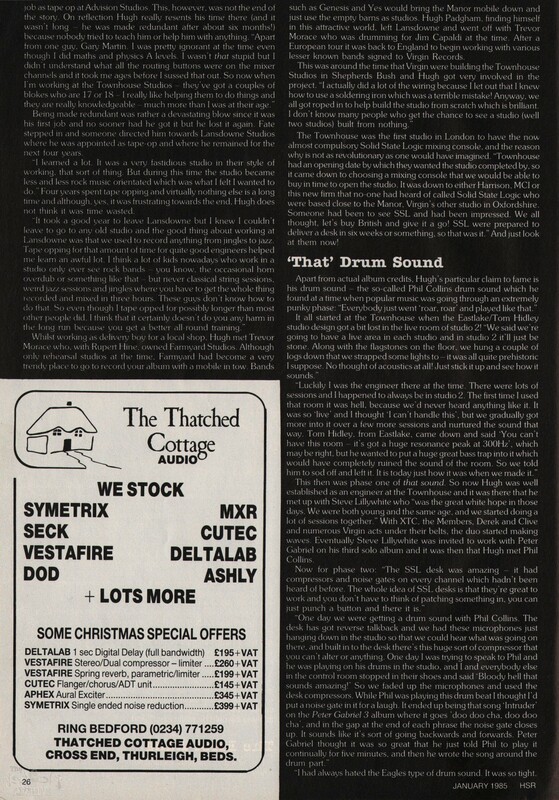 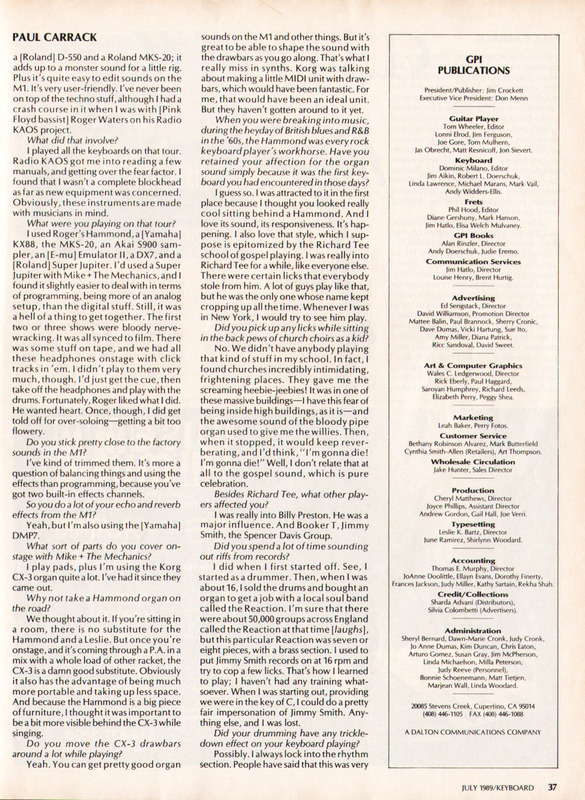 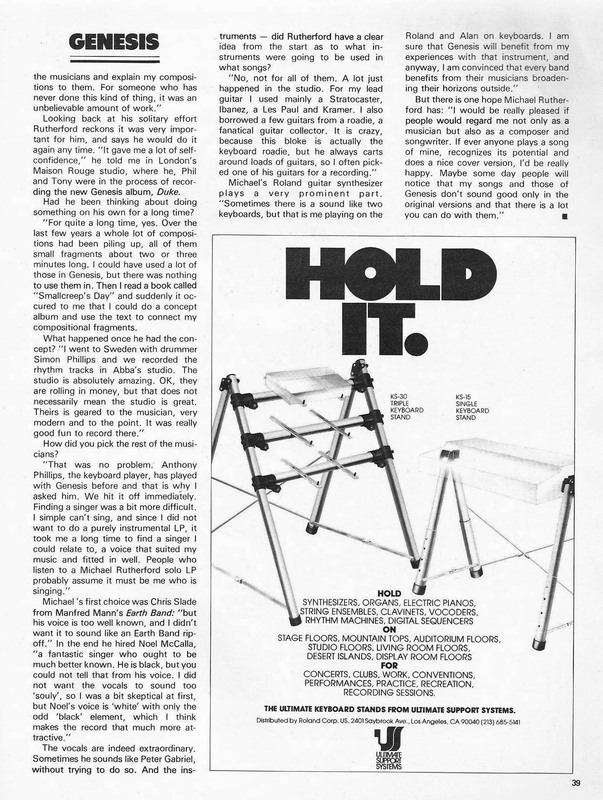 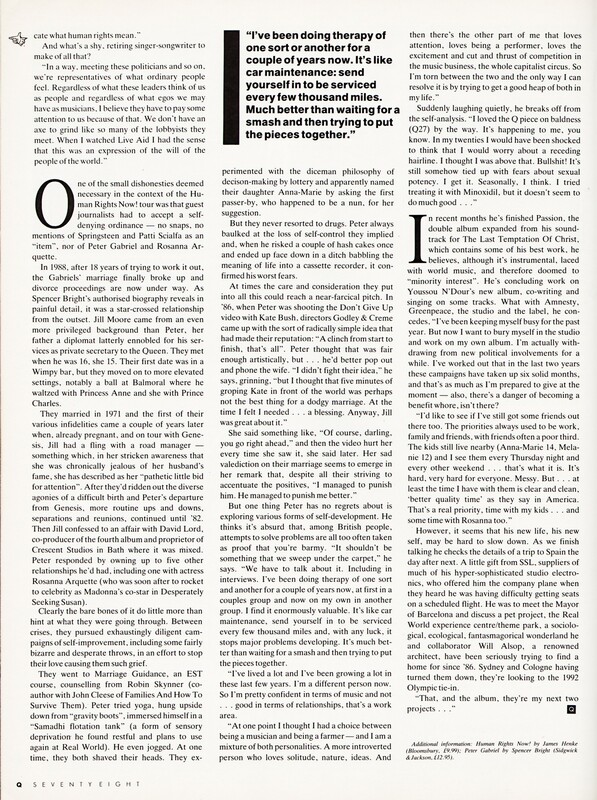 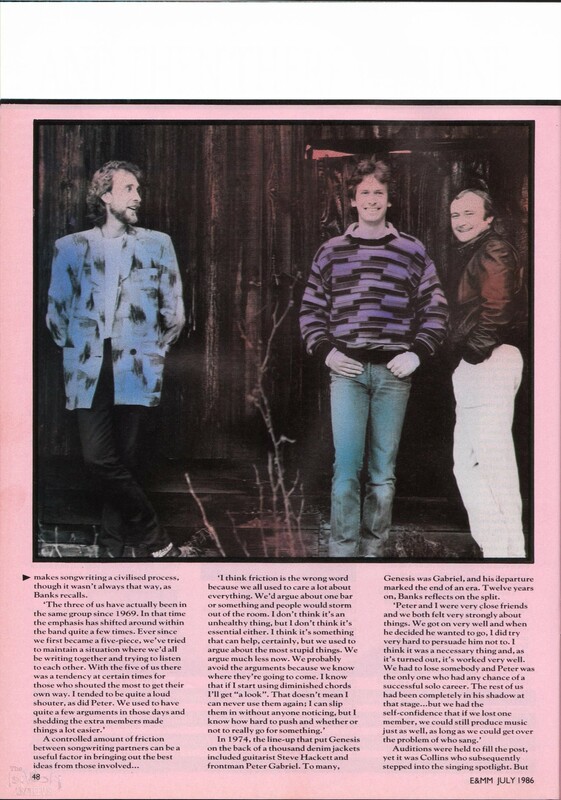 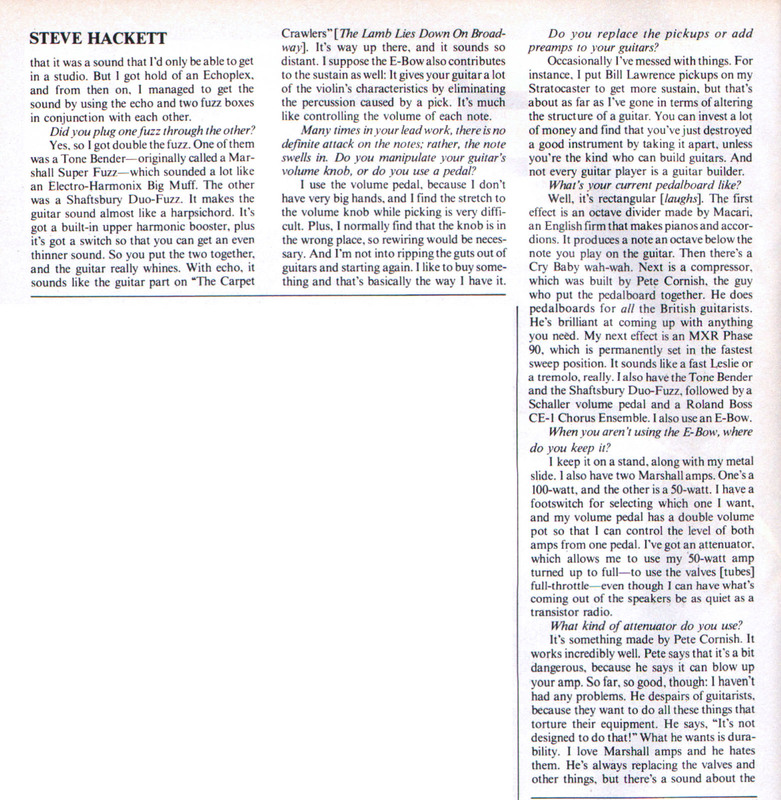 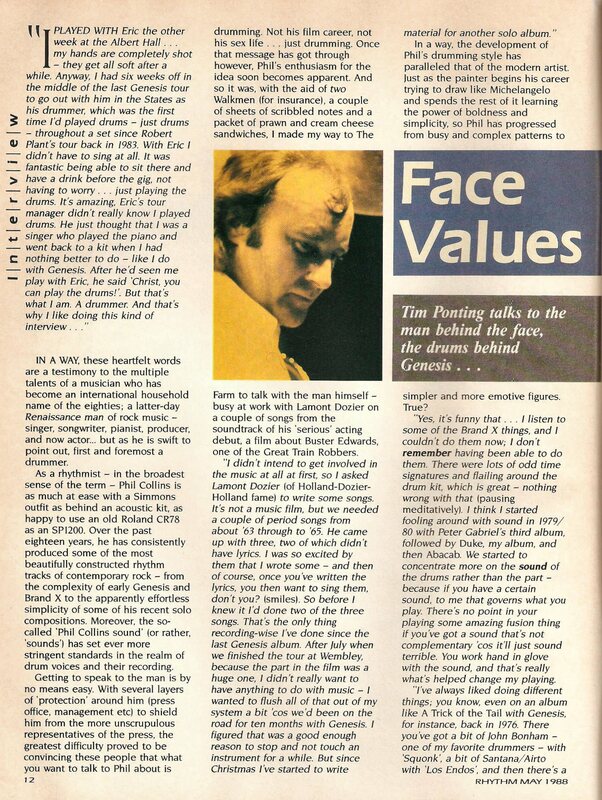 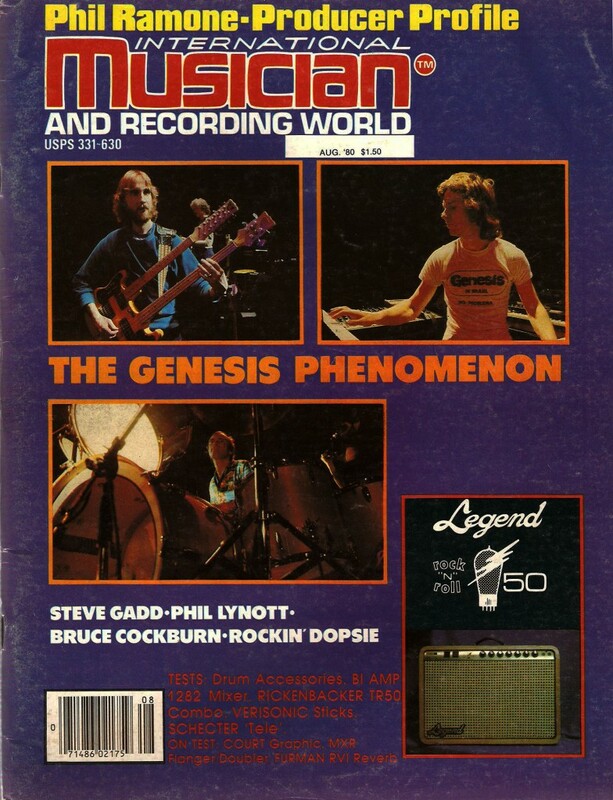 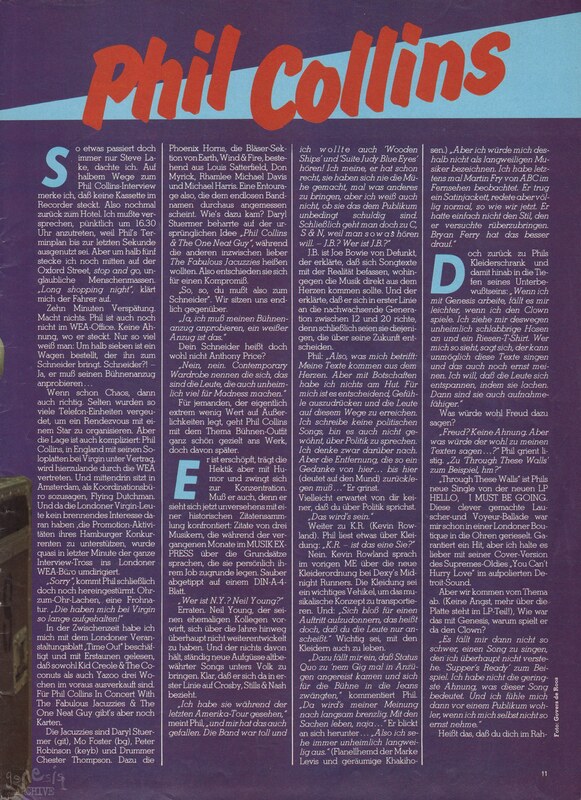 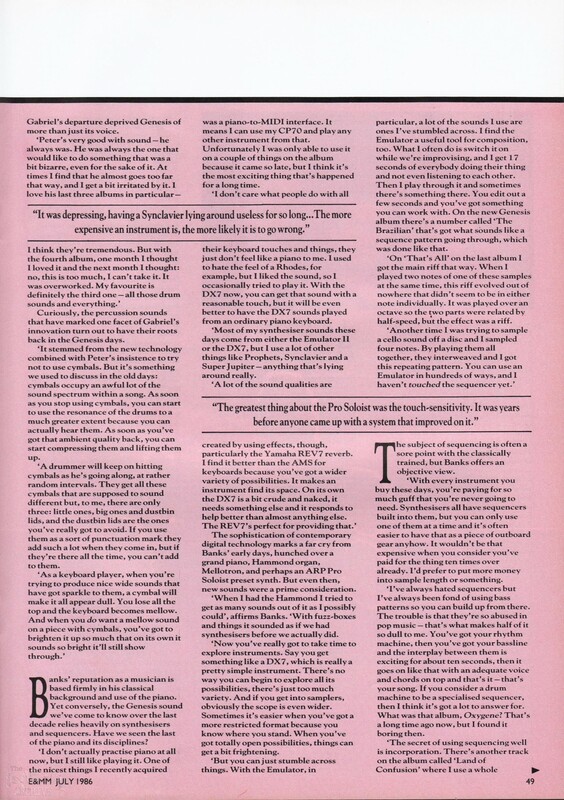 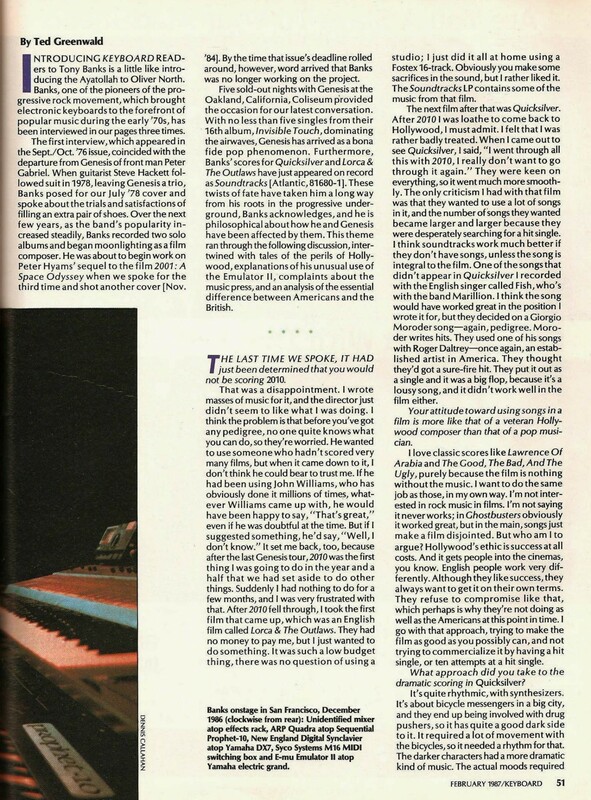 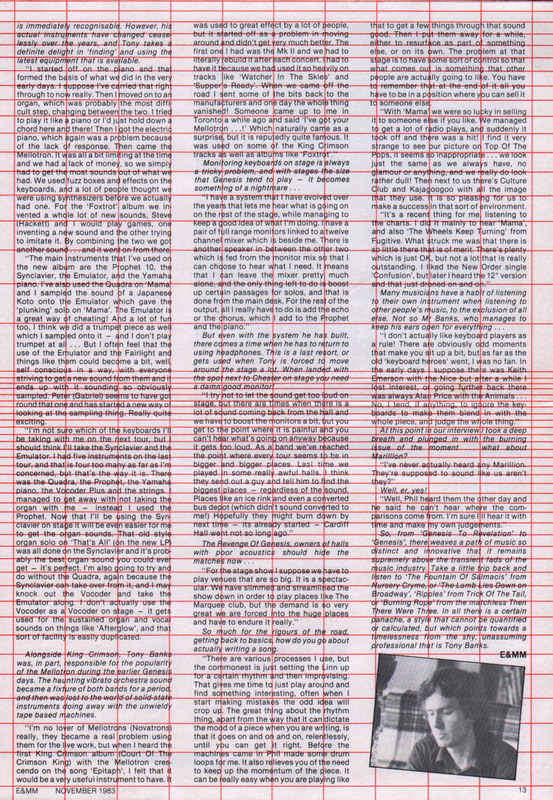 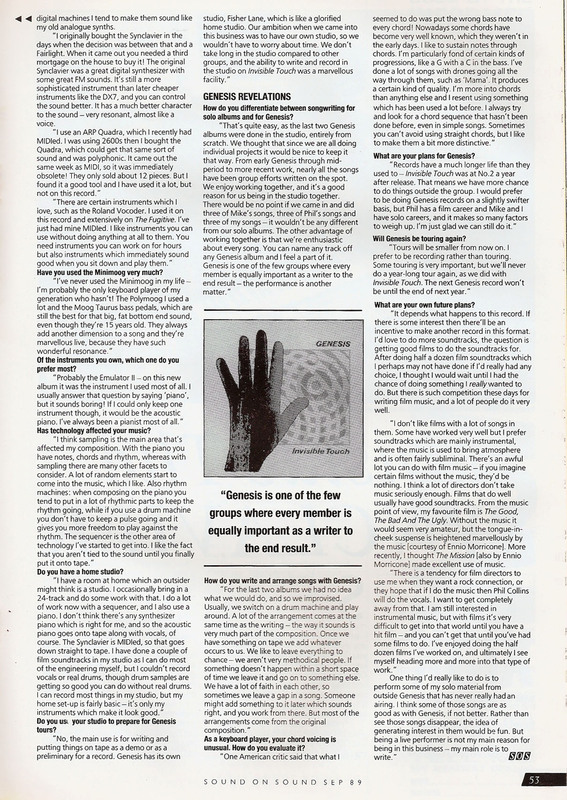 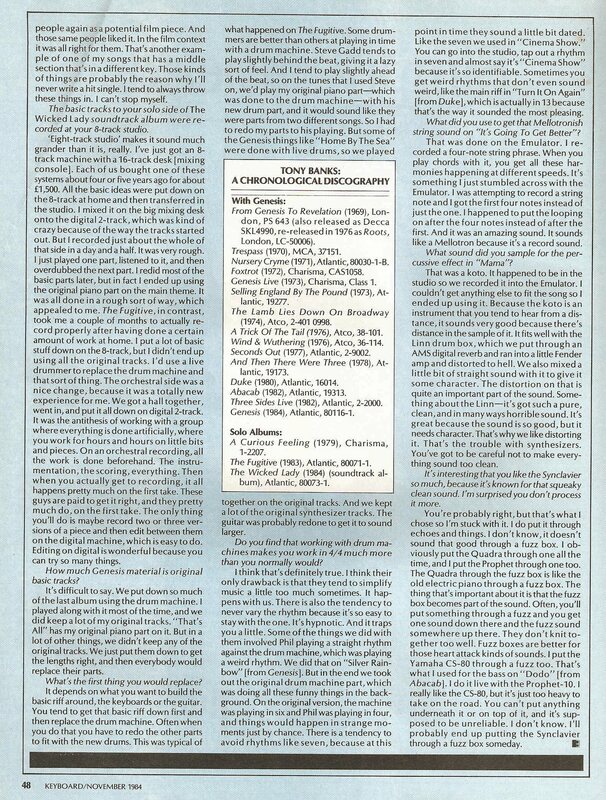 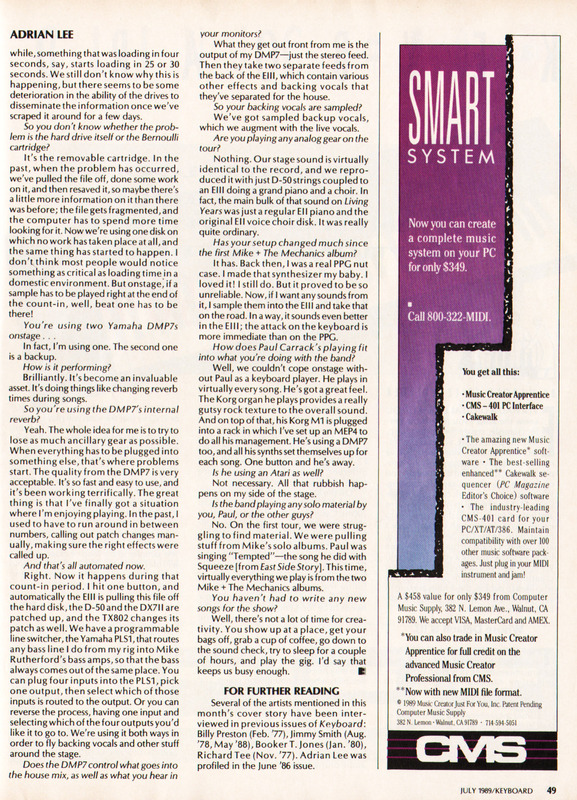 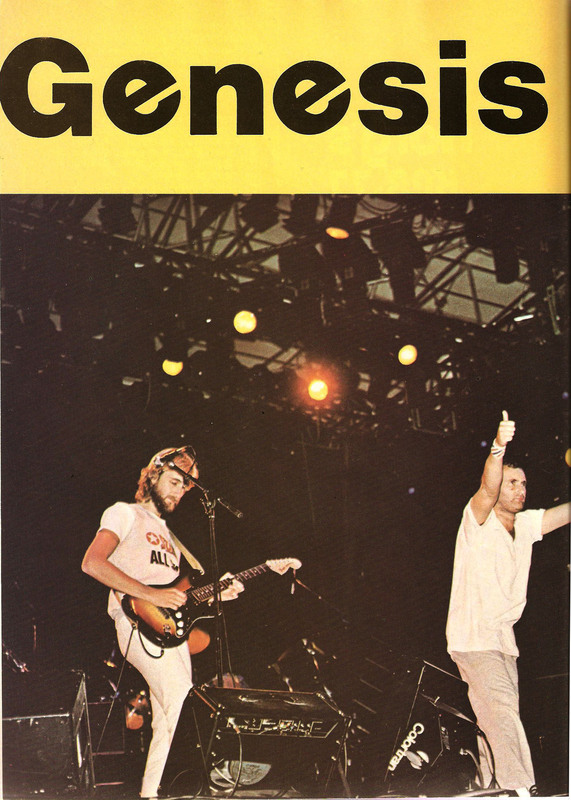 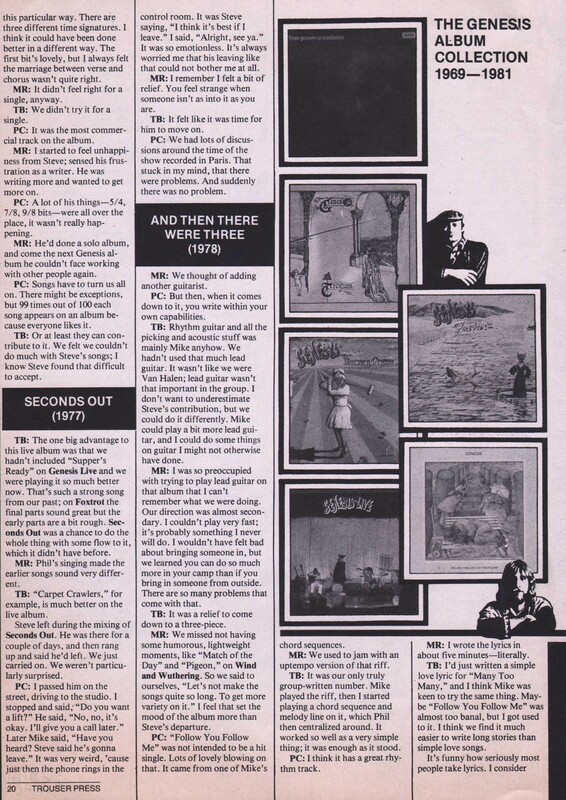 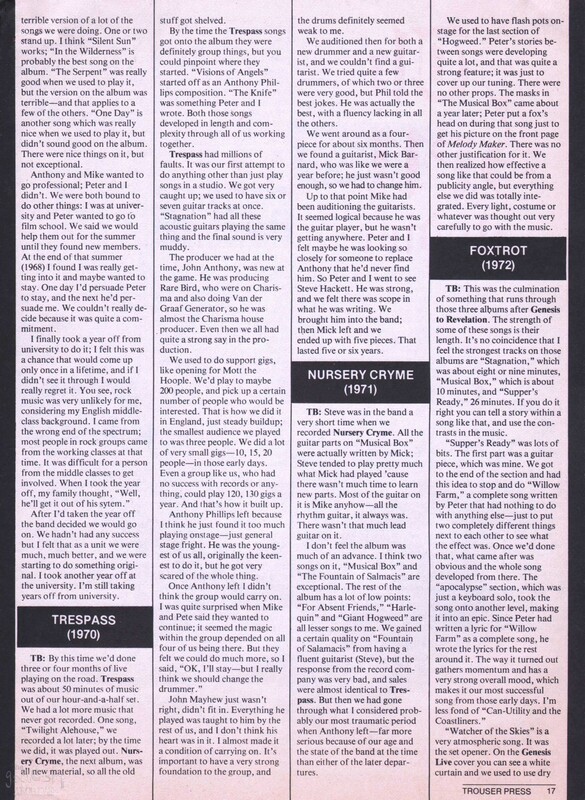 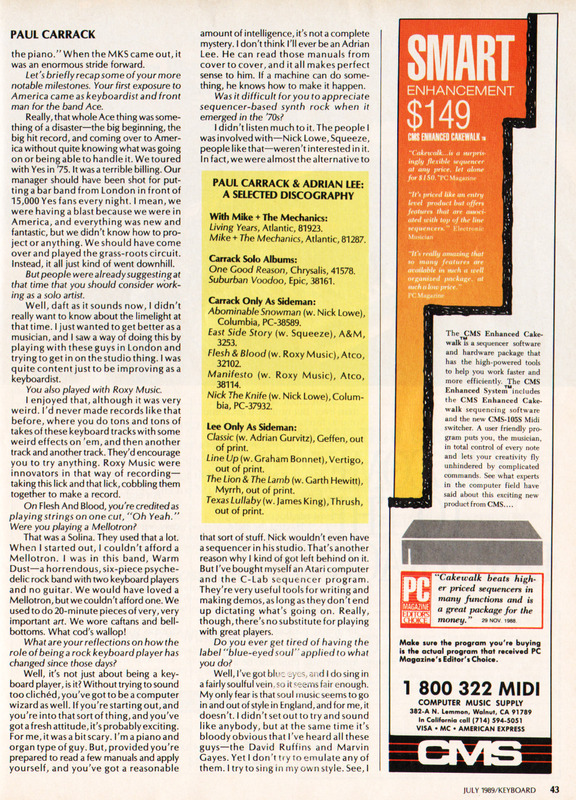 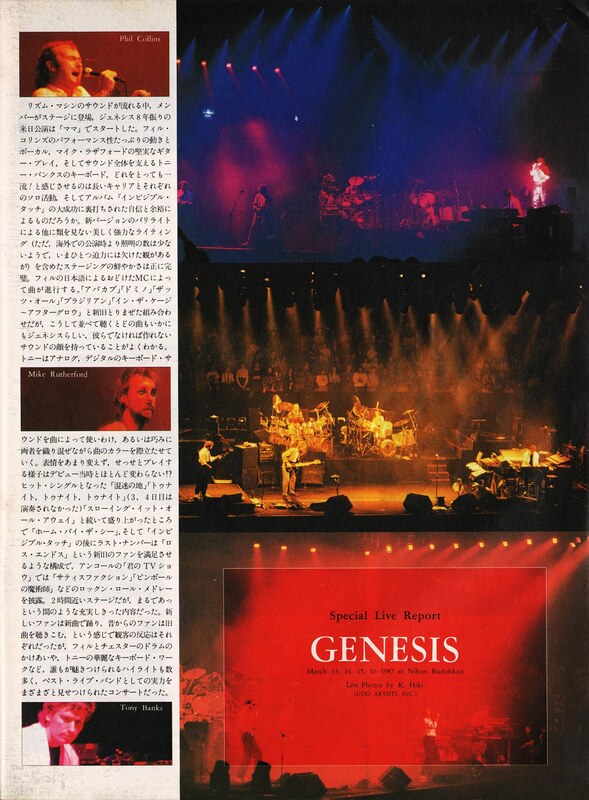 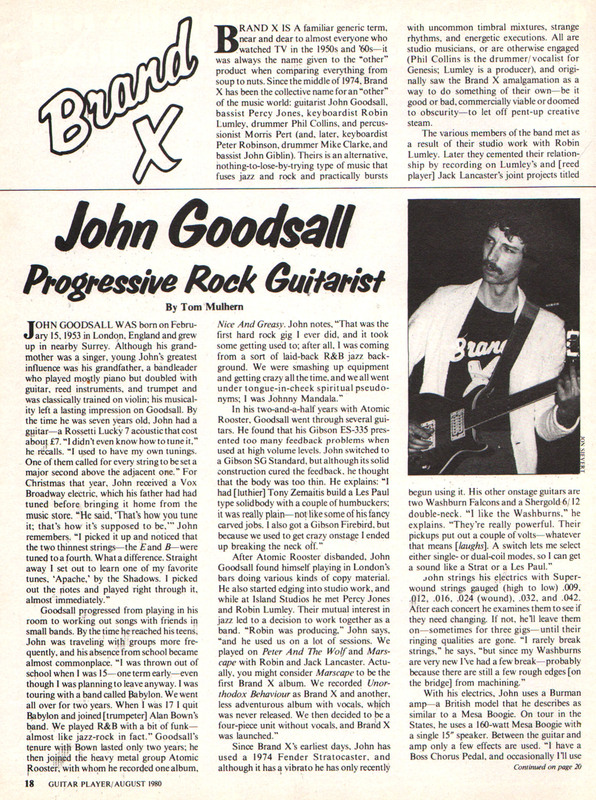 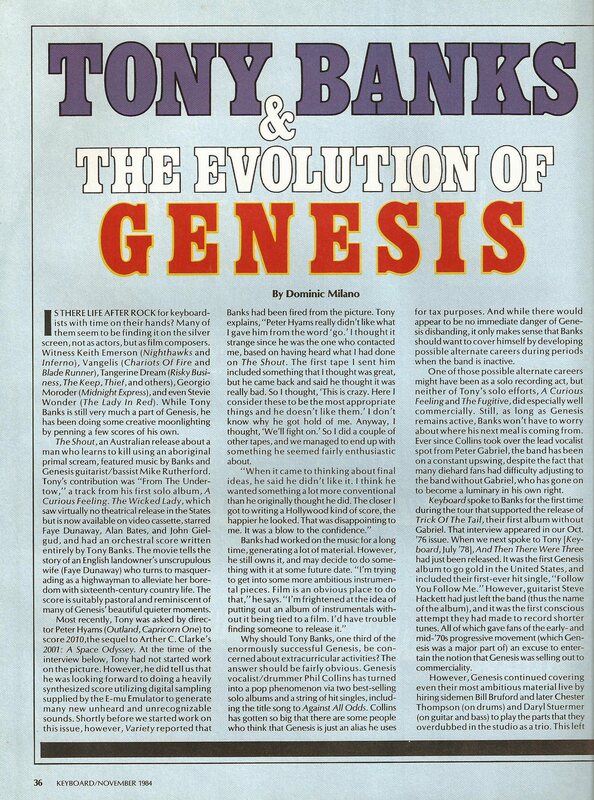 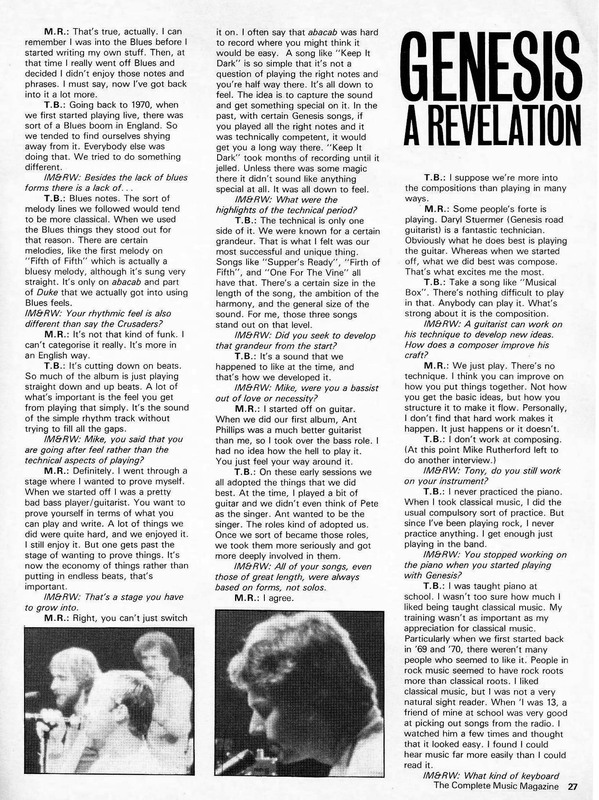 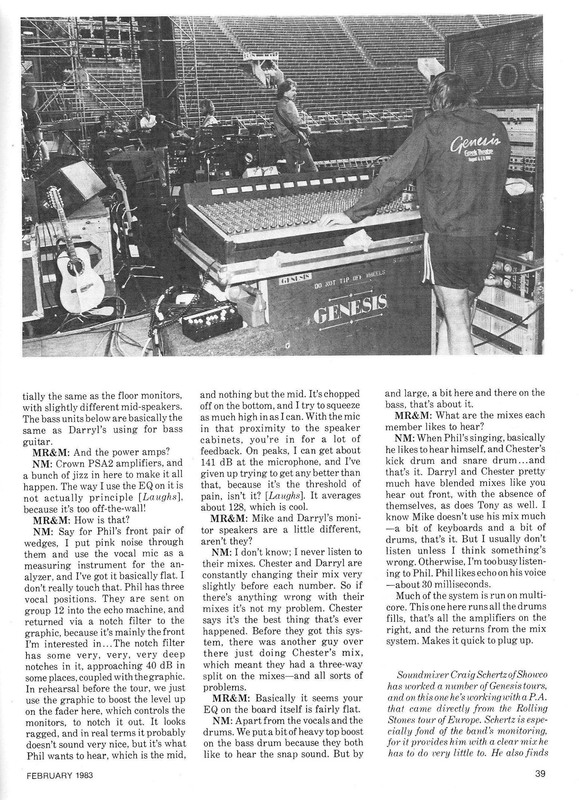 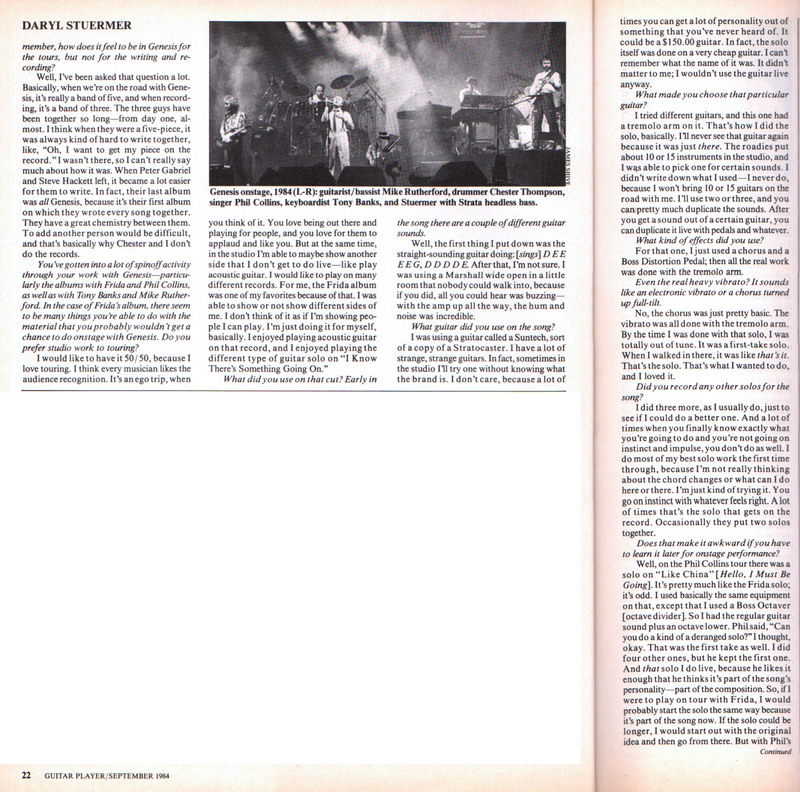 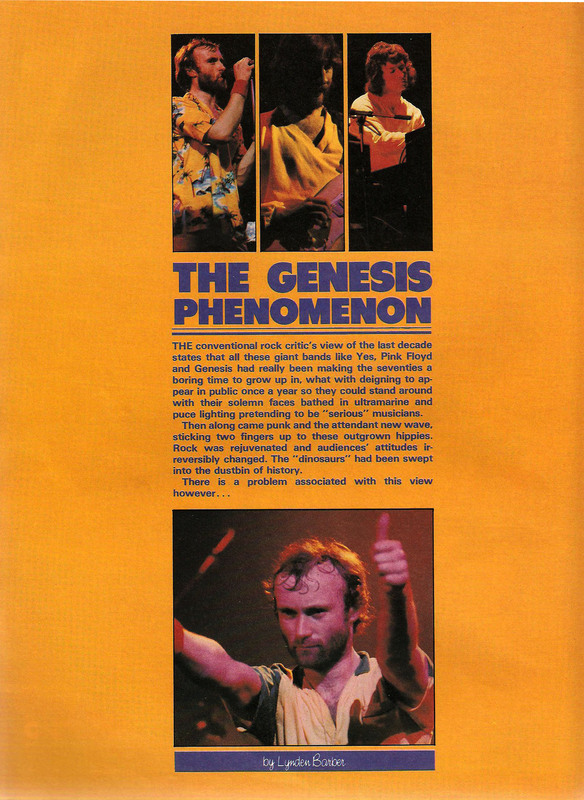 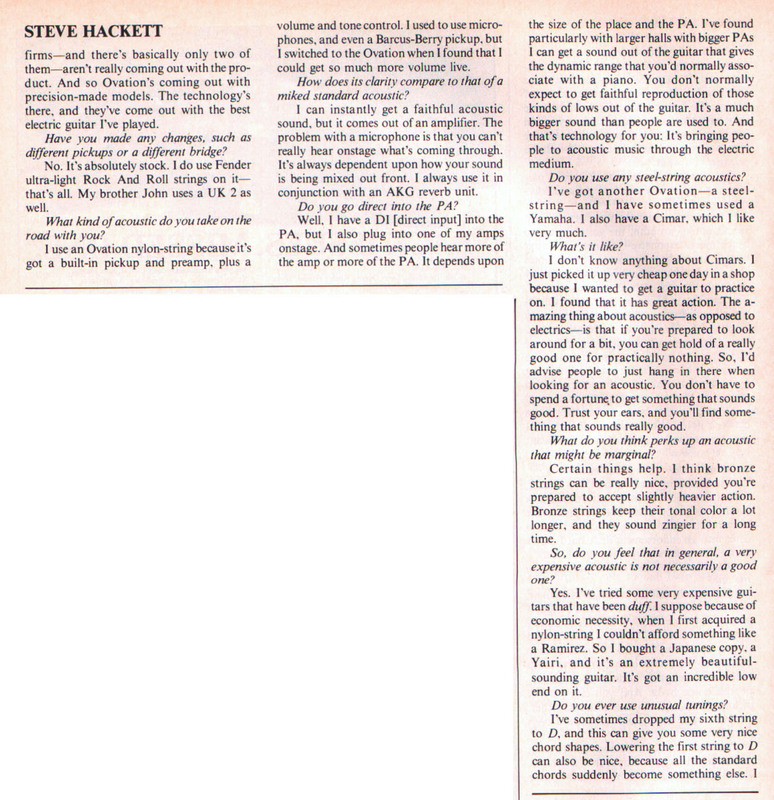 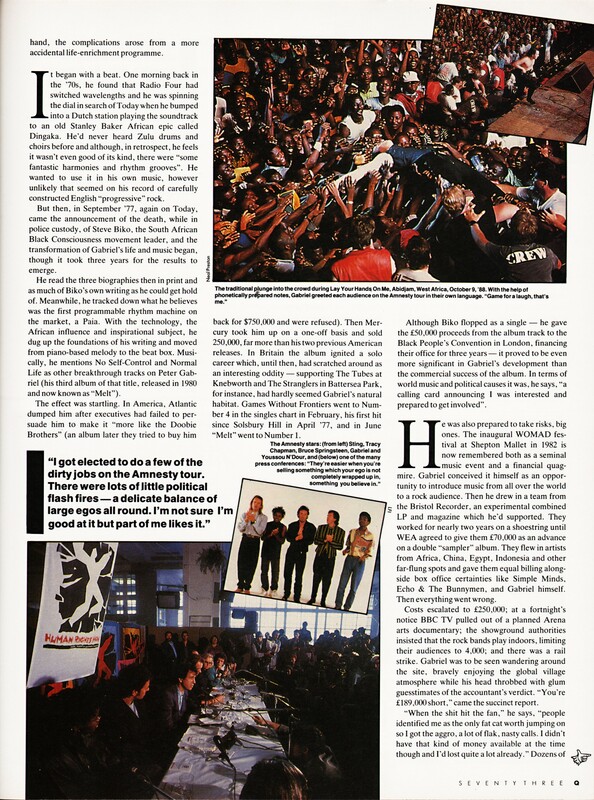 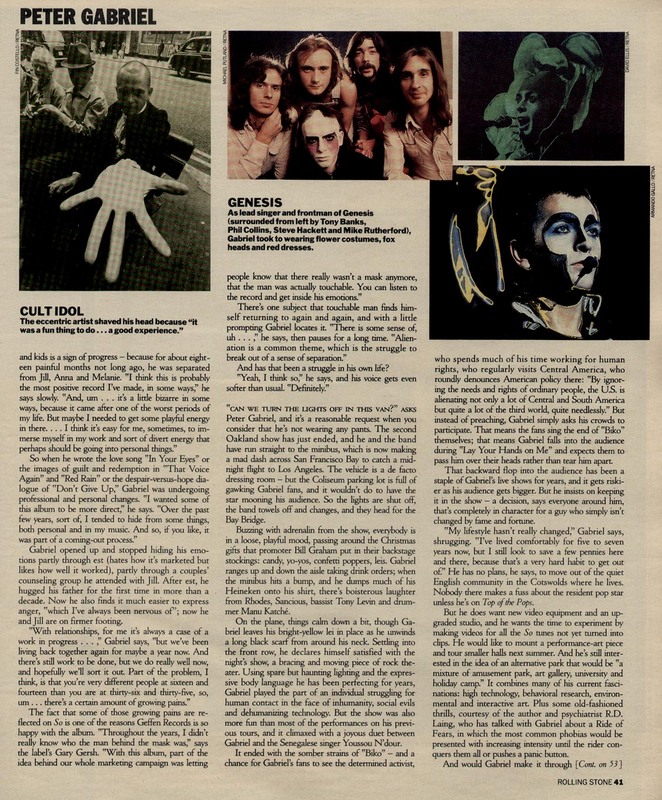 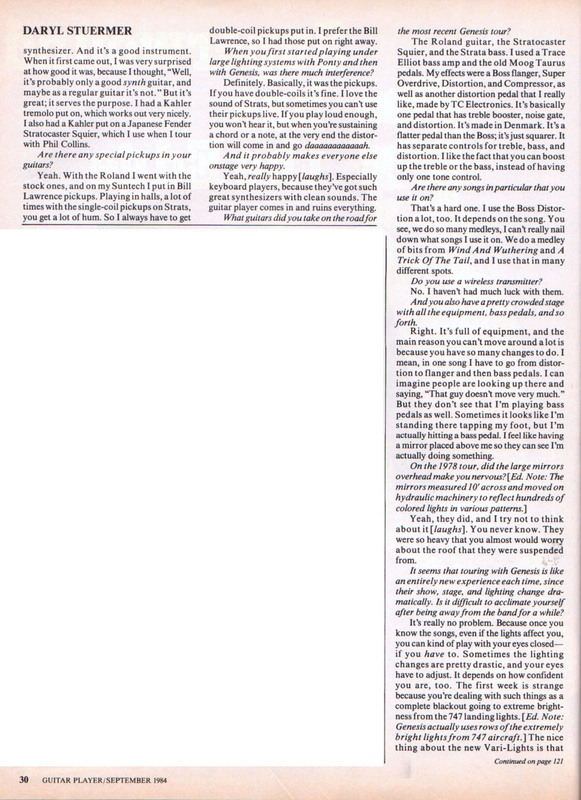 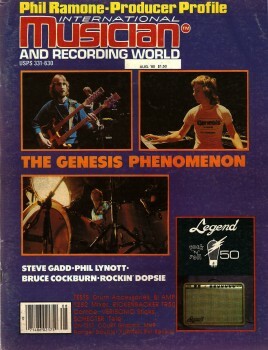 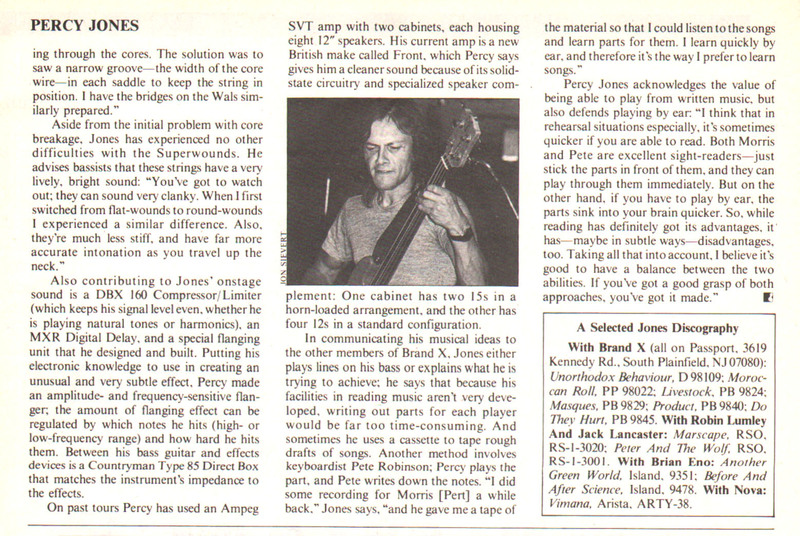 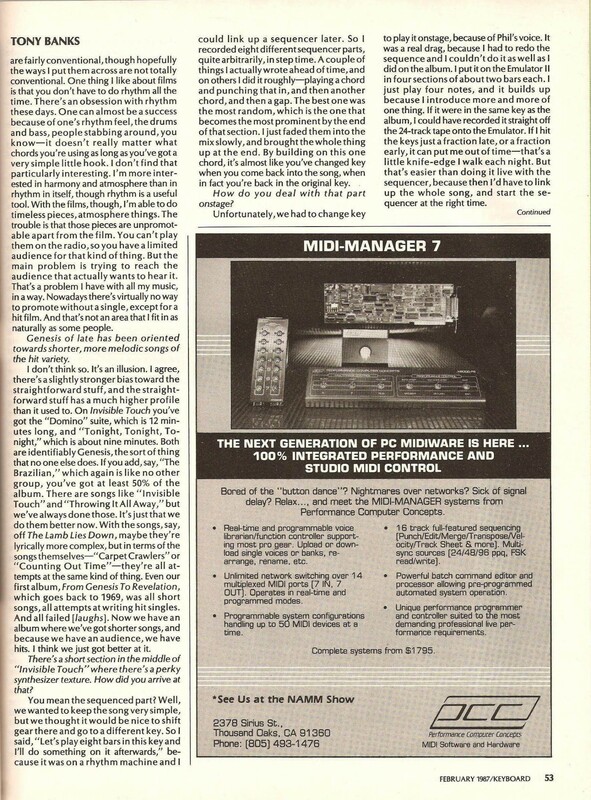 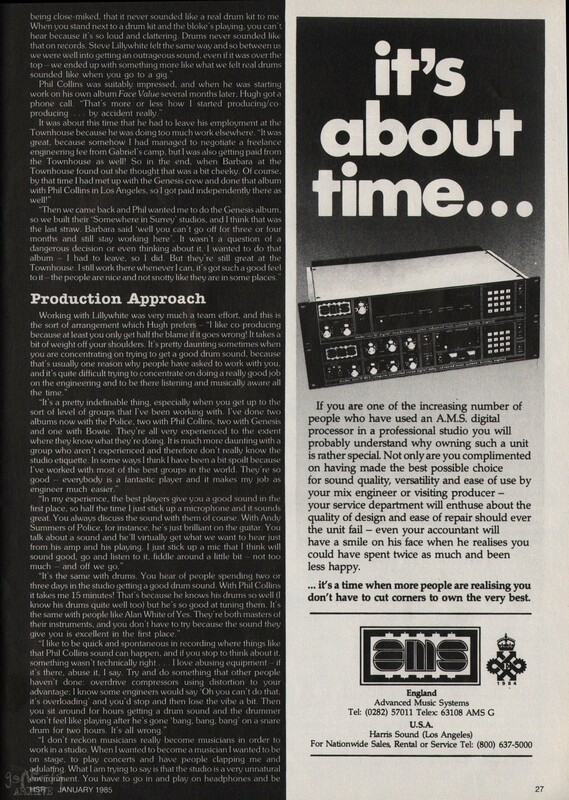 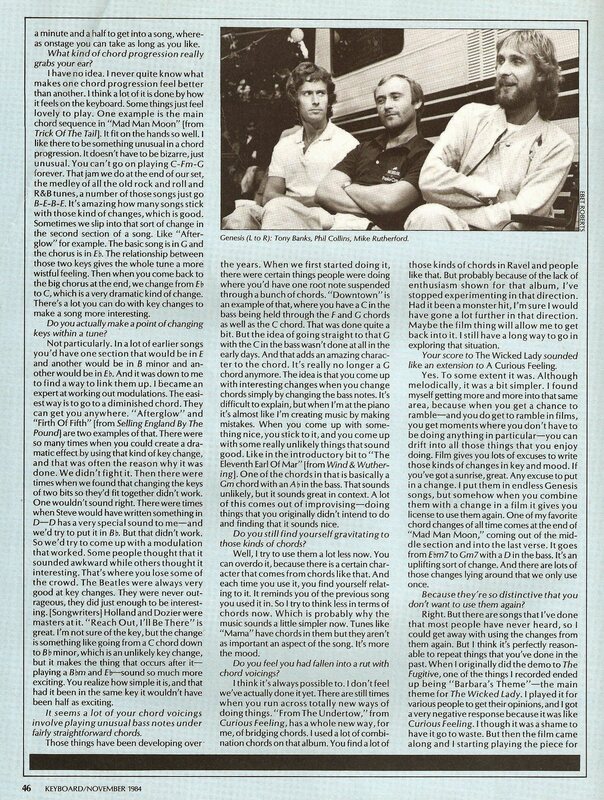 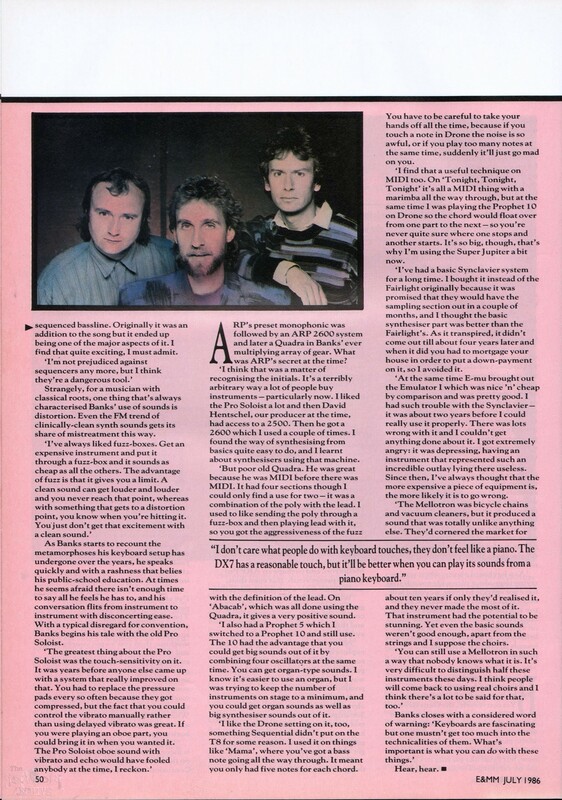 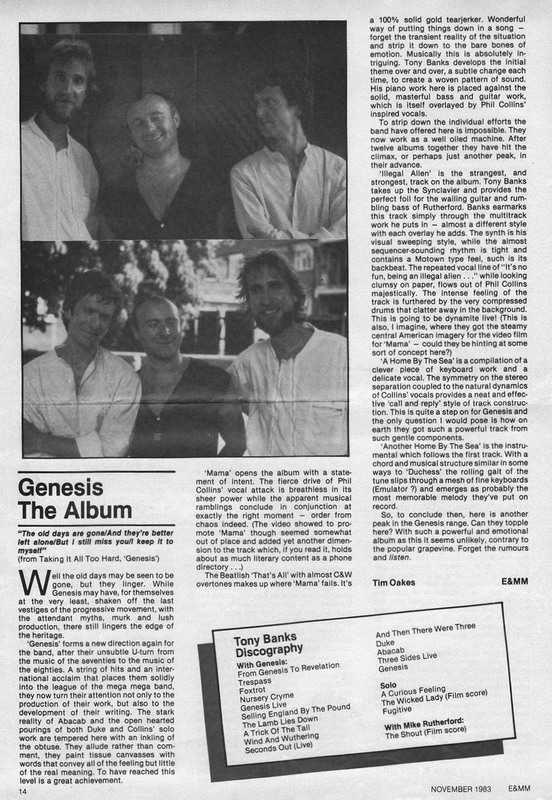 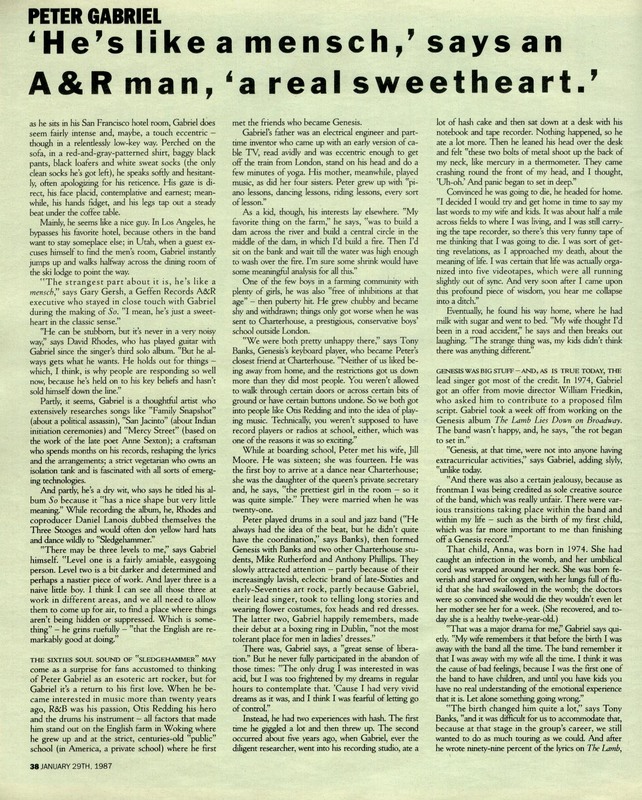 Genesis and their 1982 Encore tour crew are interviewed for Modern Recording & Music, the interview is published in their February 1983 edition. 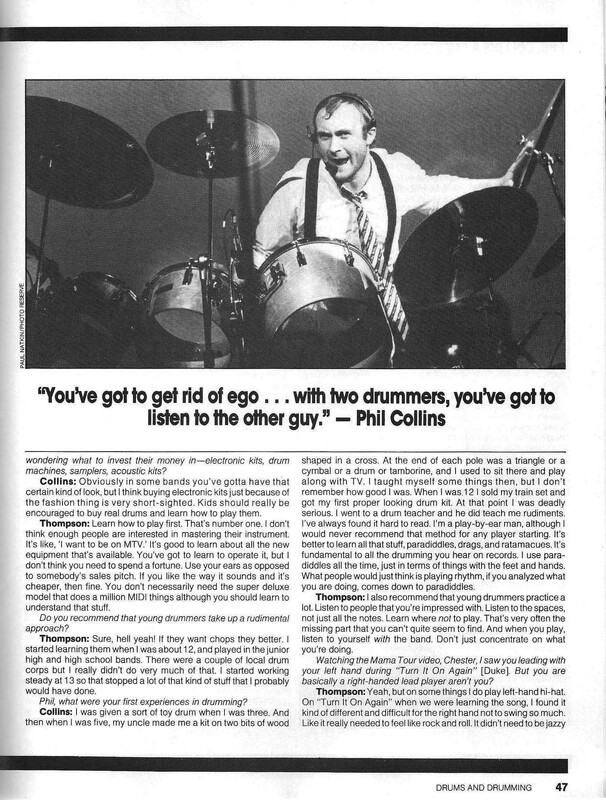 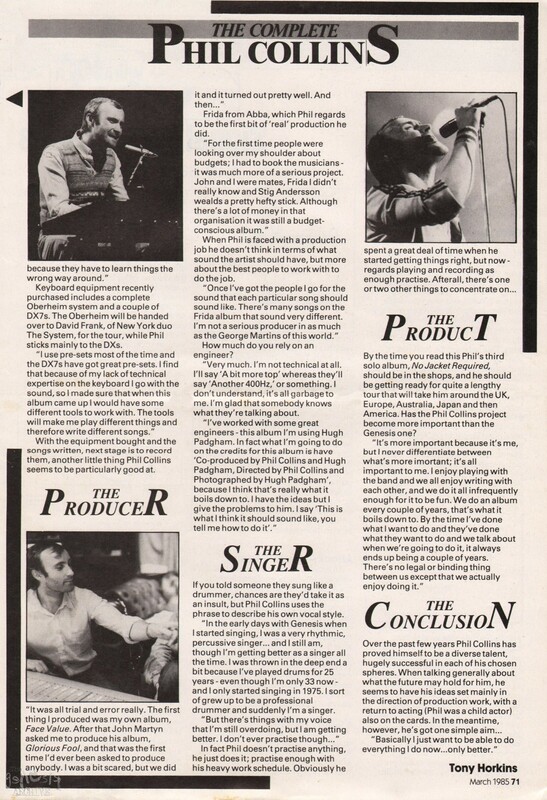 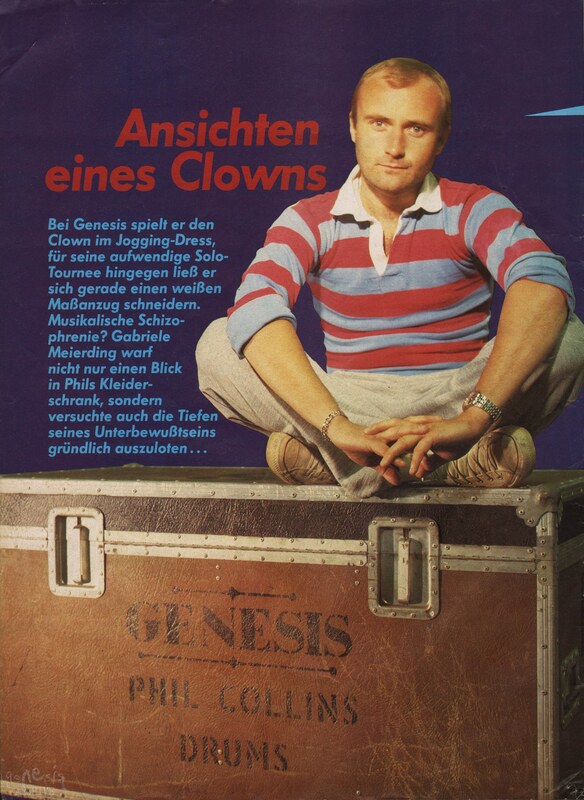 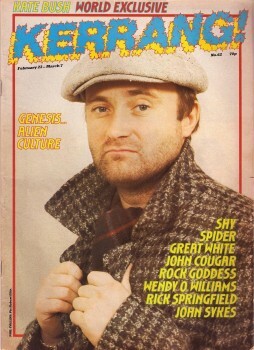 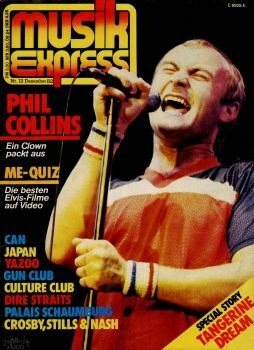 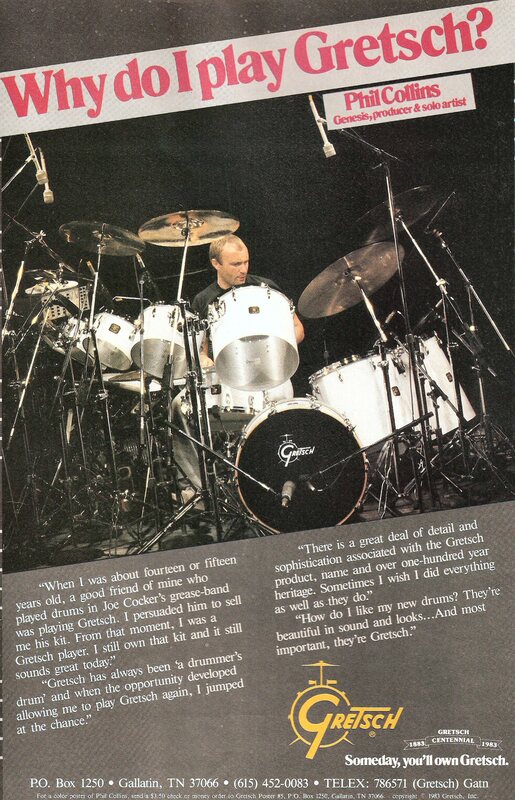 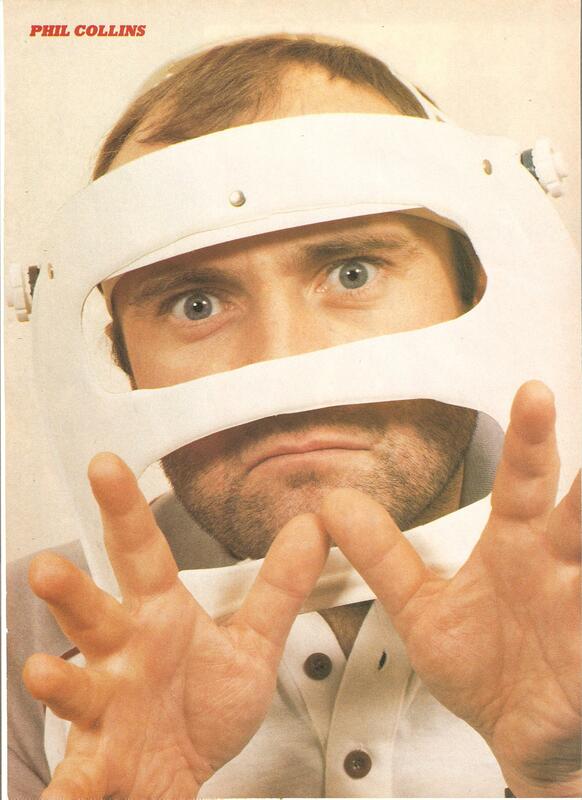 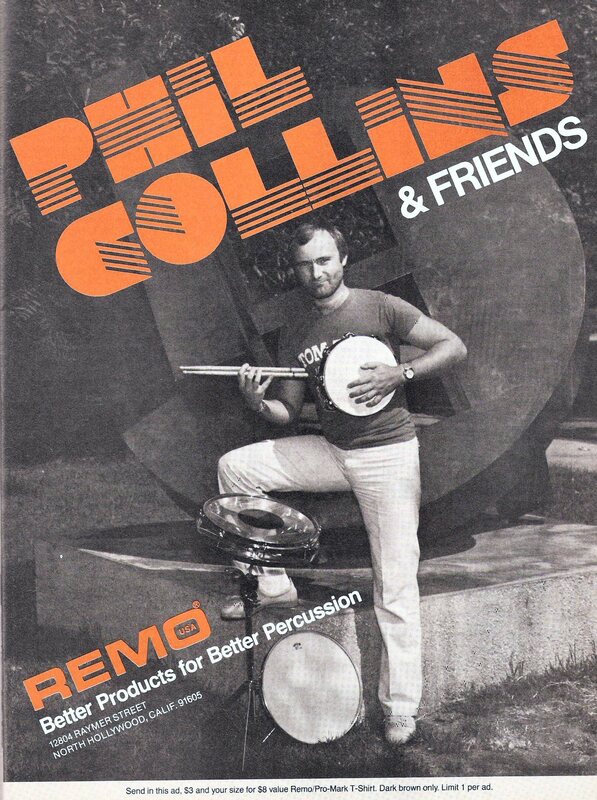 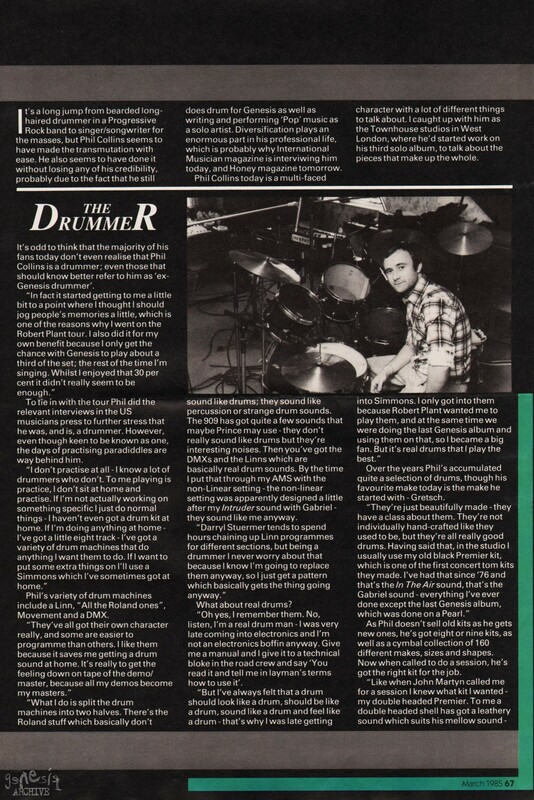 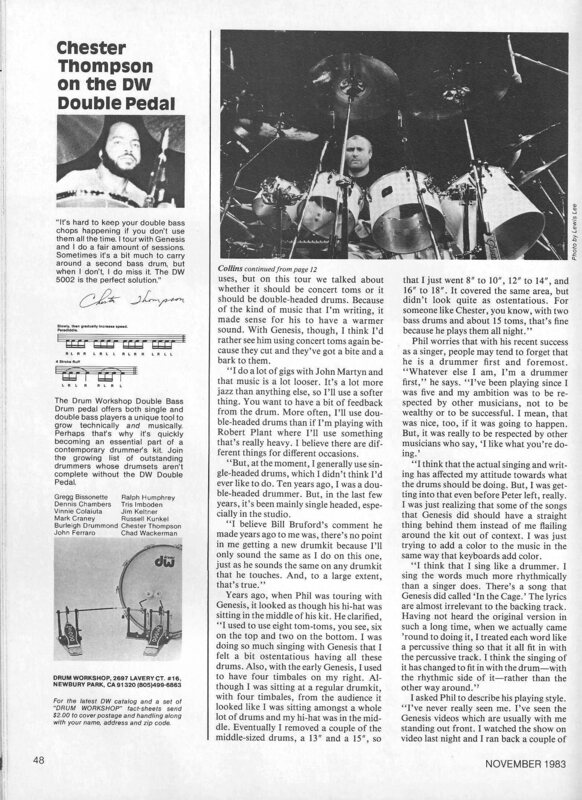 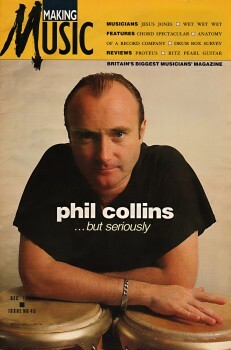 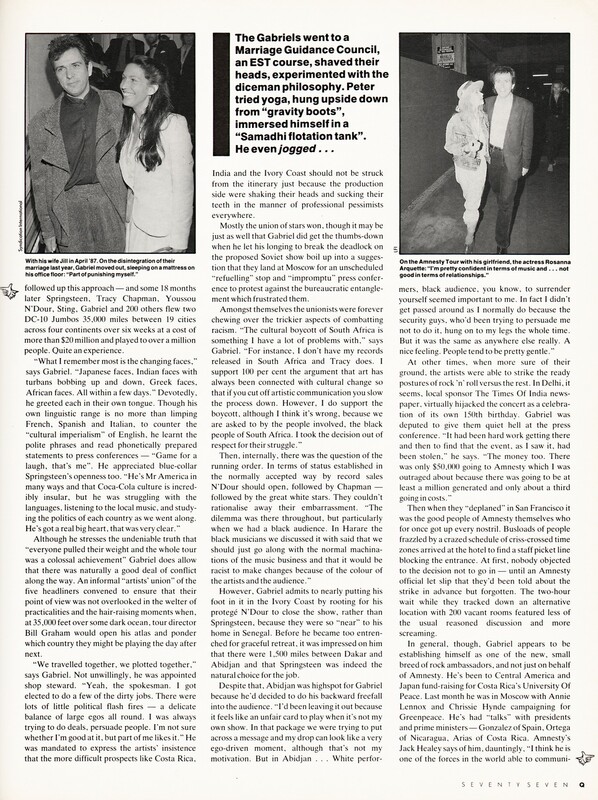 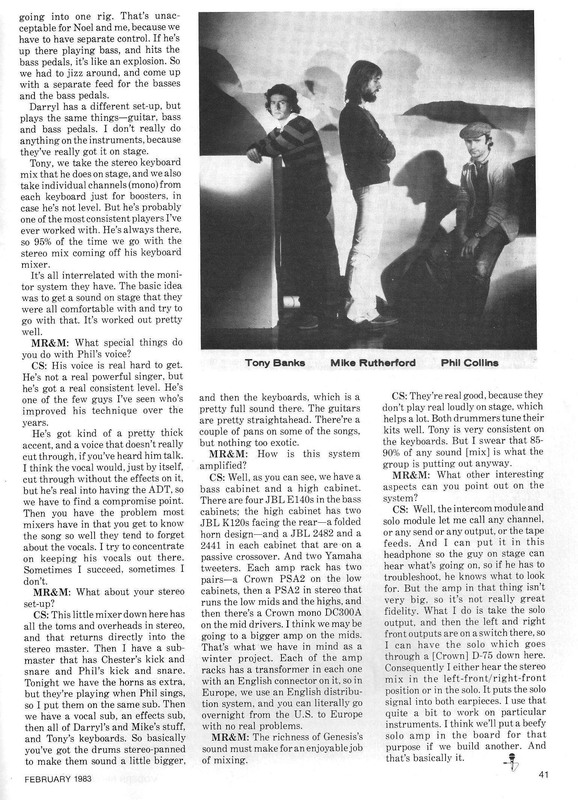 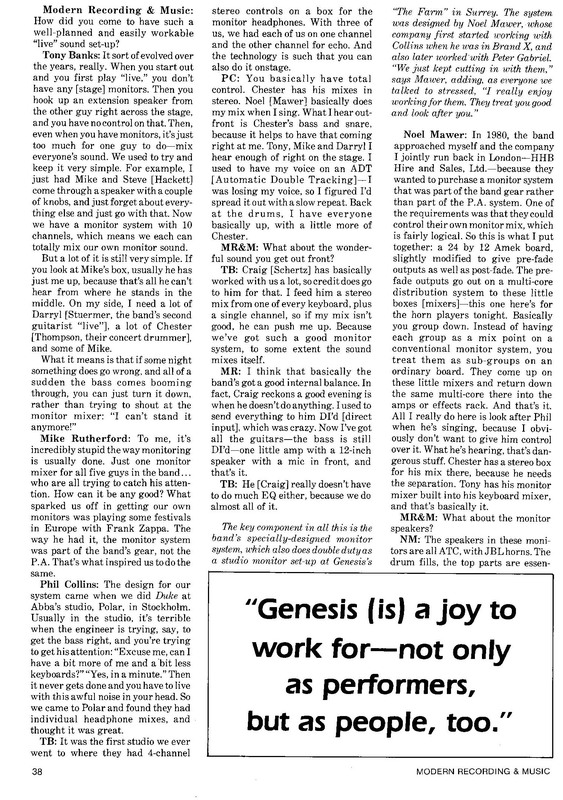 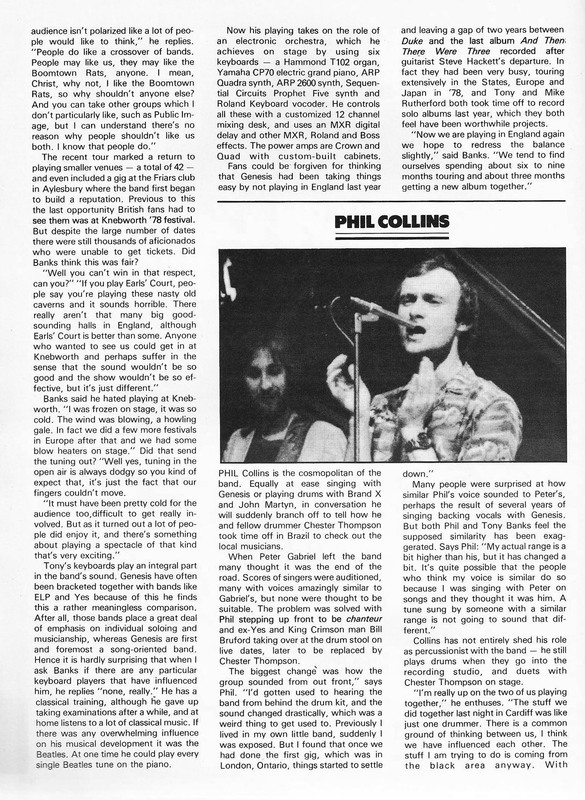 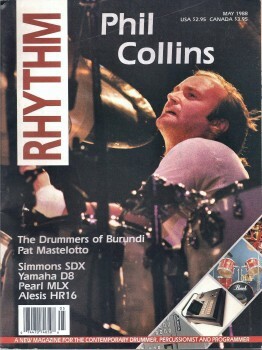 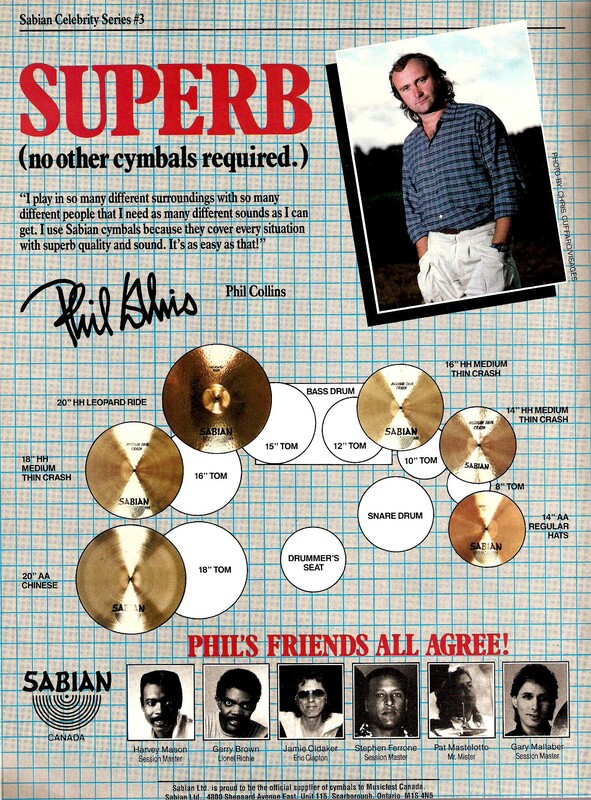 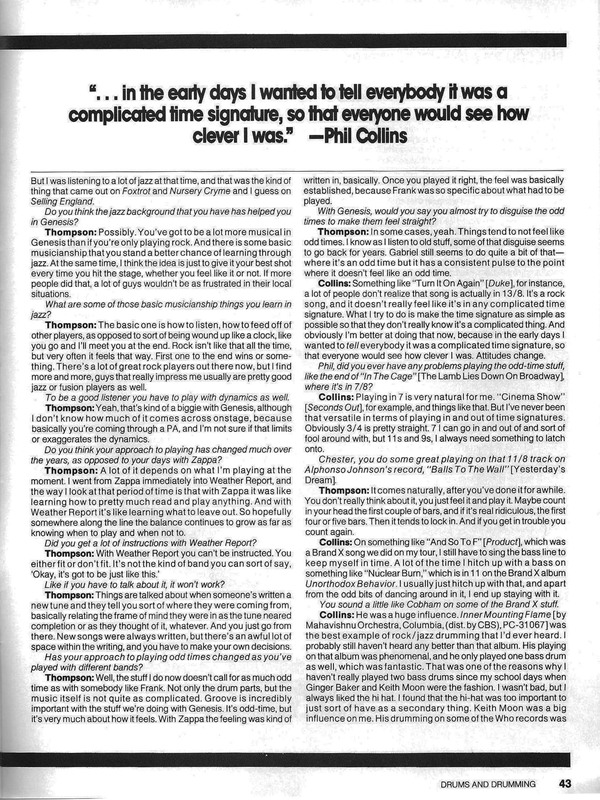 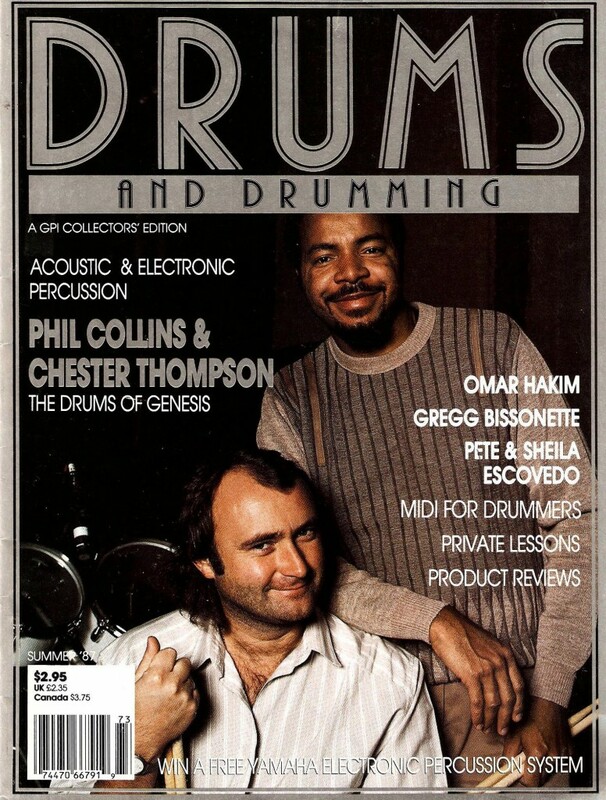 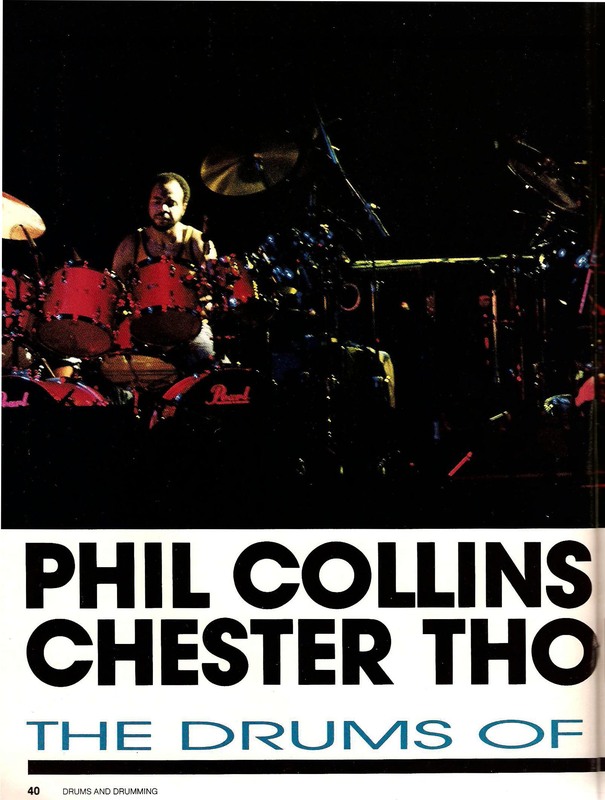 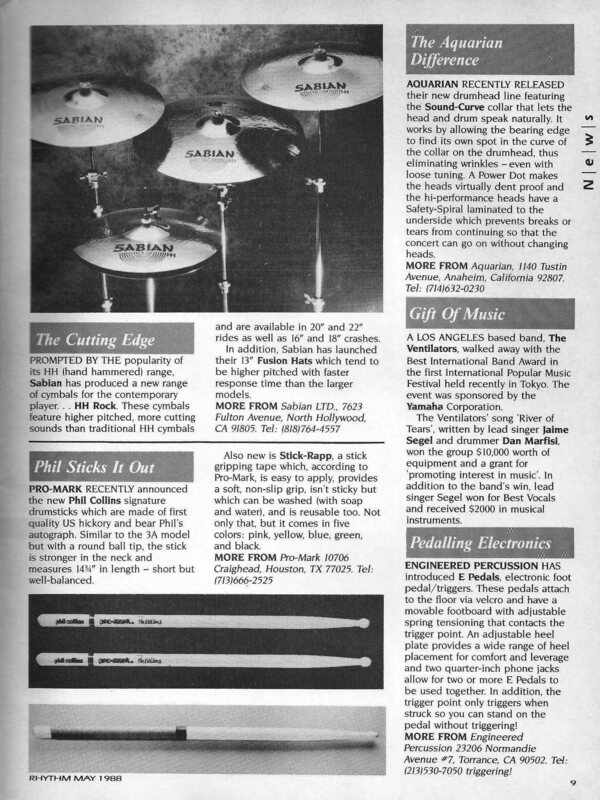 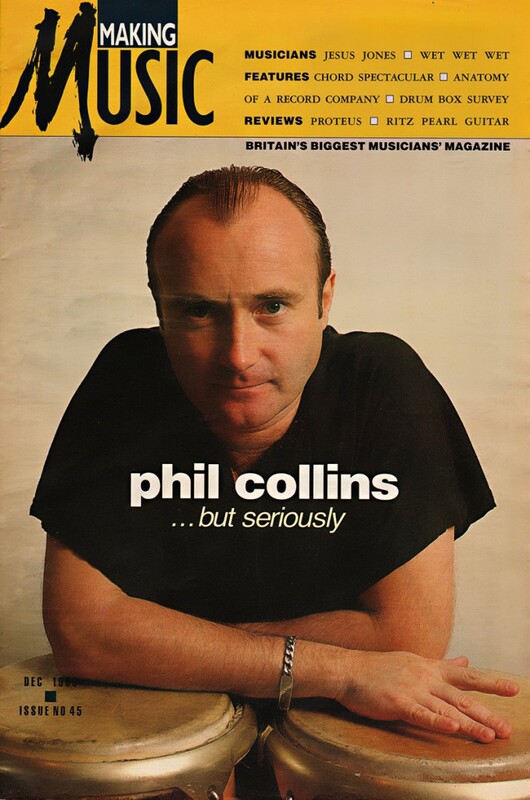 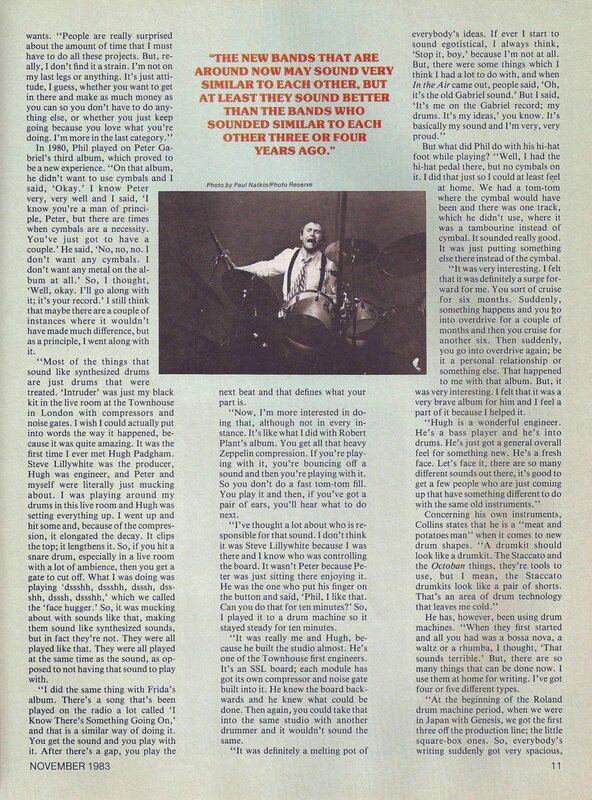 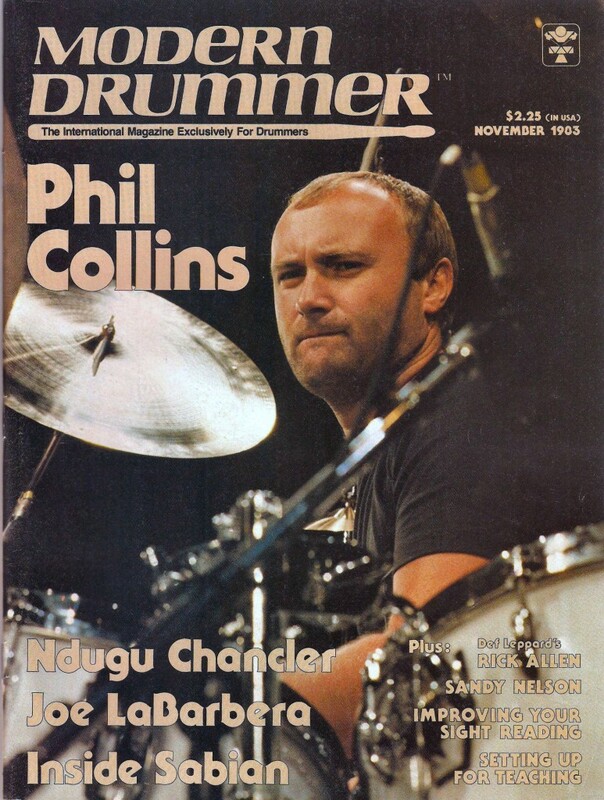 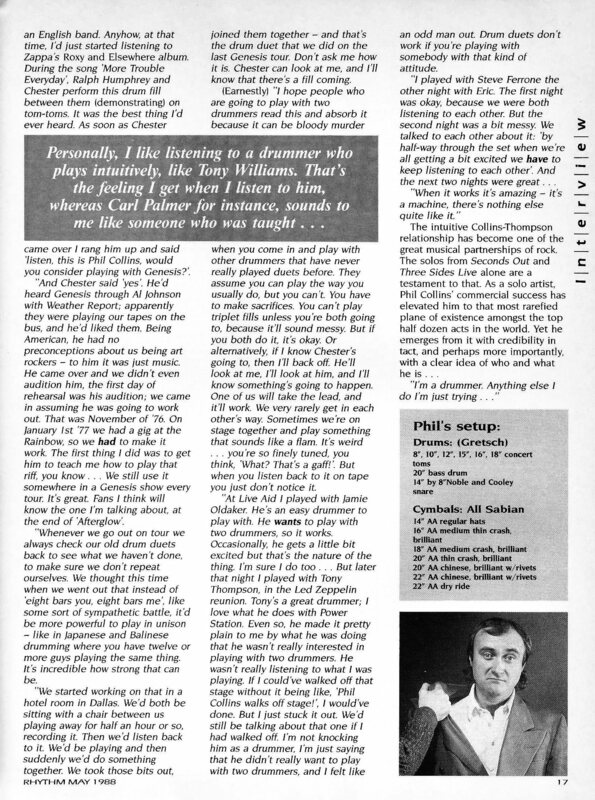 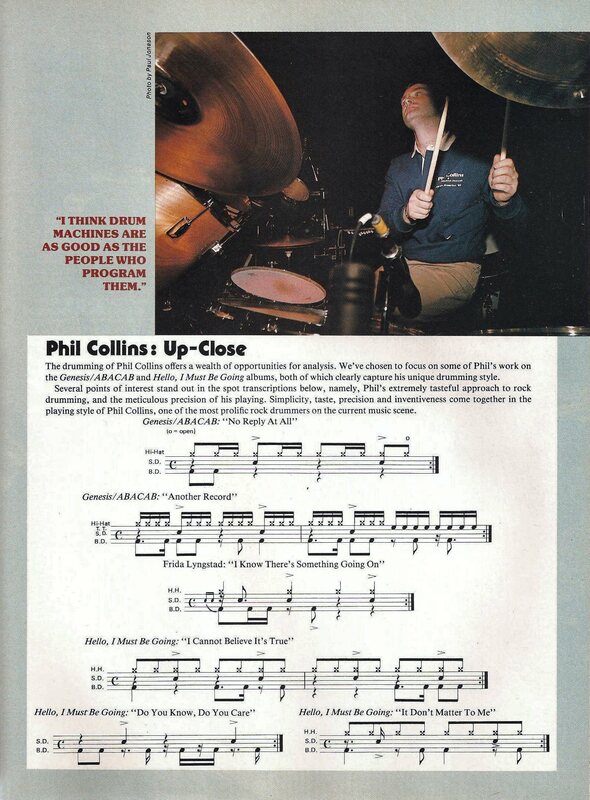 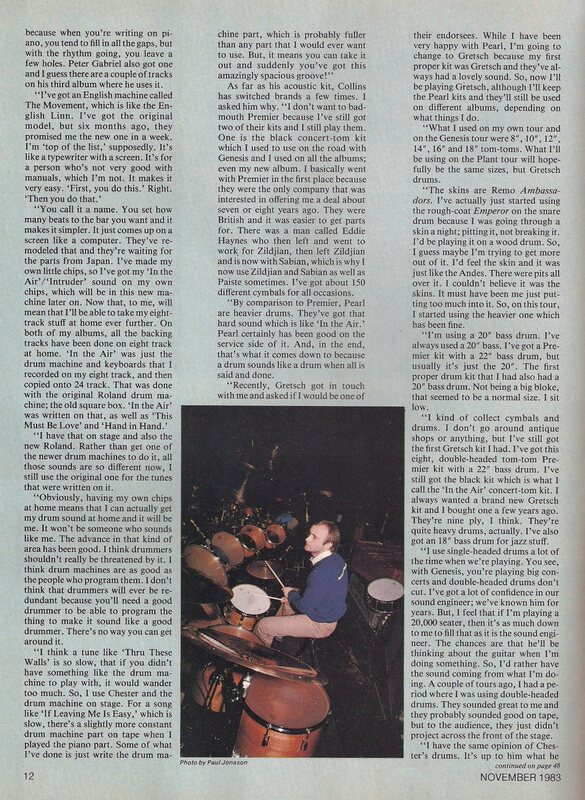 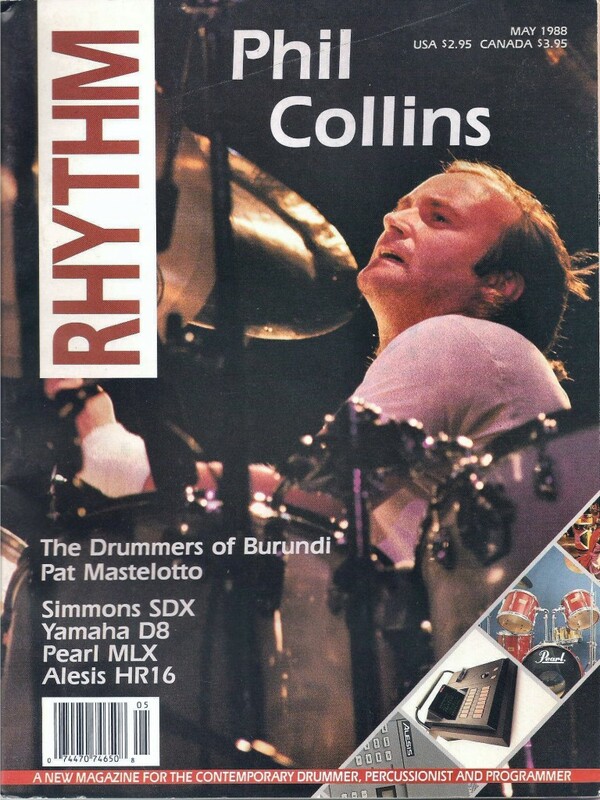 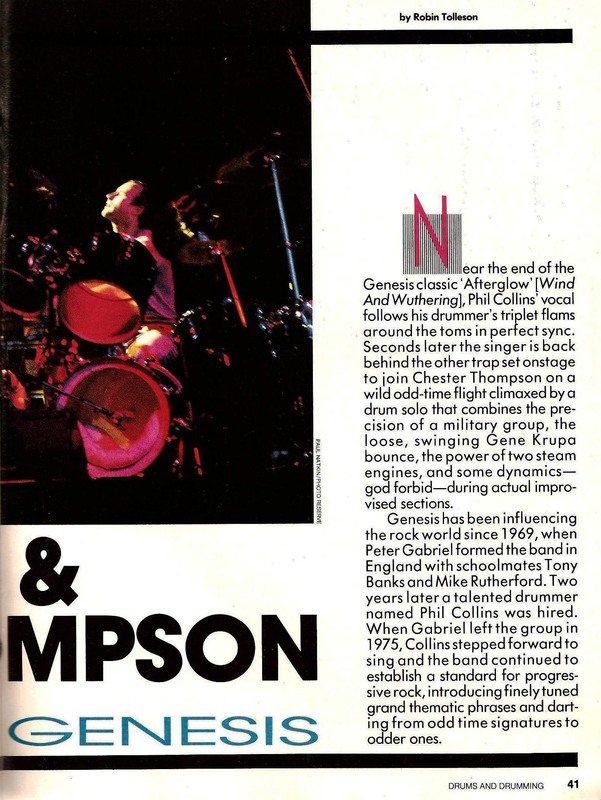 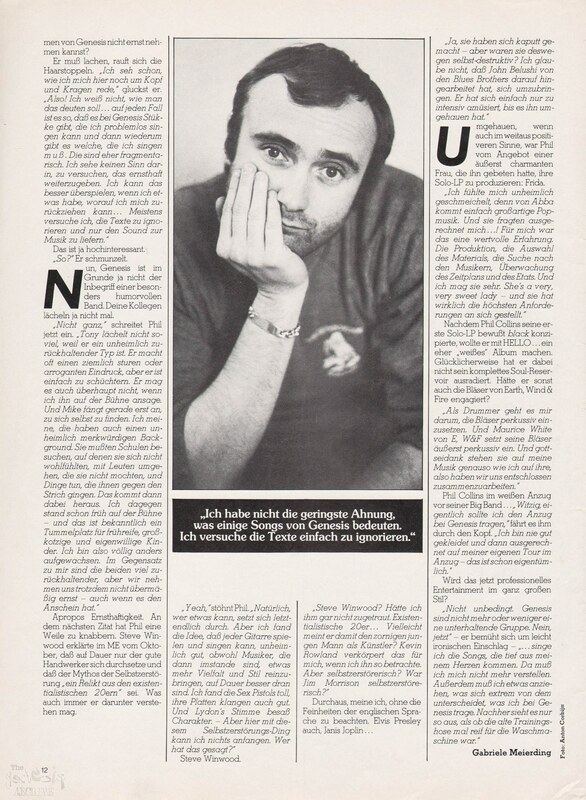 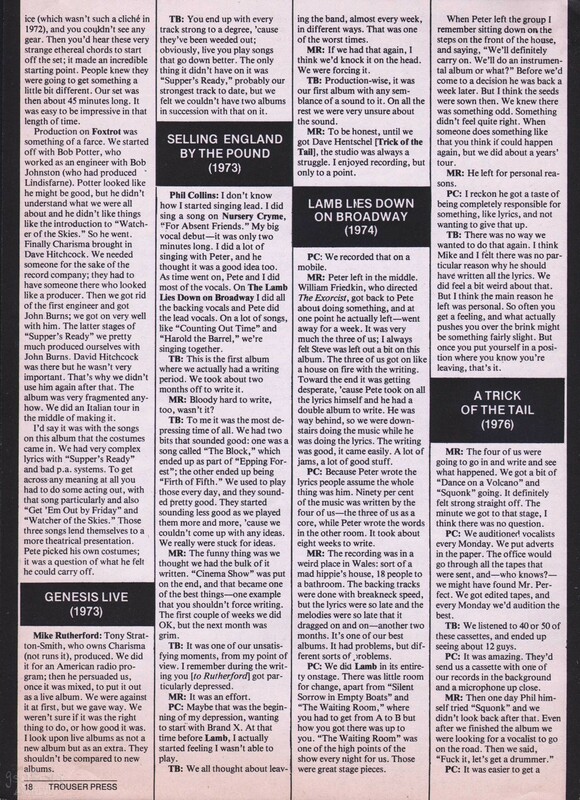 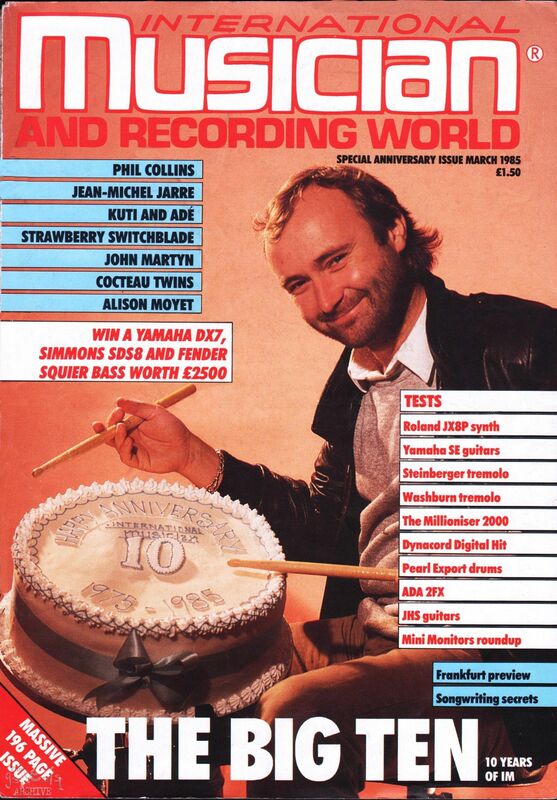 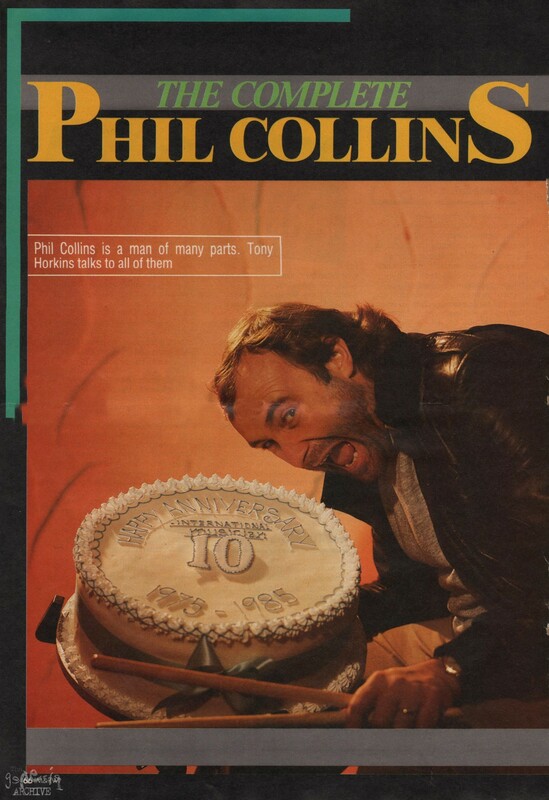 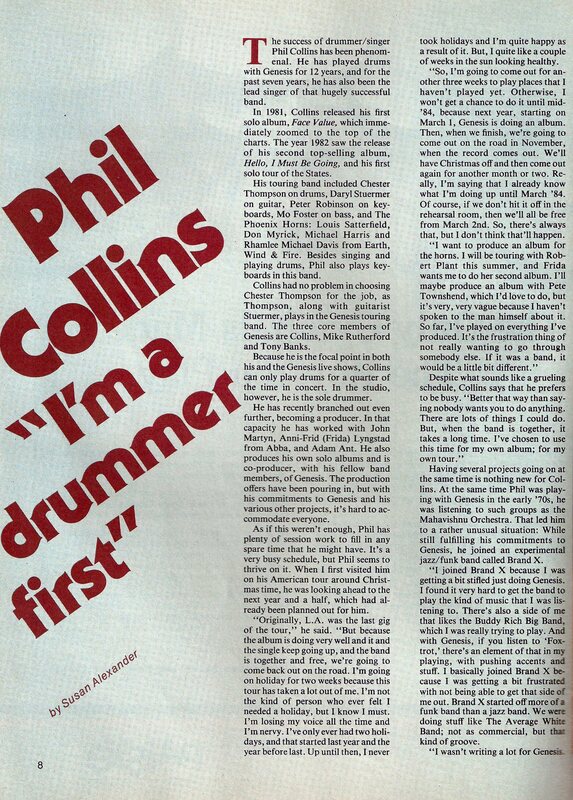 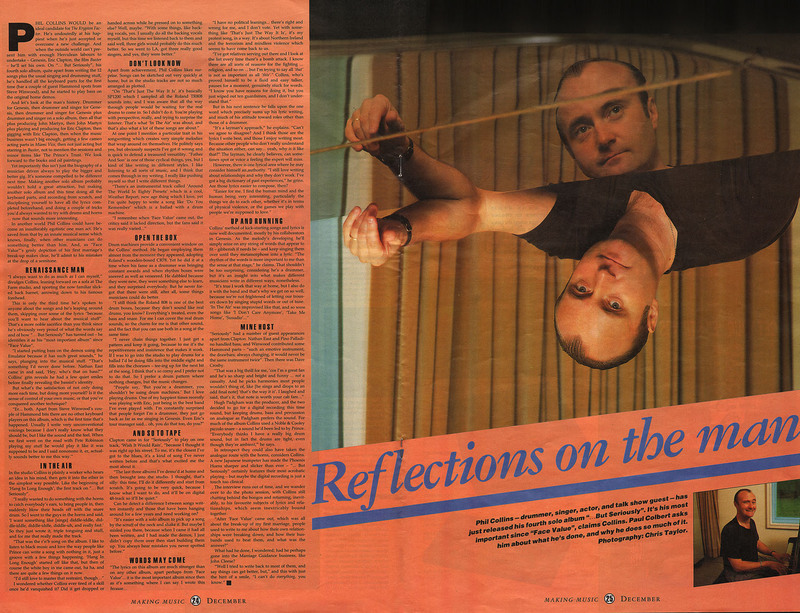 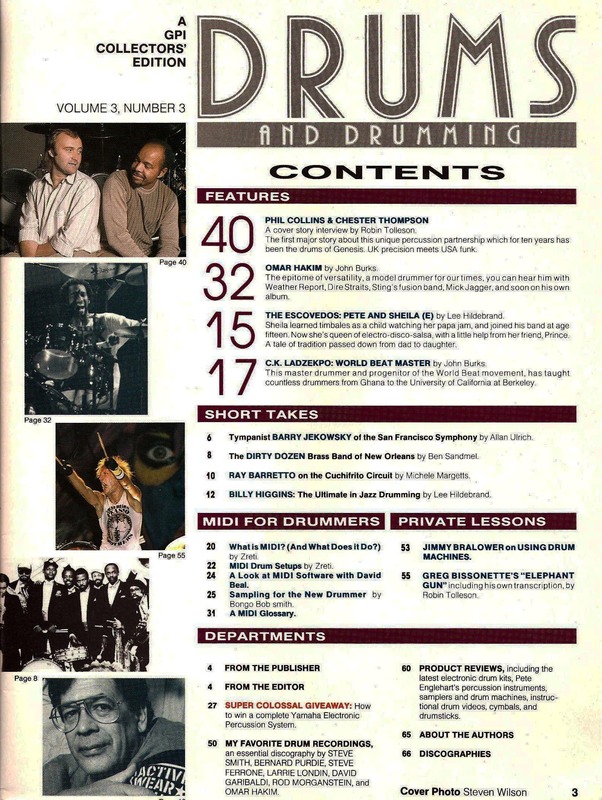 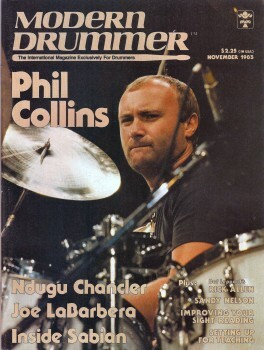 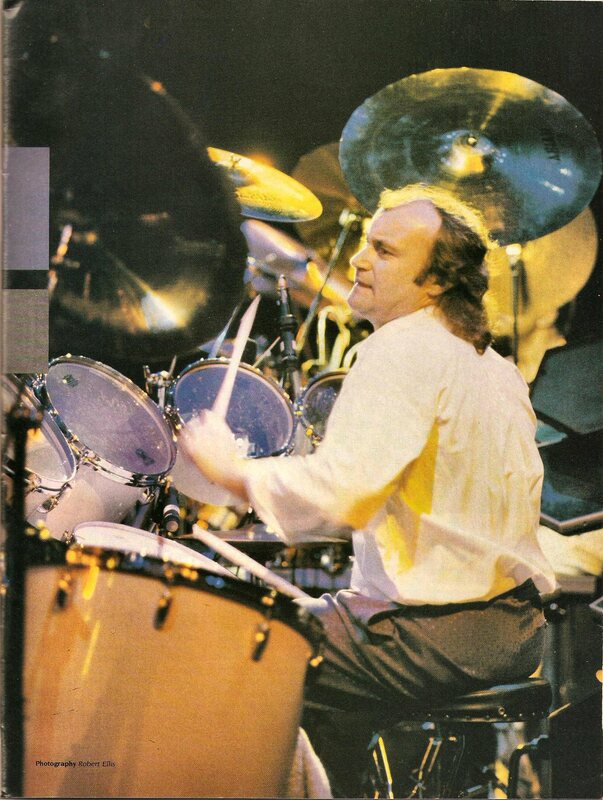 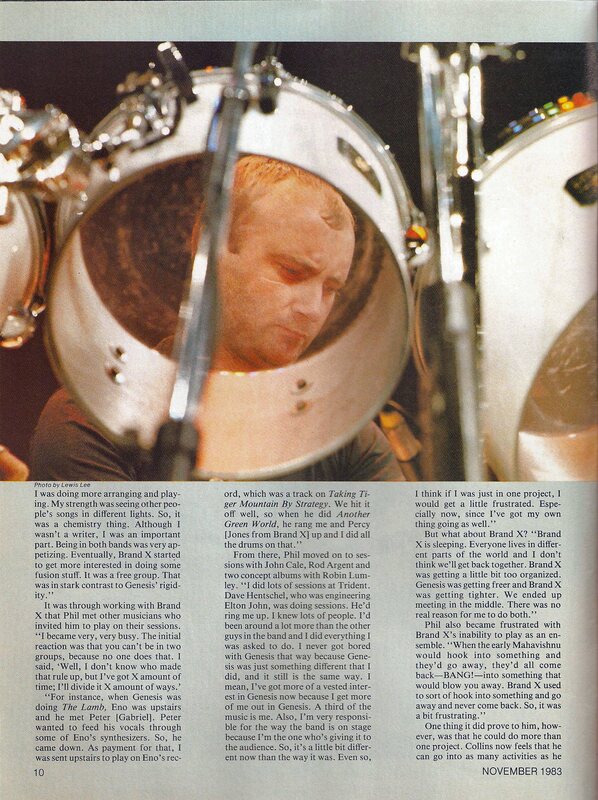 Phil Collins interview during the early stages of the Genesis Mama/Shapes tour of 1983. 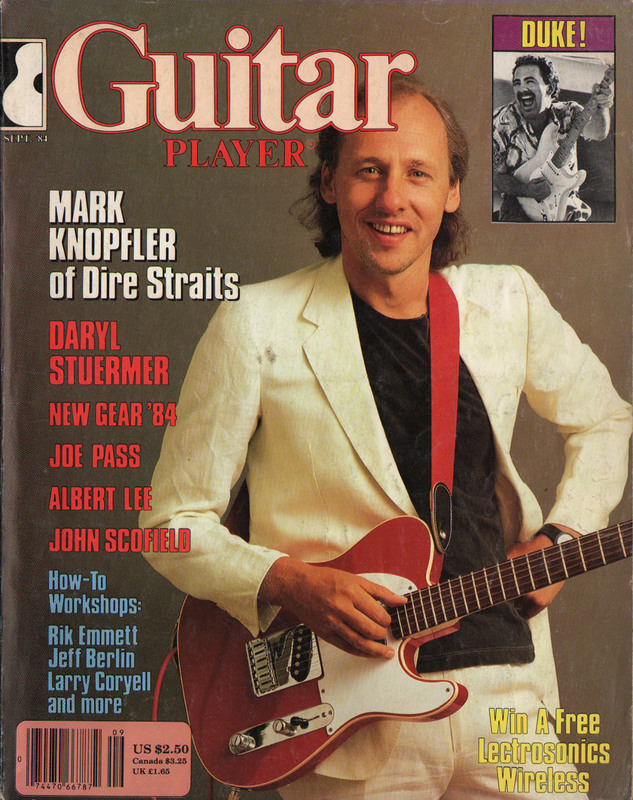 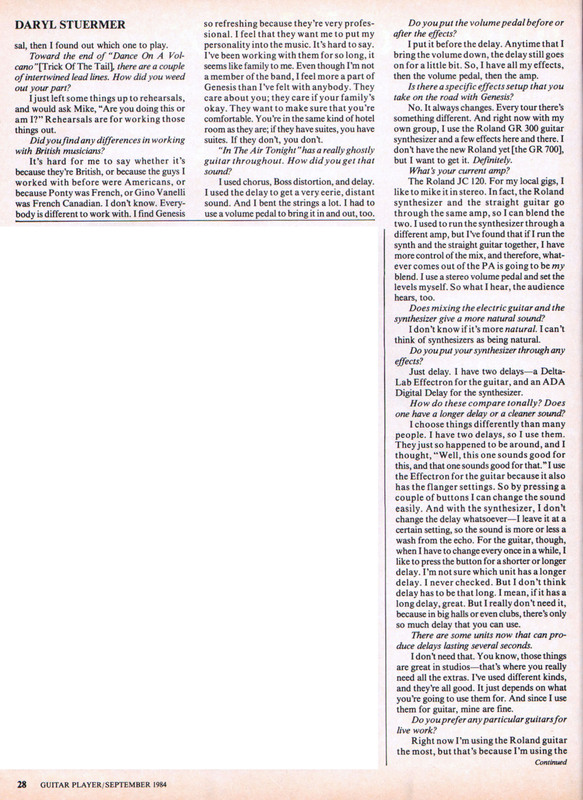 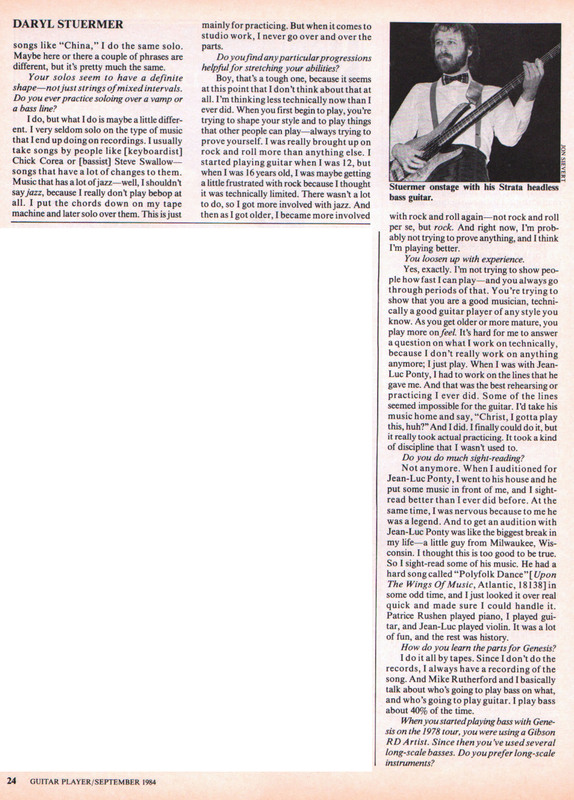 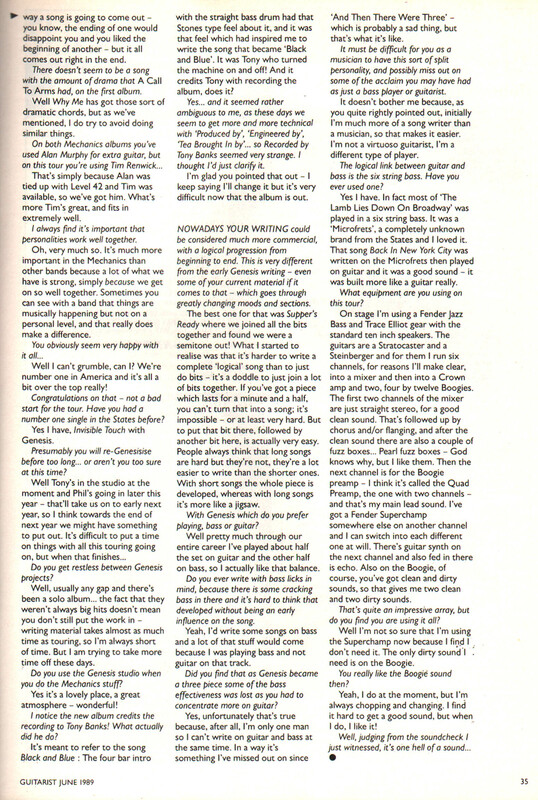 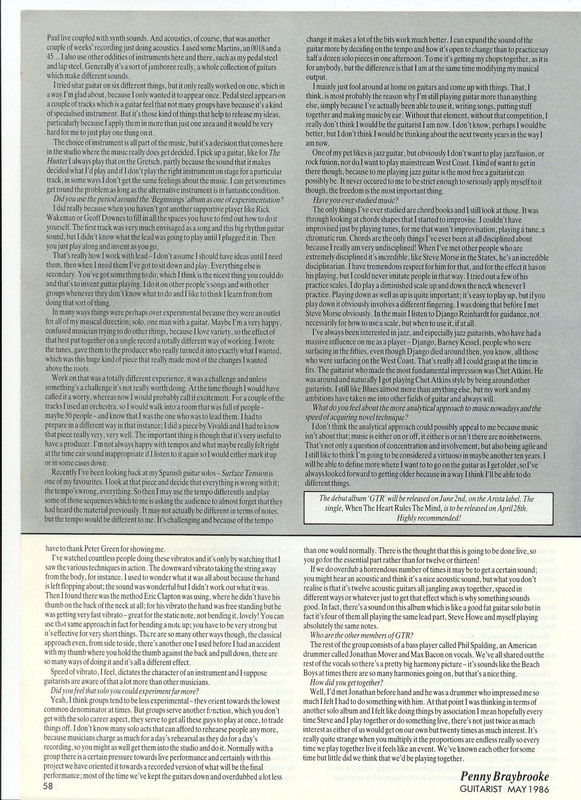 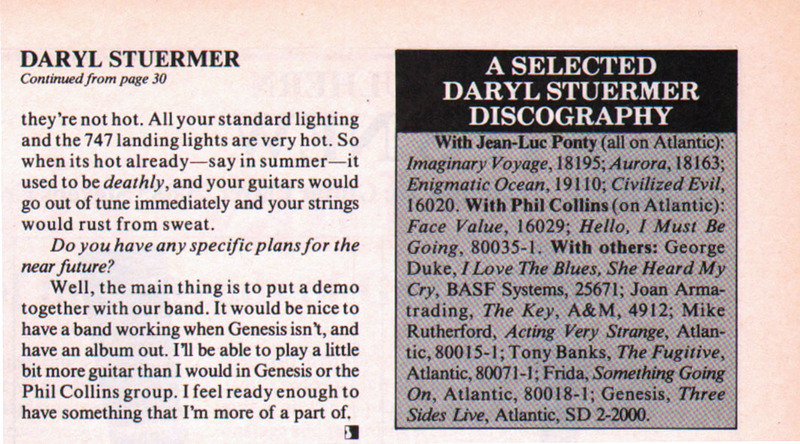 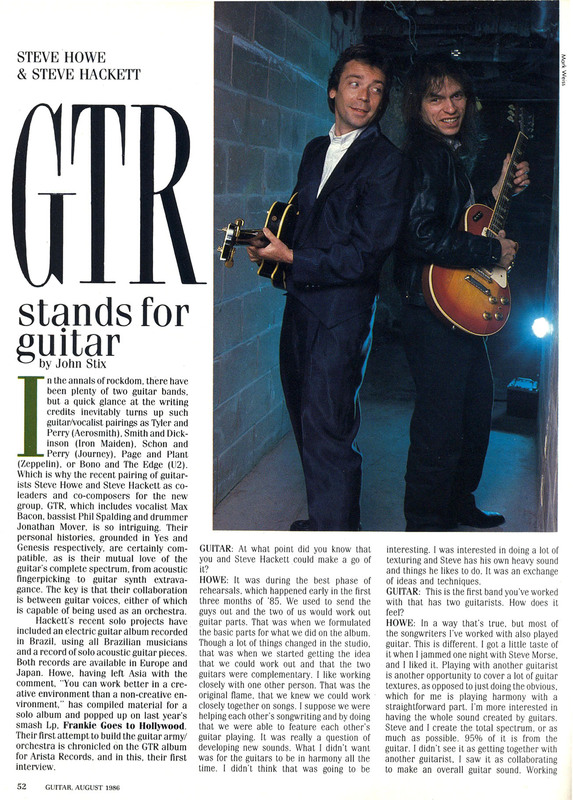 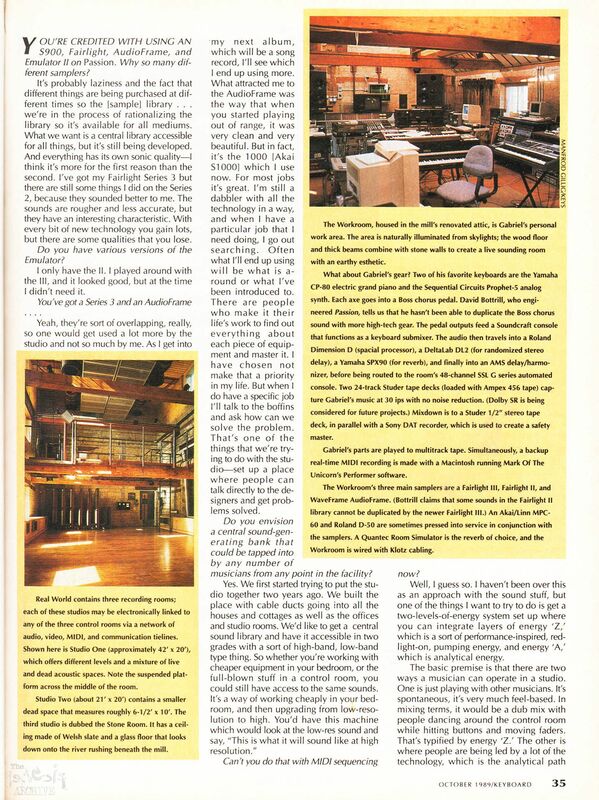 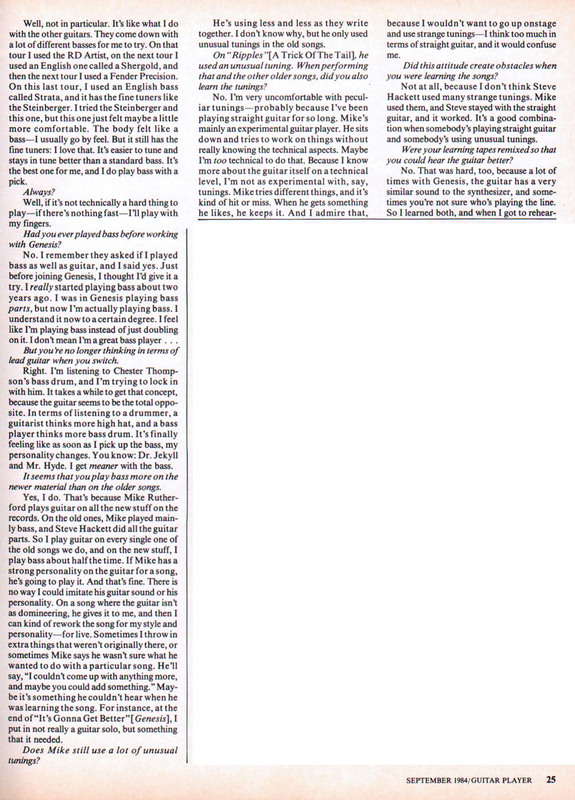 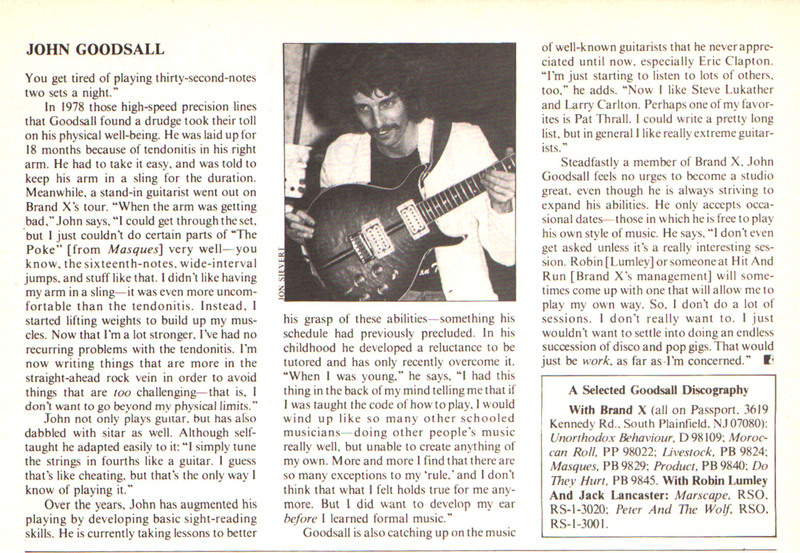 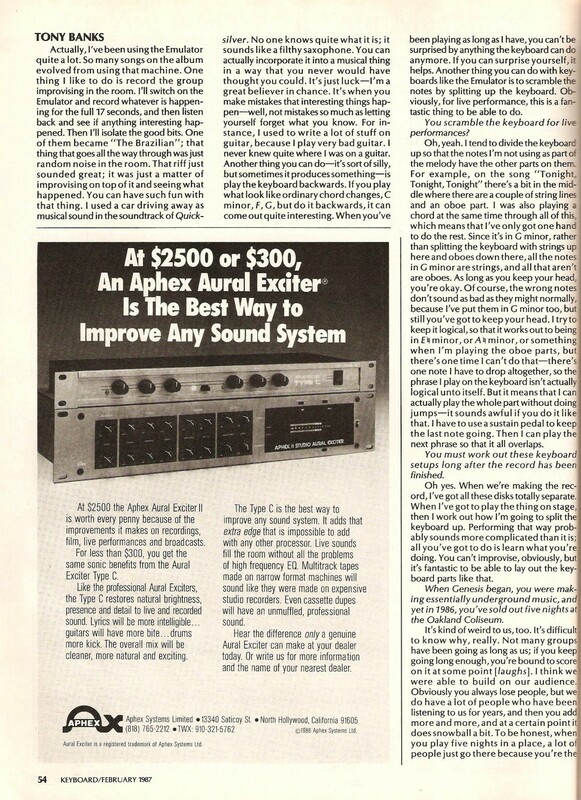 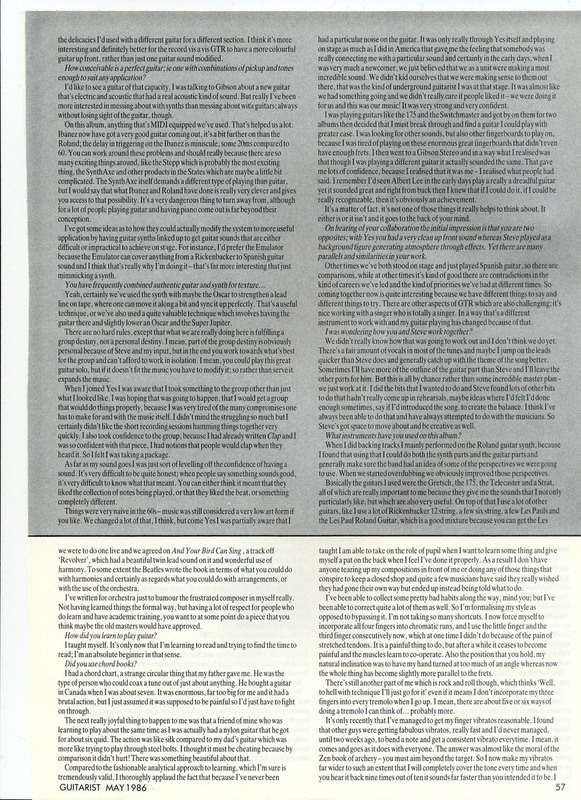 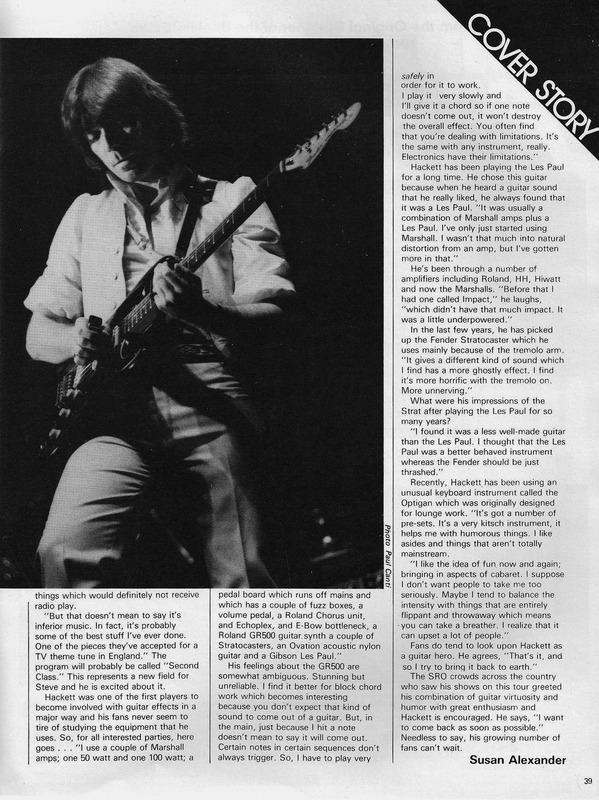 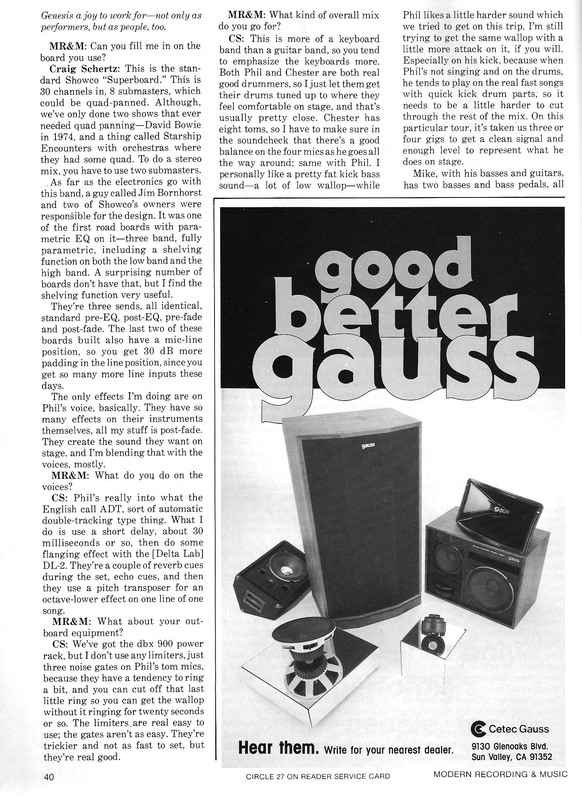 Daryl Stuermer is interviewed in this months Guitar Player! 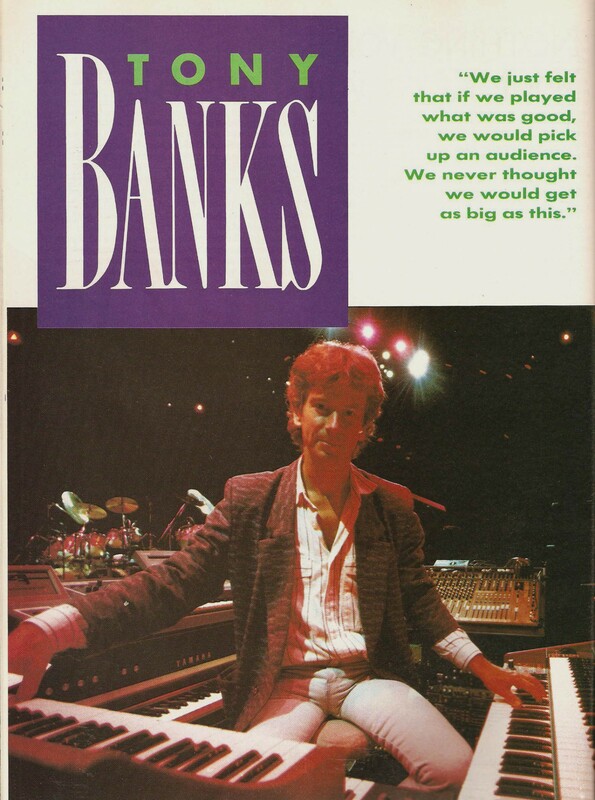 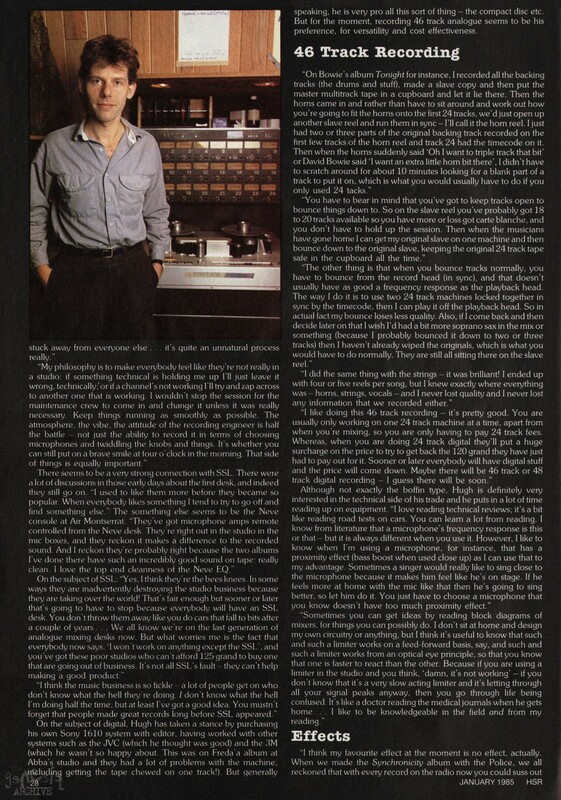 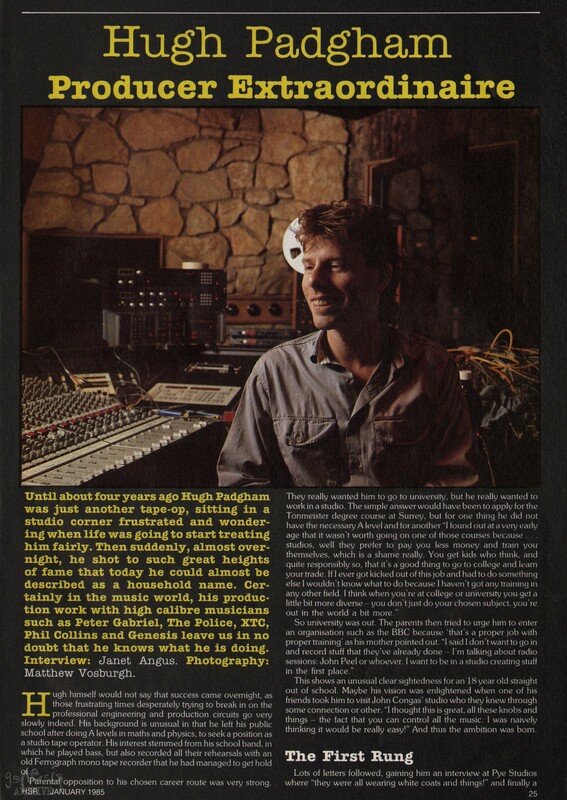 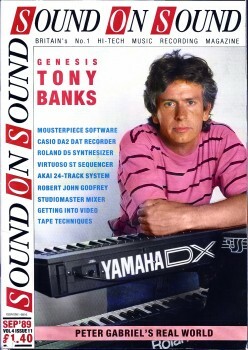 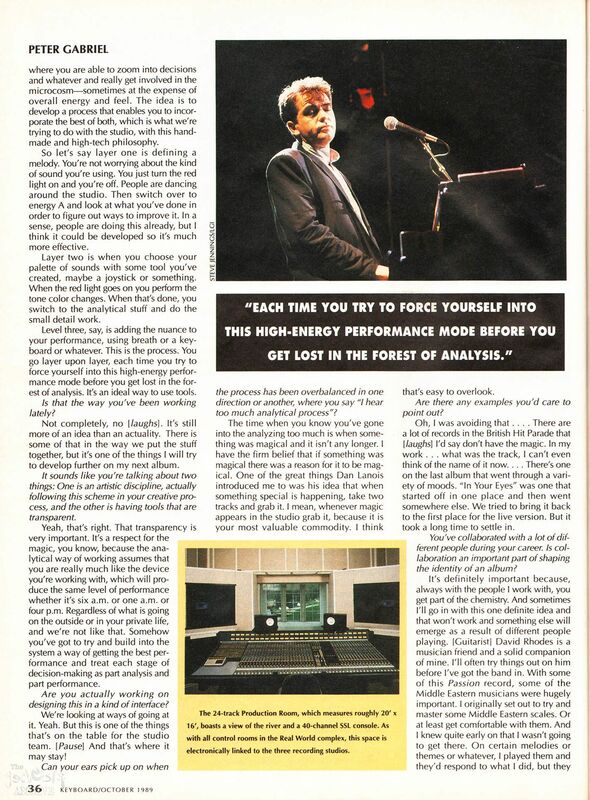 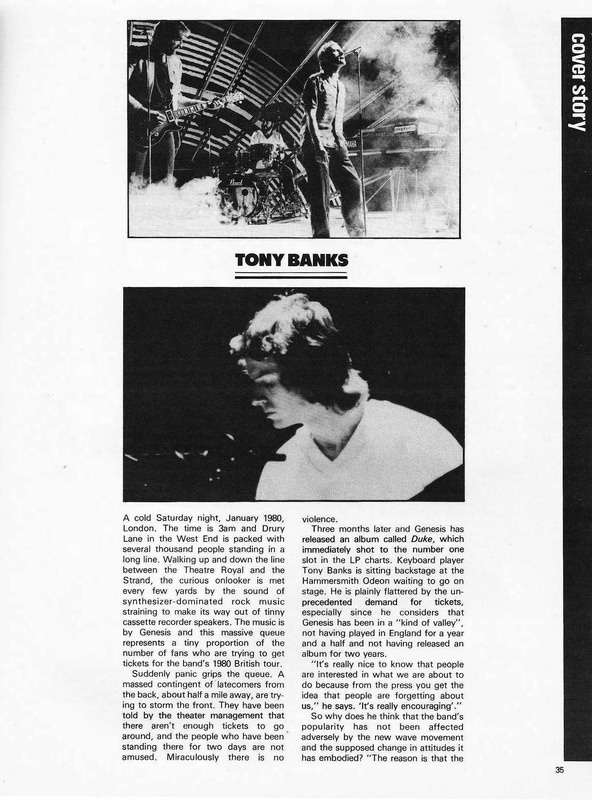 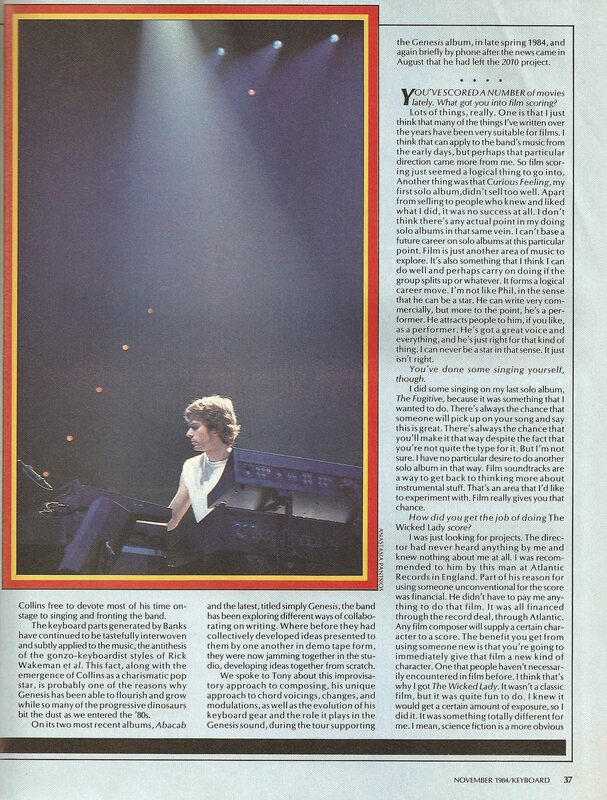 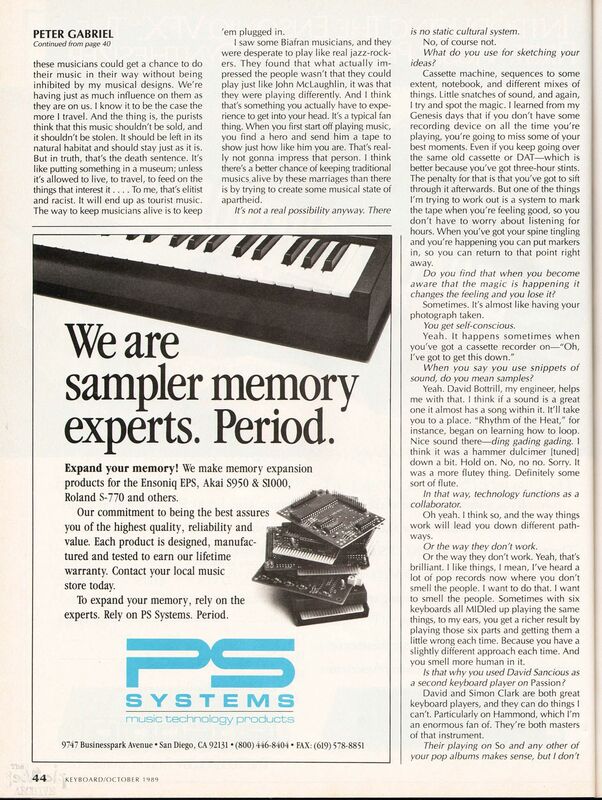 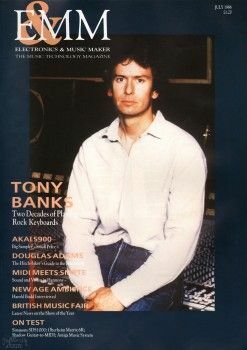 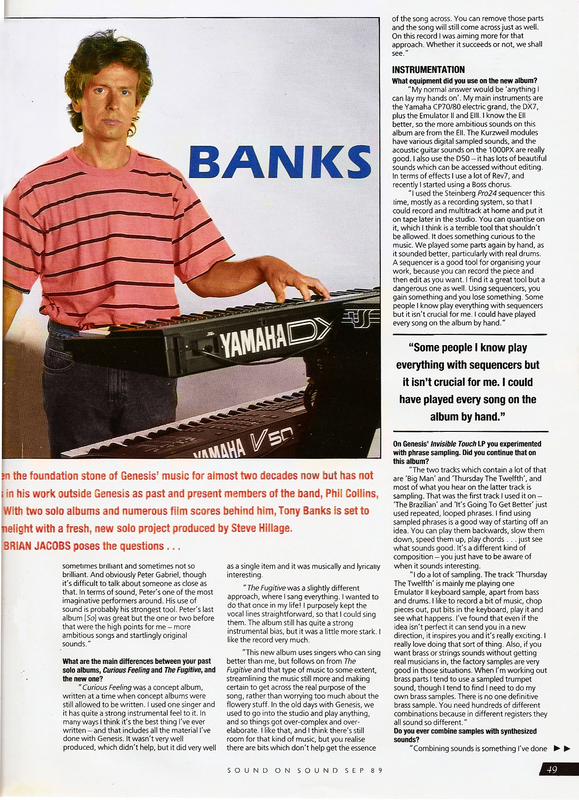 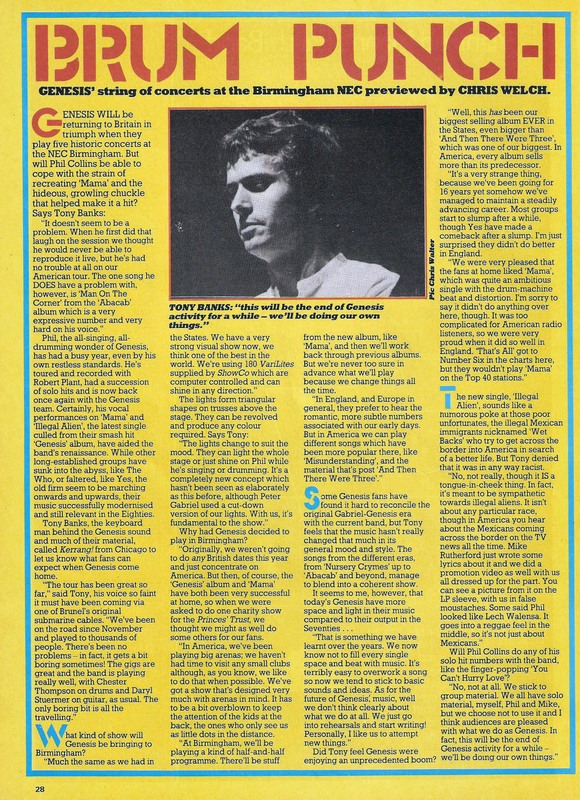 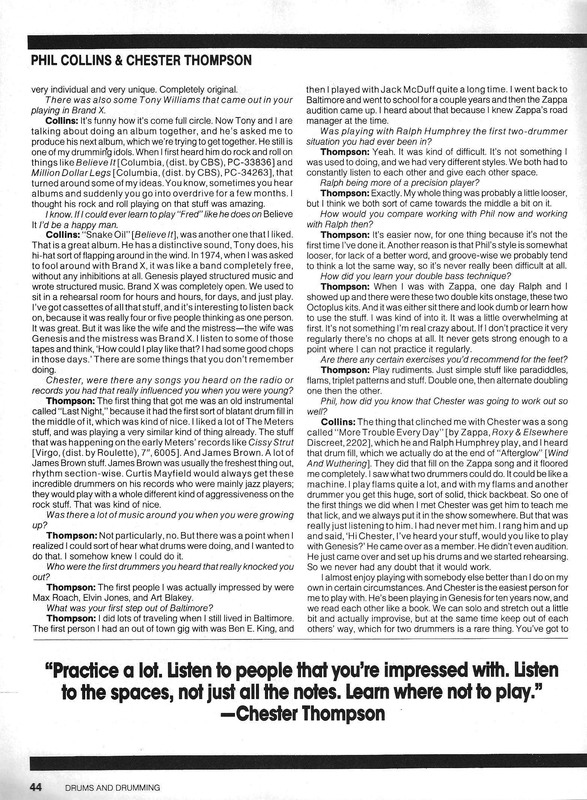 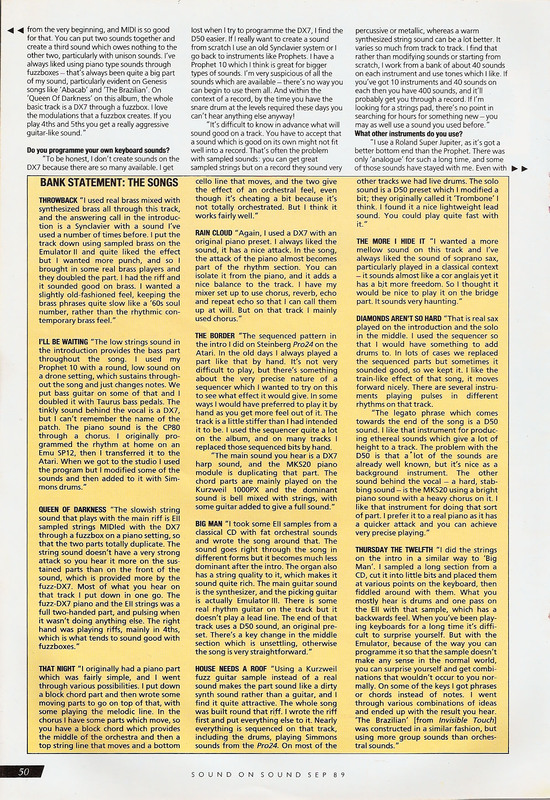 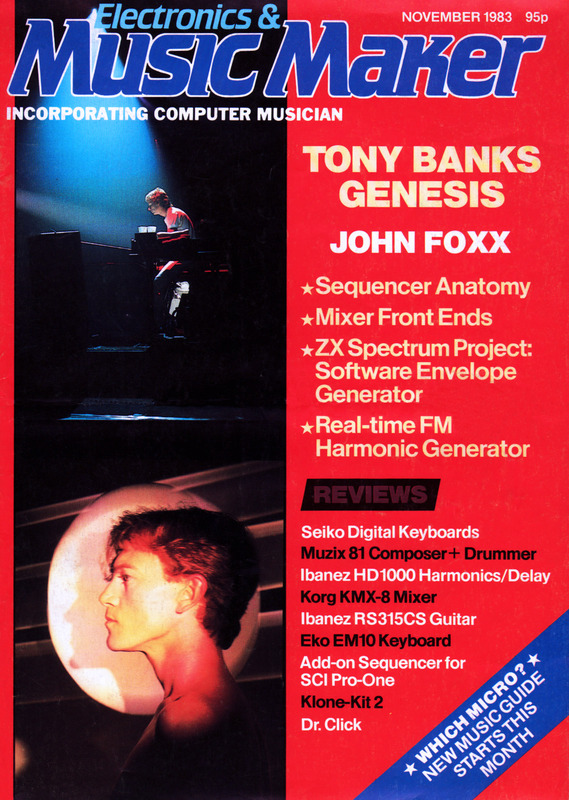 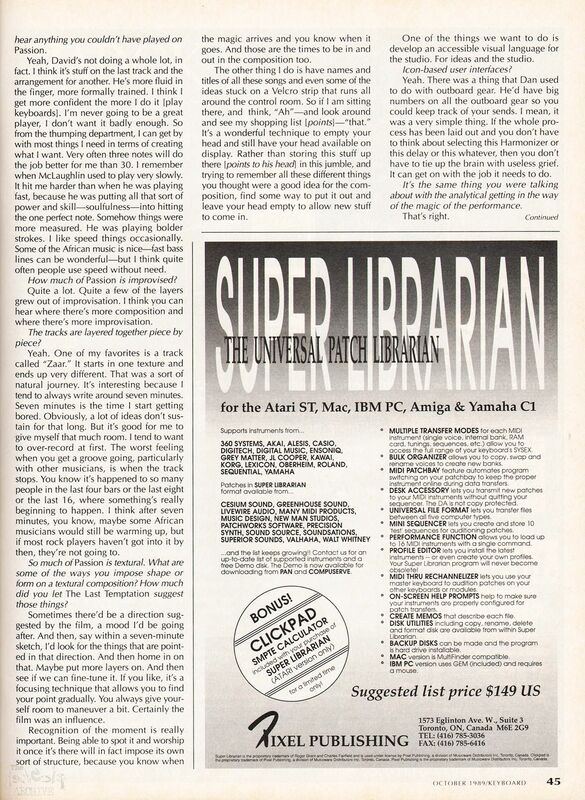 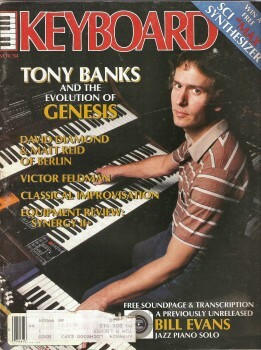 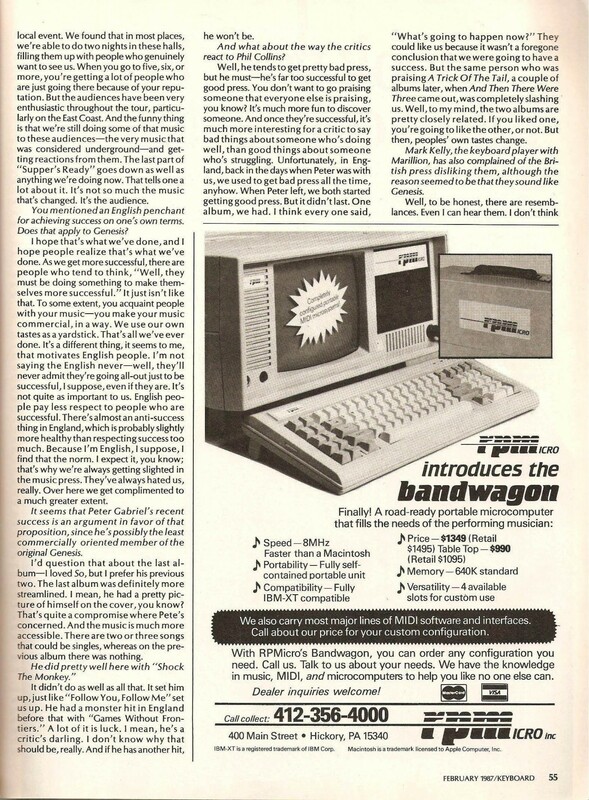 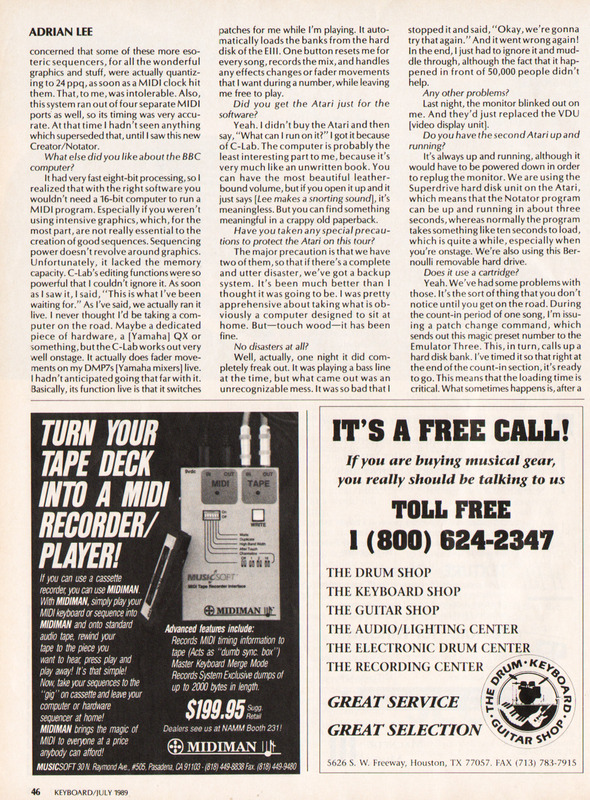 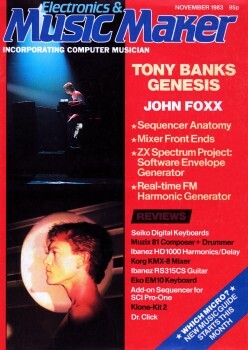 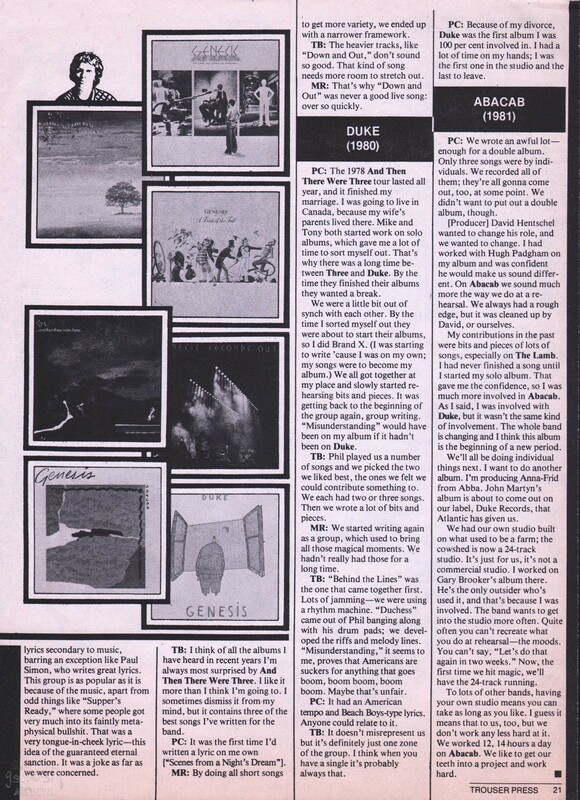 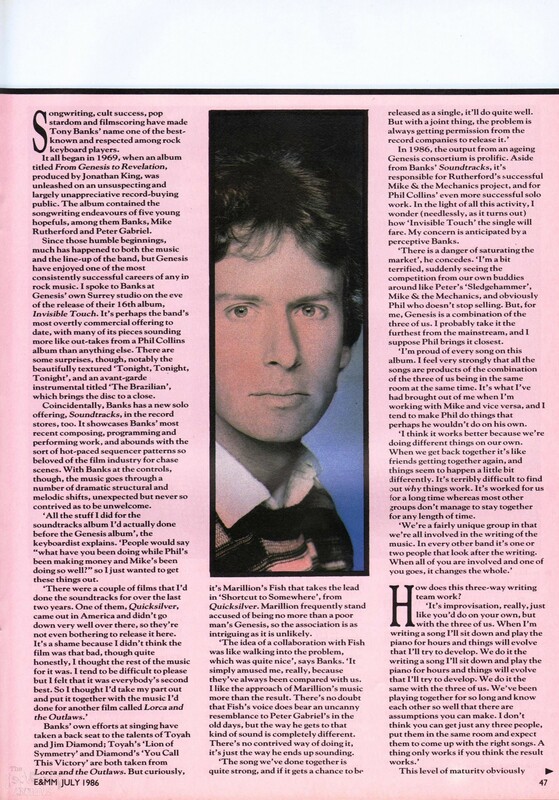 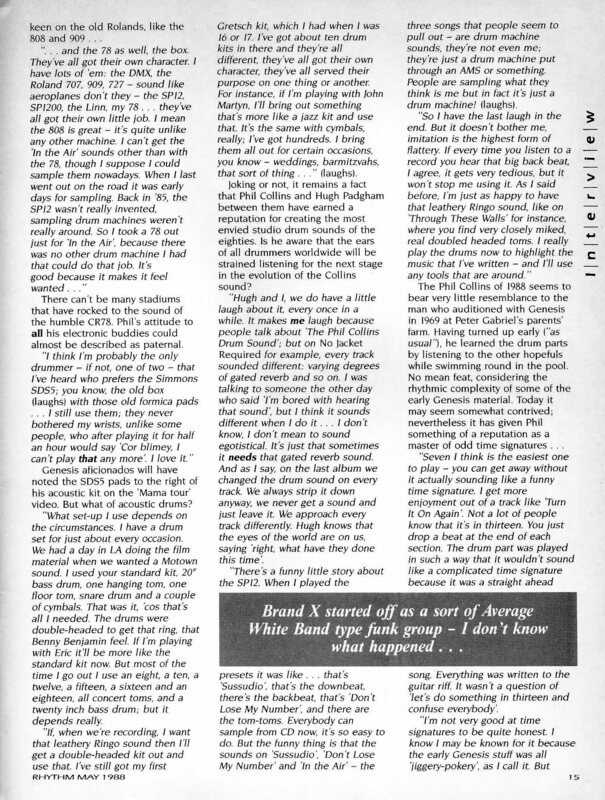 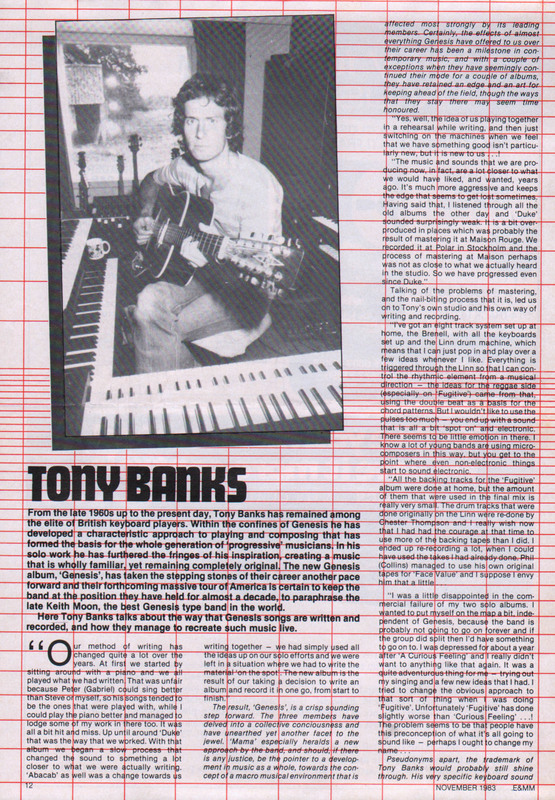 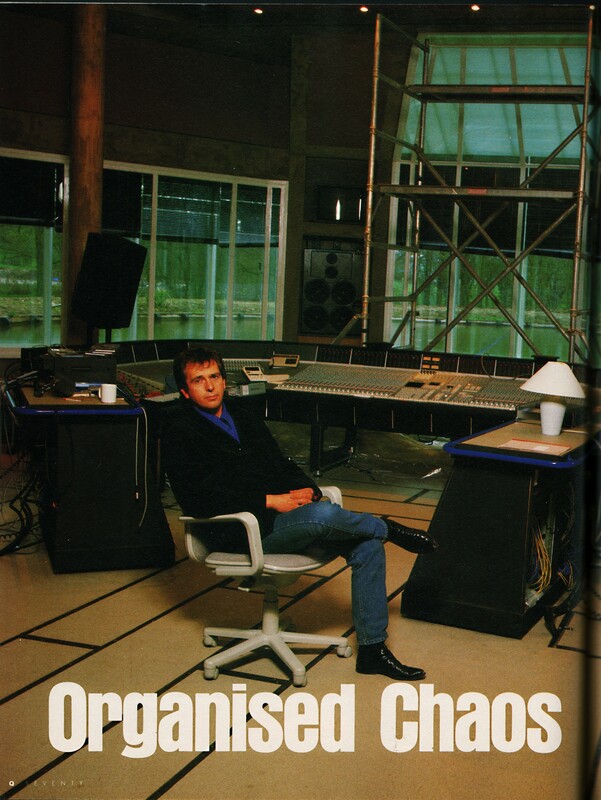 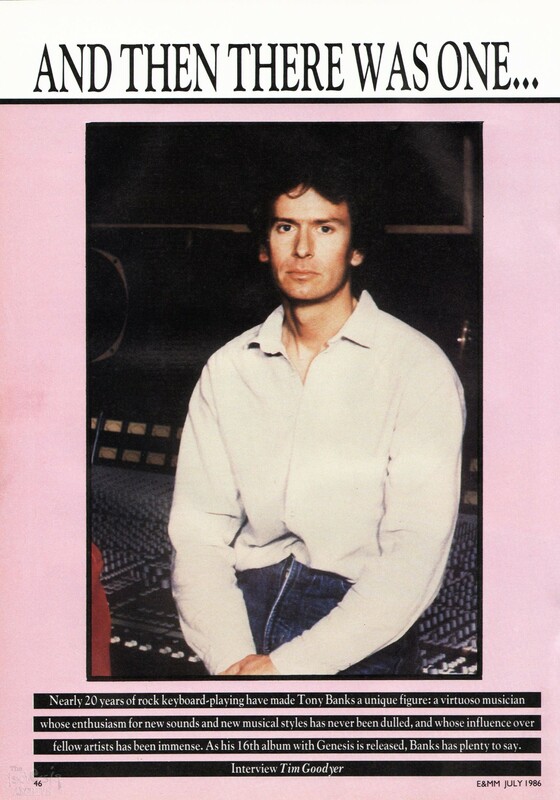 Tony Banks is interviewed during the Mama/Shapes Genesis tour of 1983/84. 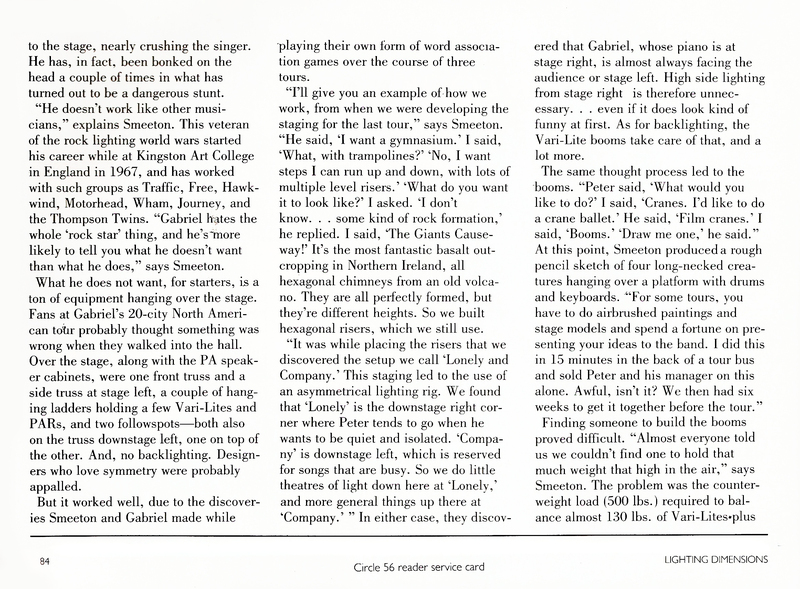 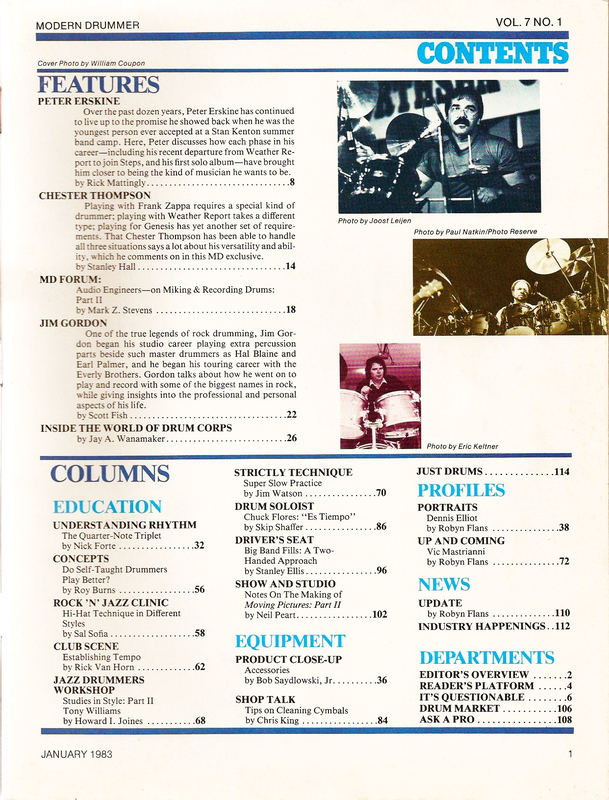 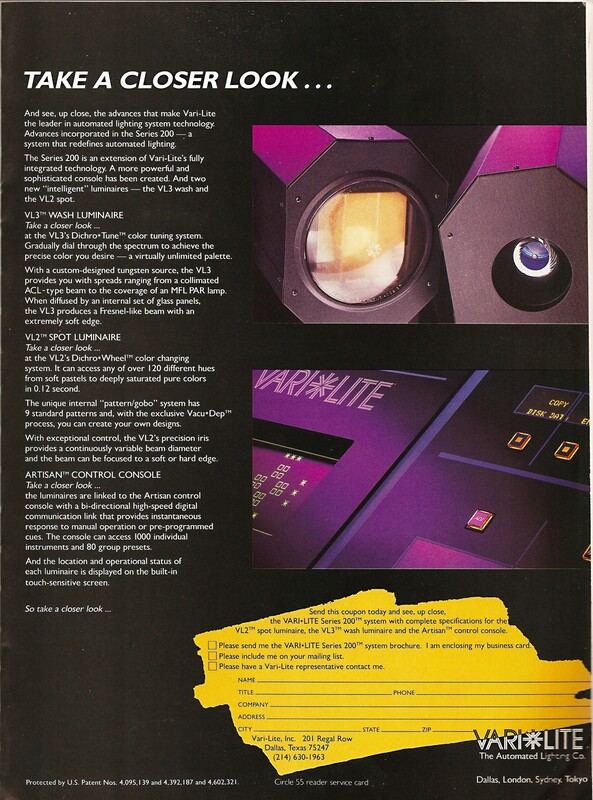 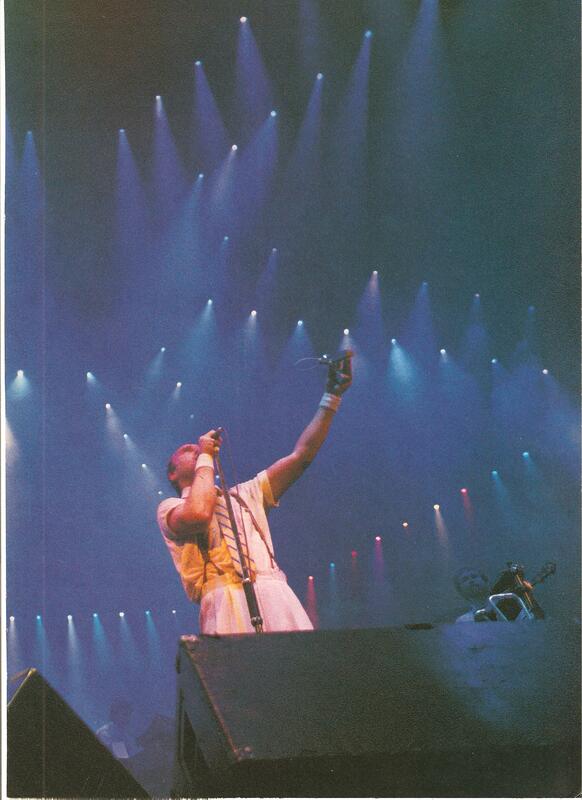 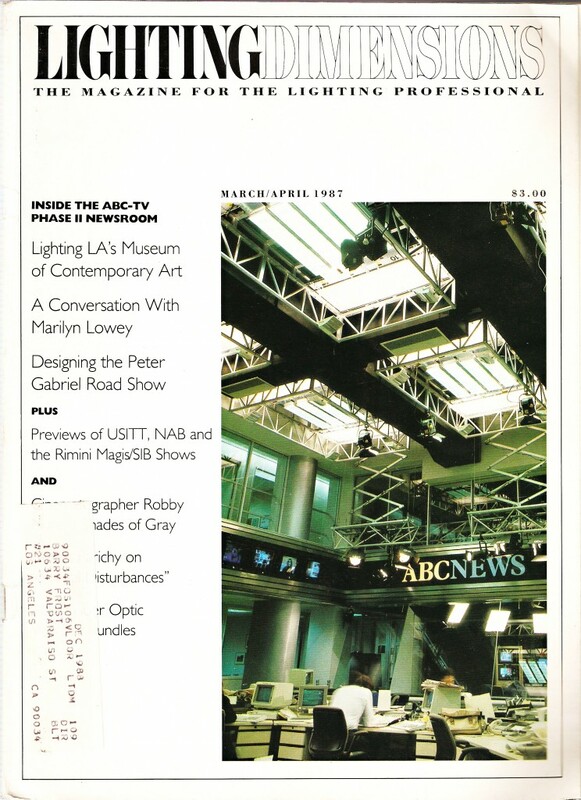 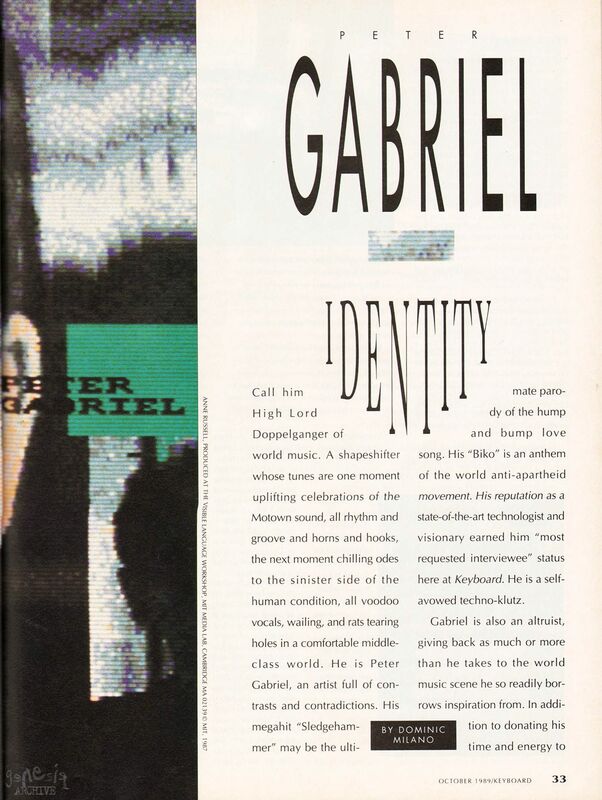 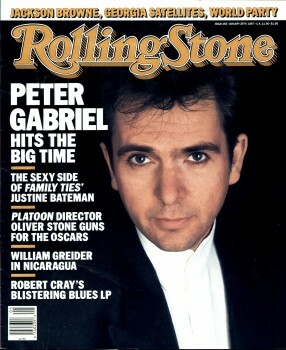 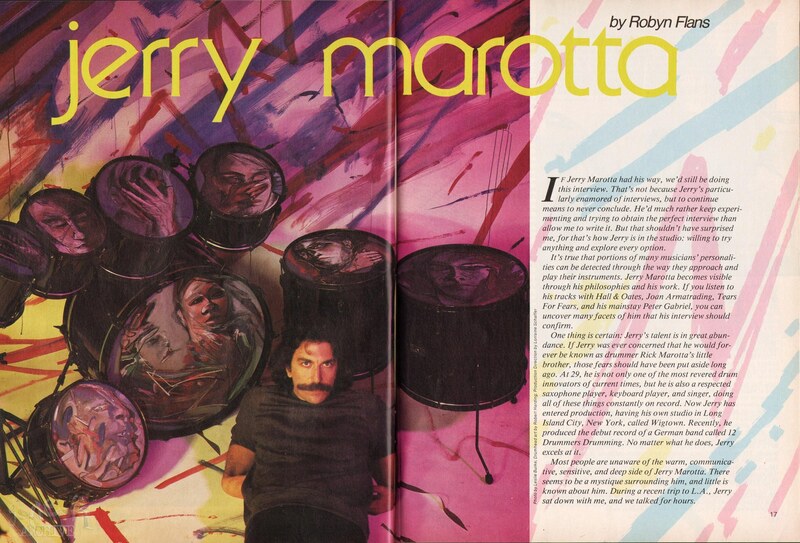 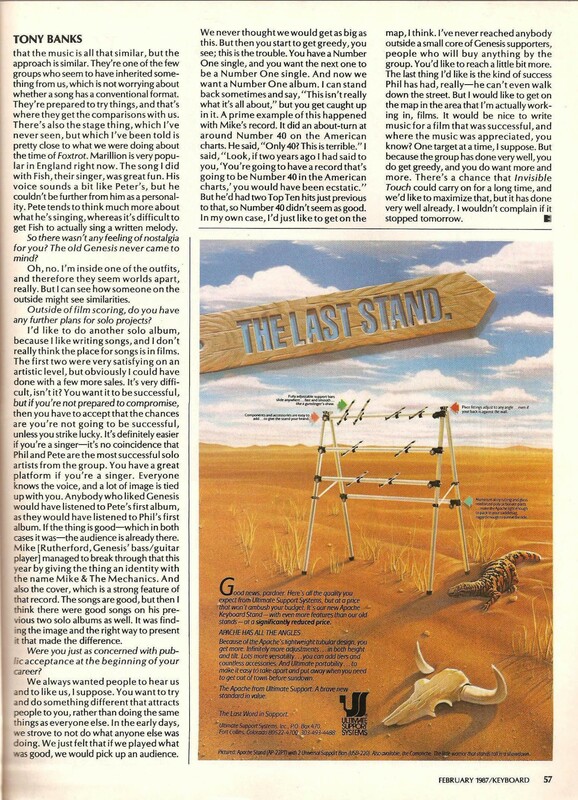 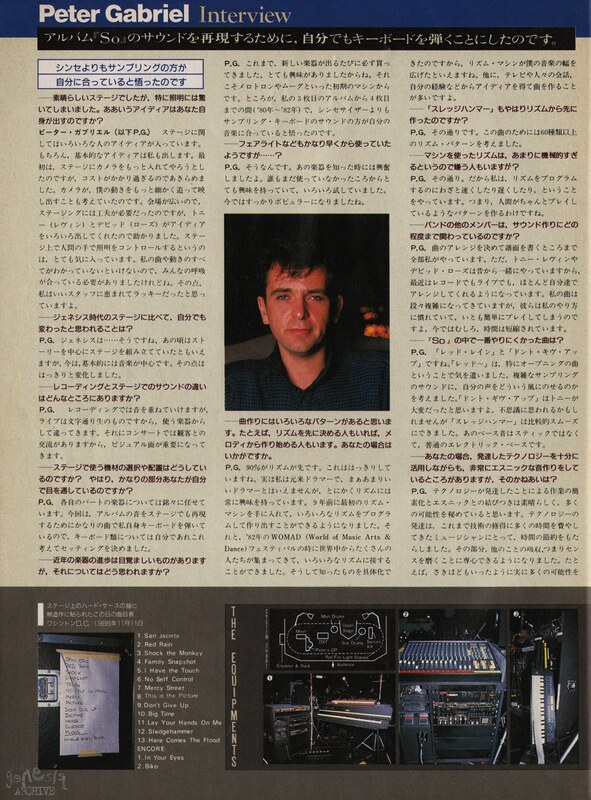 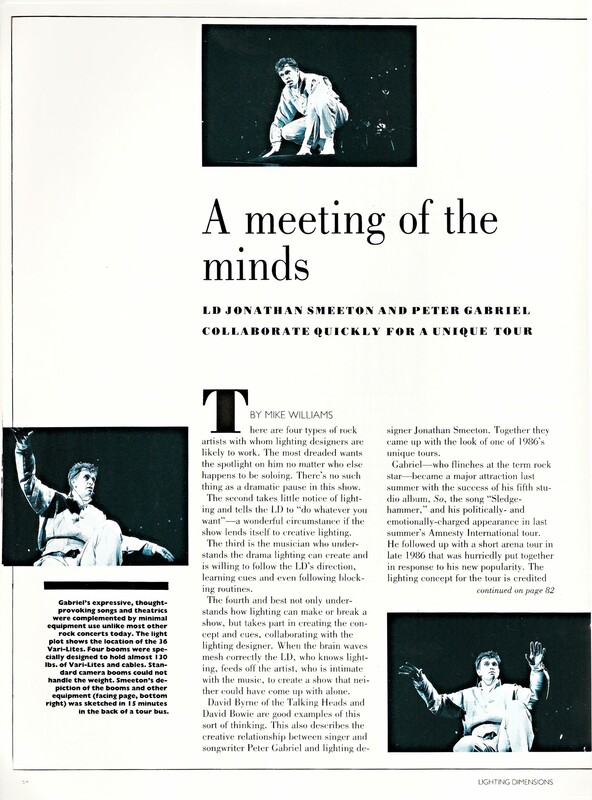 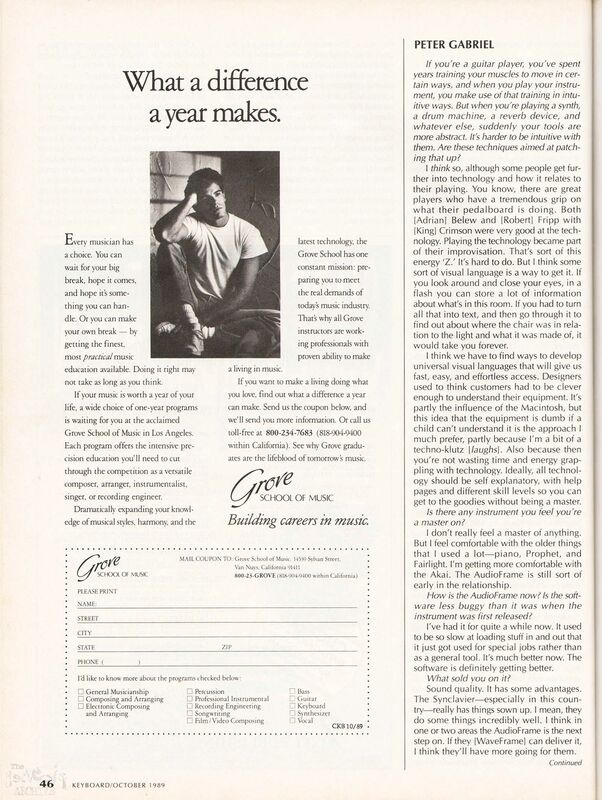 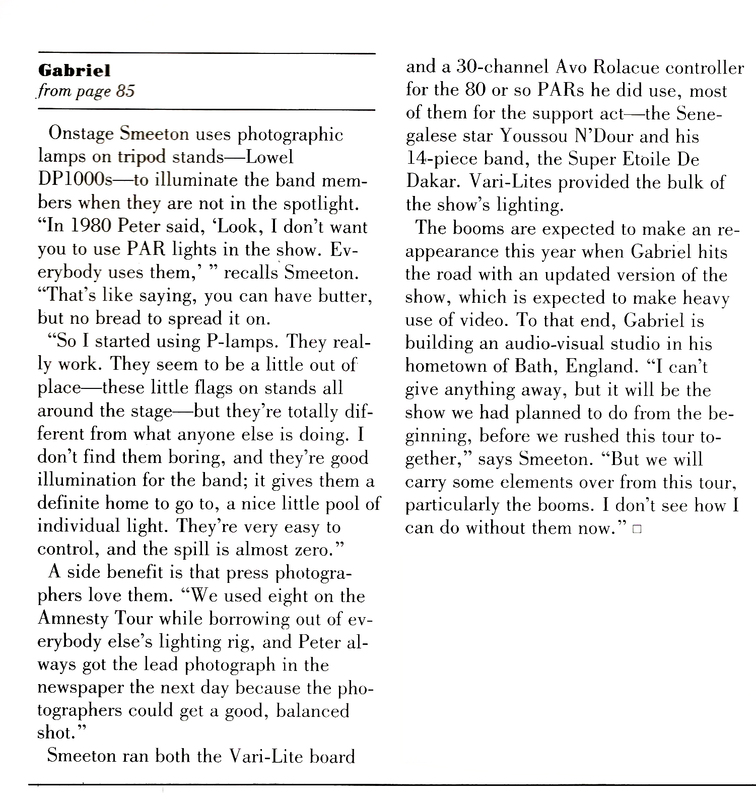 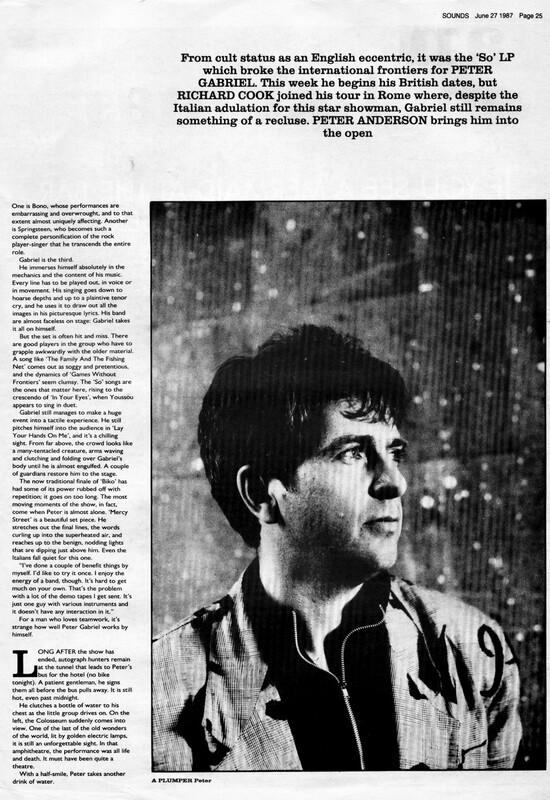 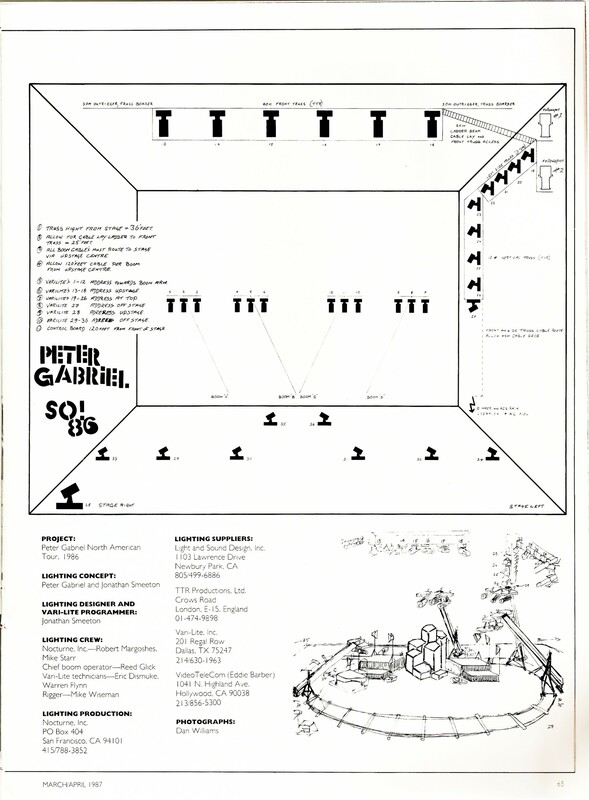 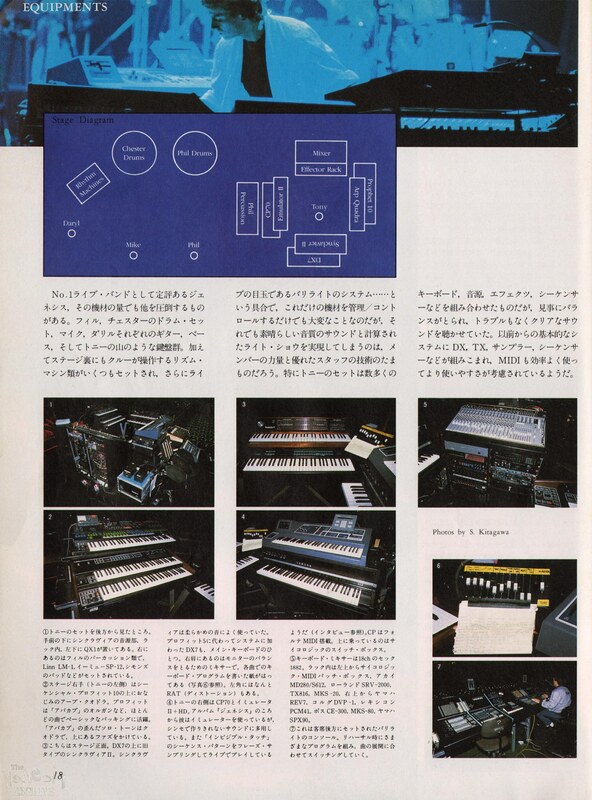 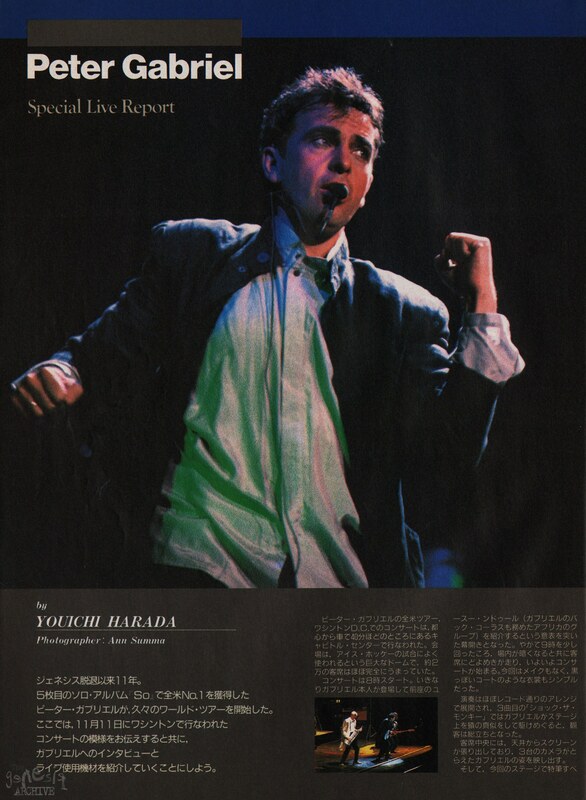 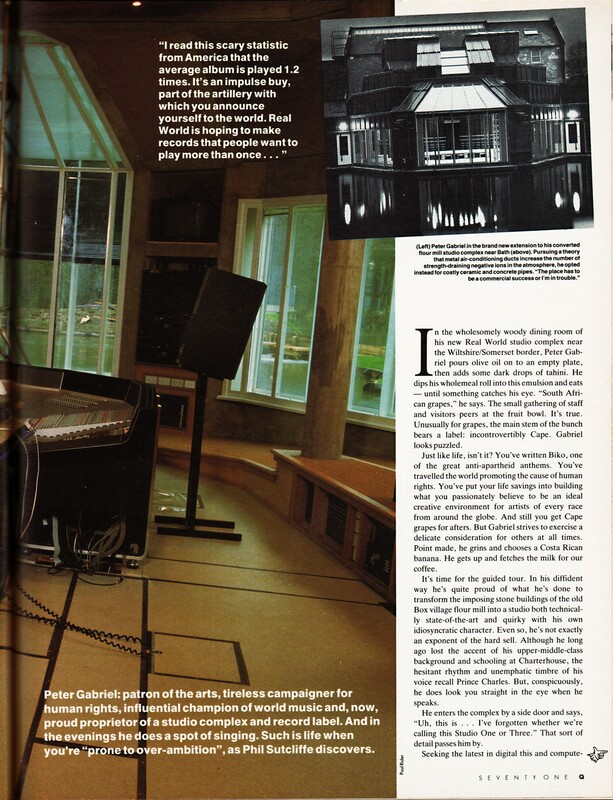 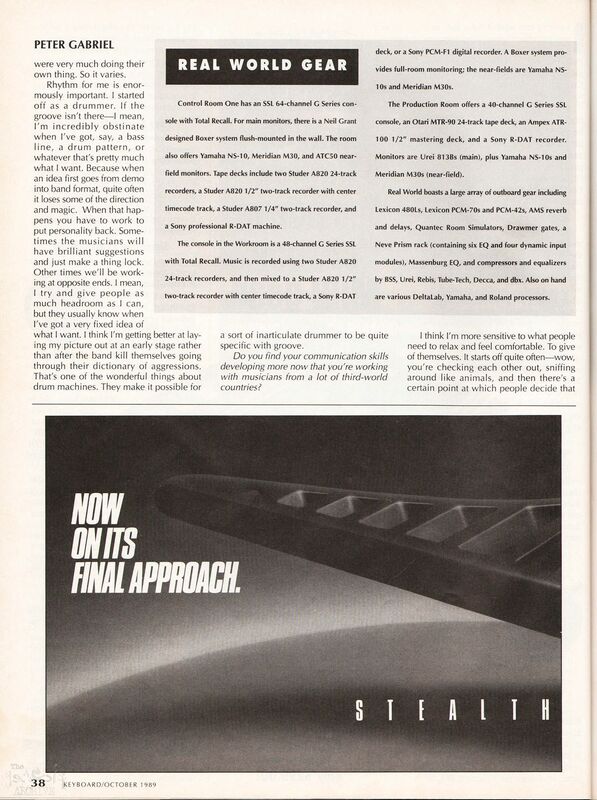 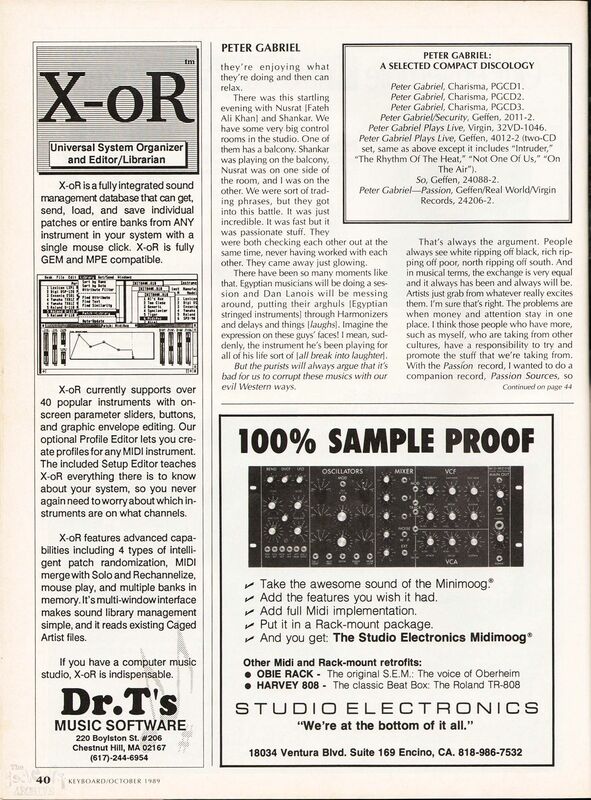 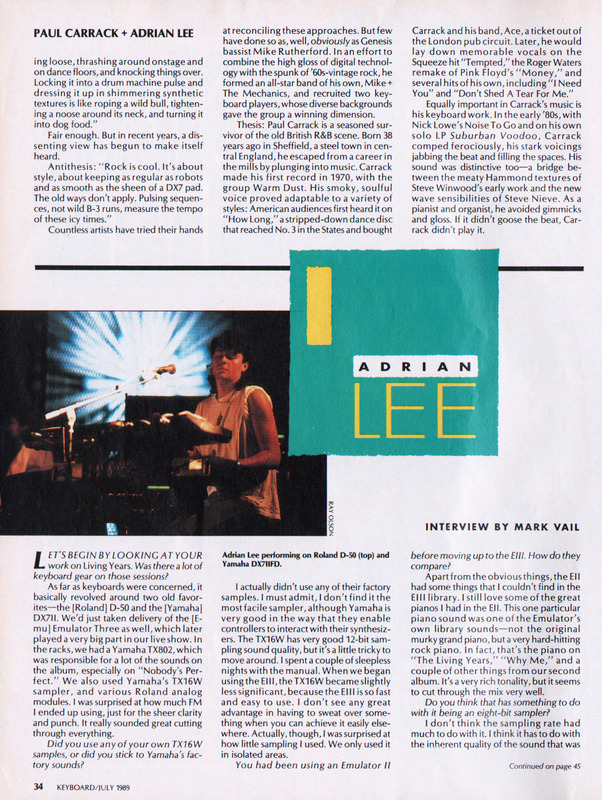 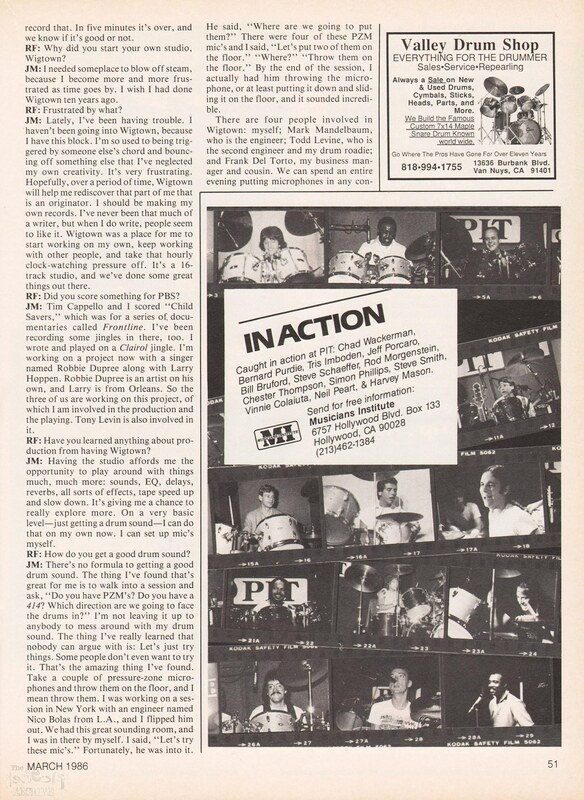 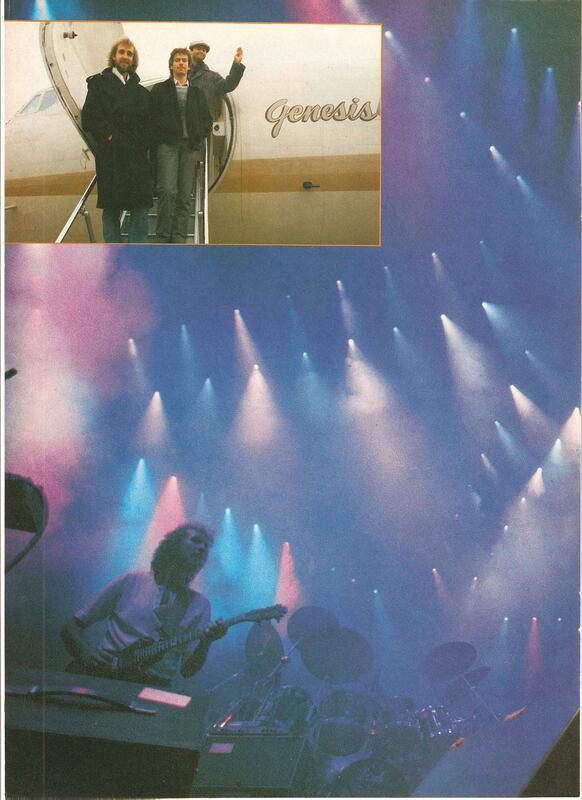 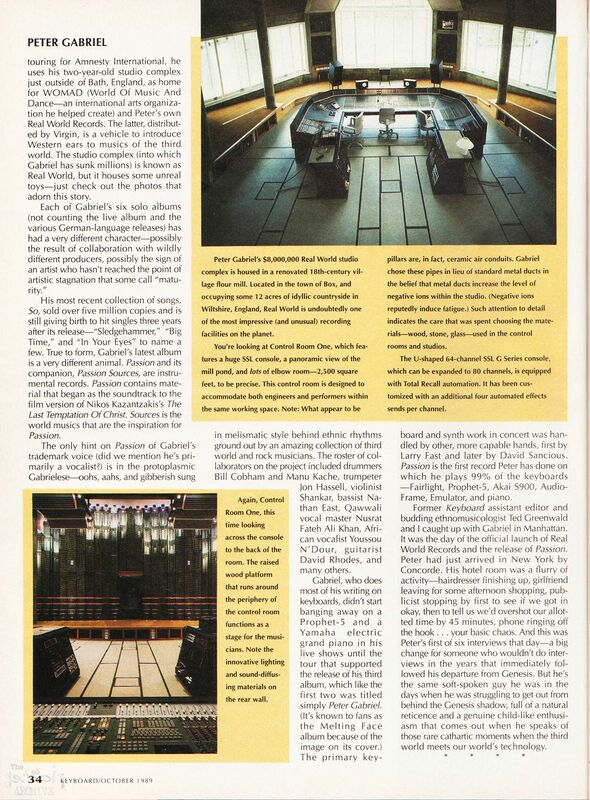 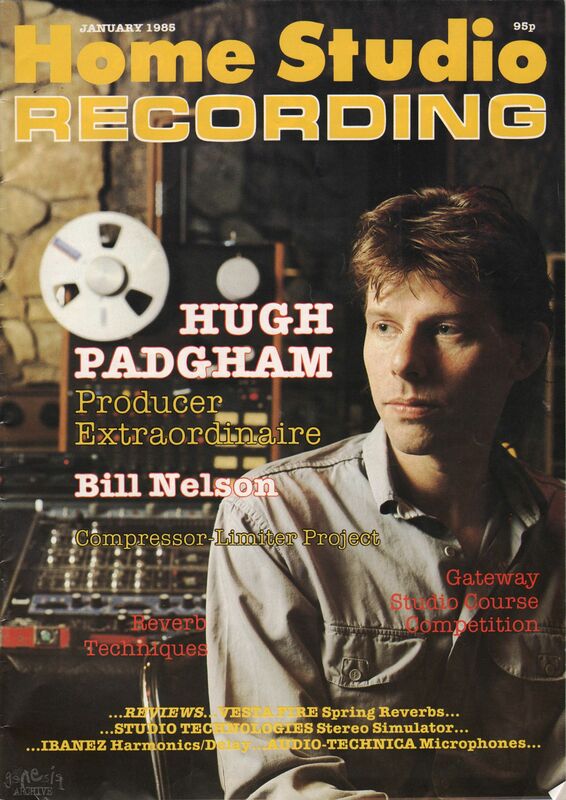 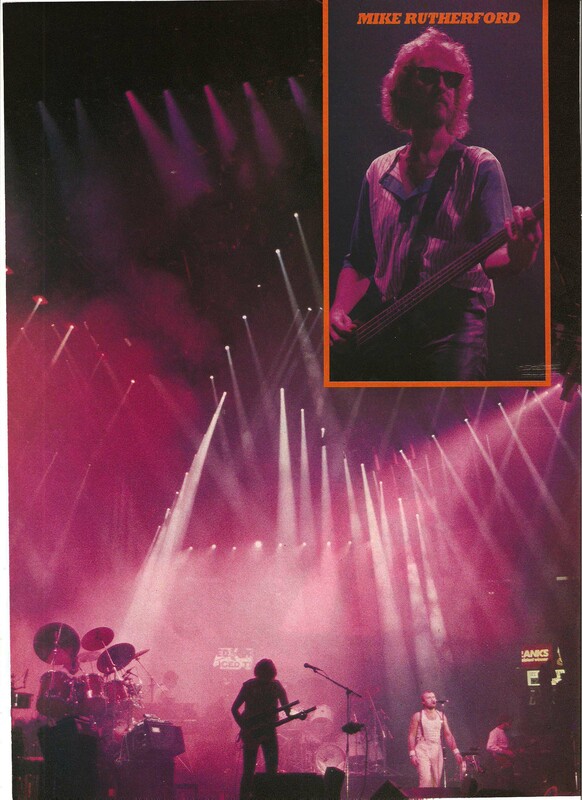 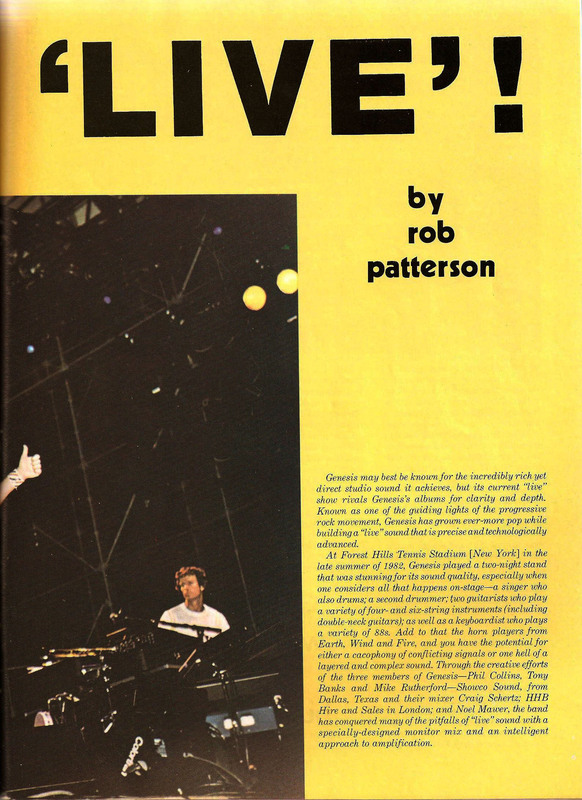 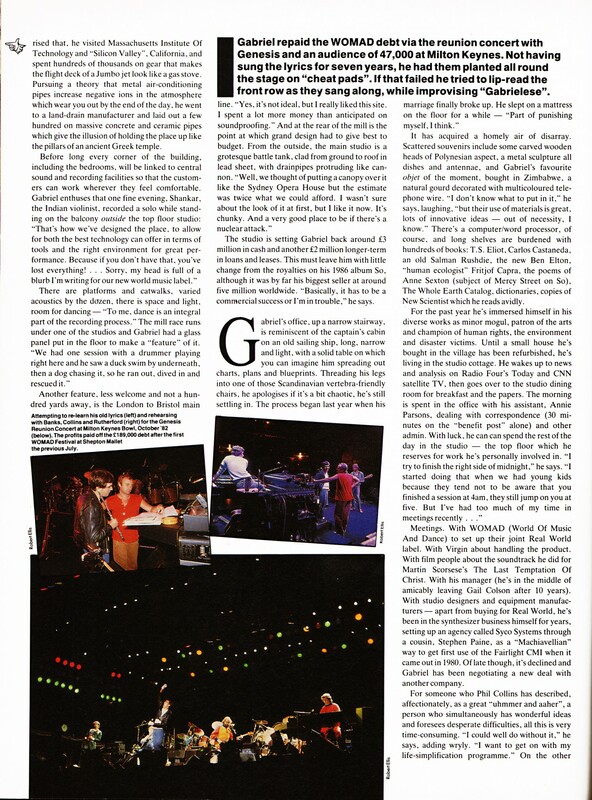 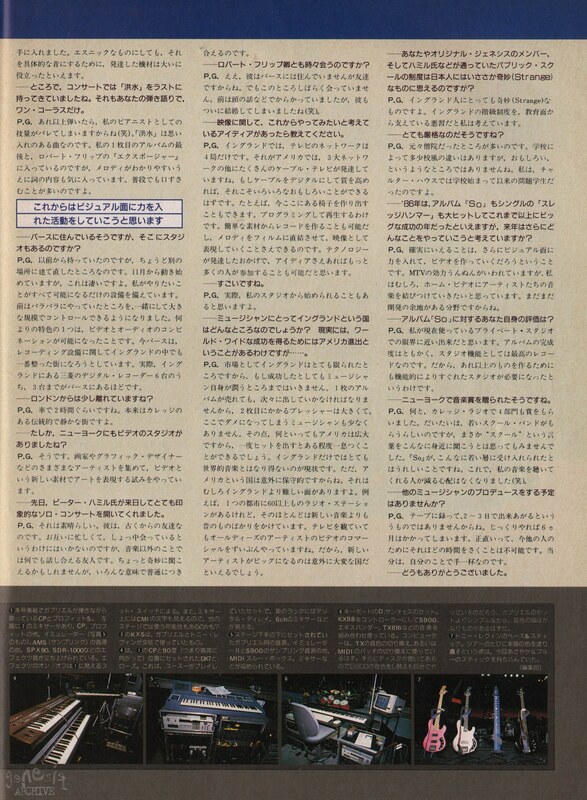 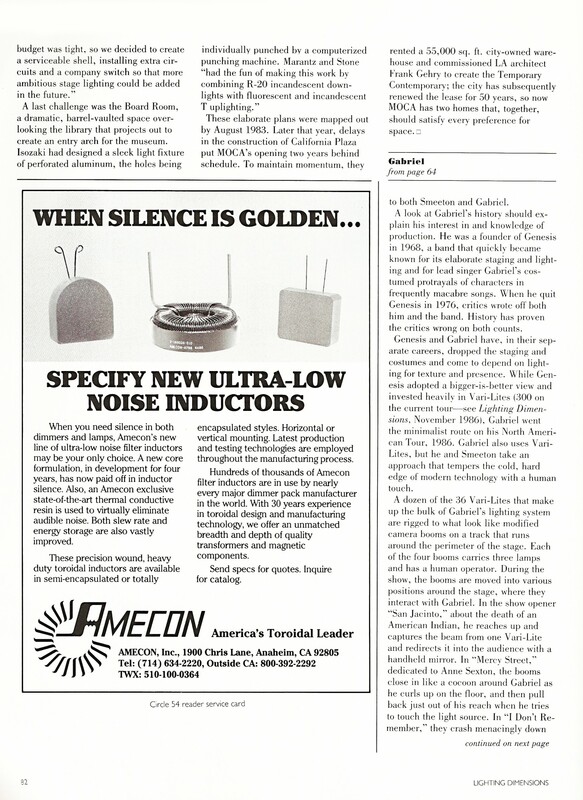 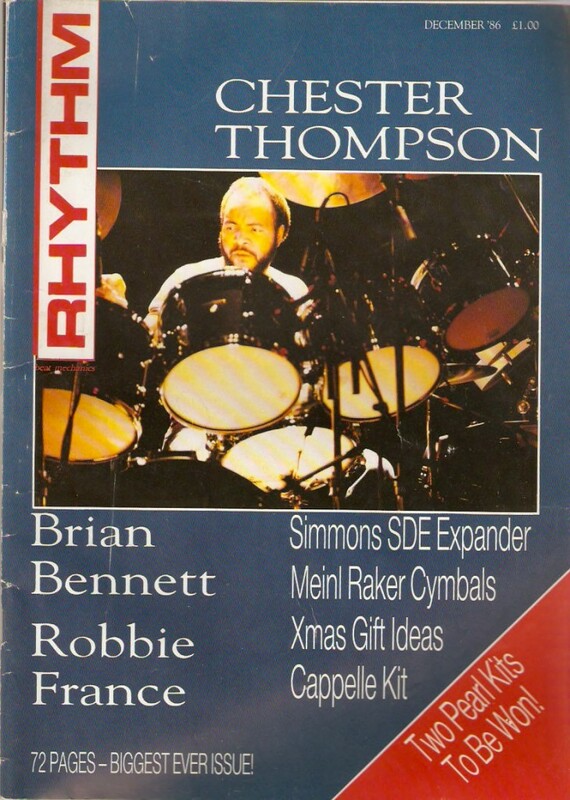 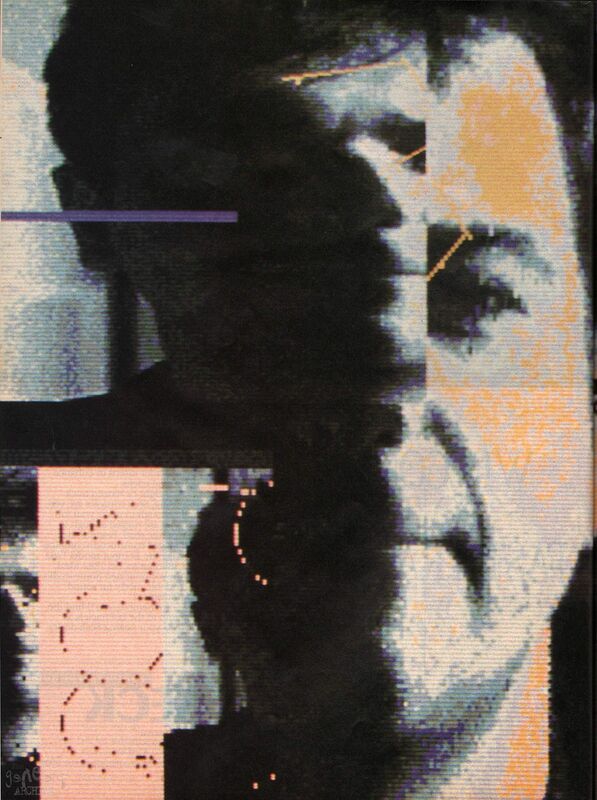 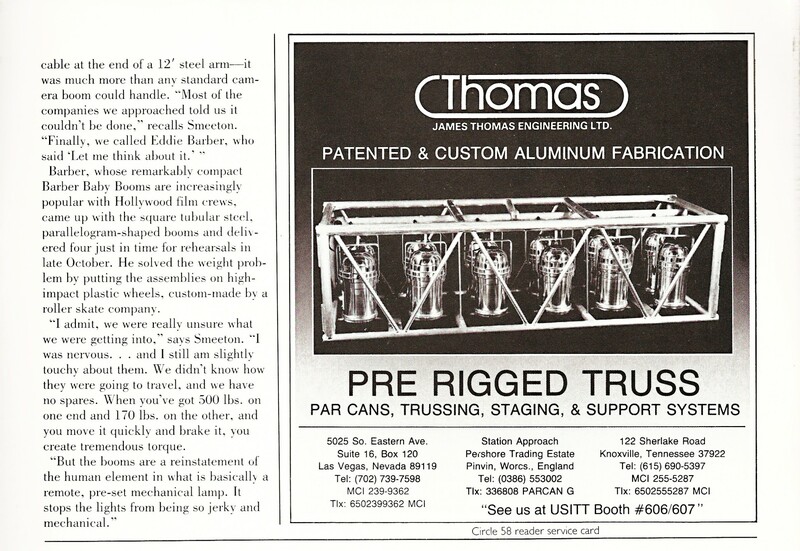 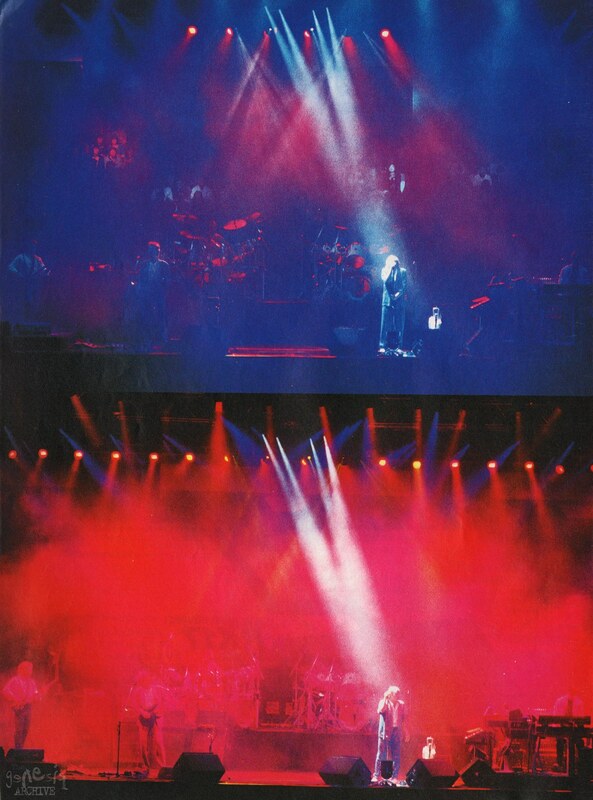 This is a Lighting magazine the lighting designer for the Peter Gabriel SO tour of 1986/87 is interviewed. 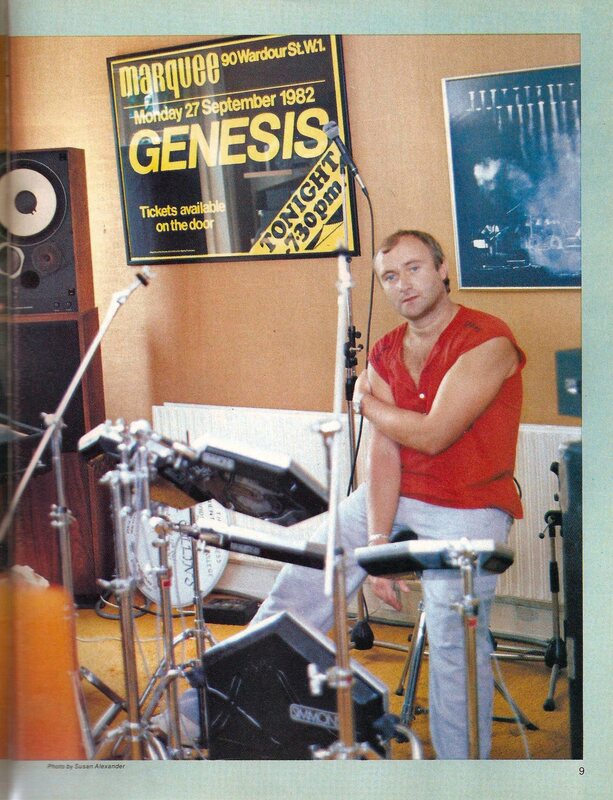 Phil Collins is interviewed after the 1987 Invisible Touch Tour at the Genesis studios in surrey during his work on the some of the soundtrack to the Film Buster. 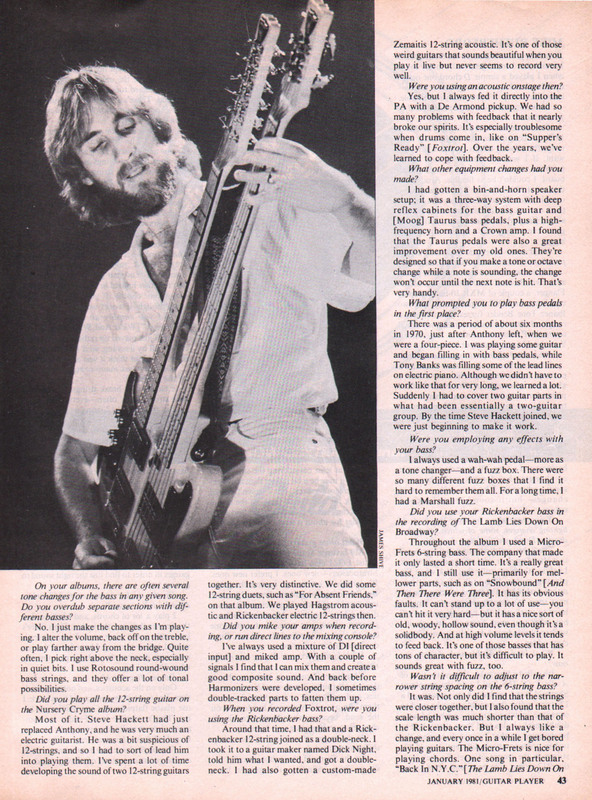 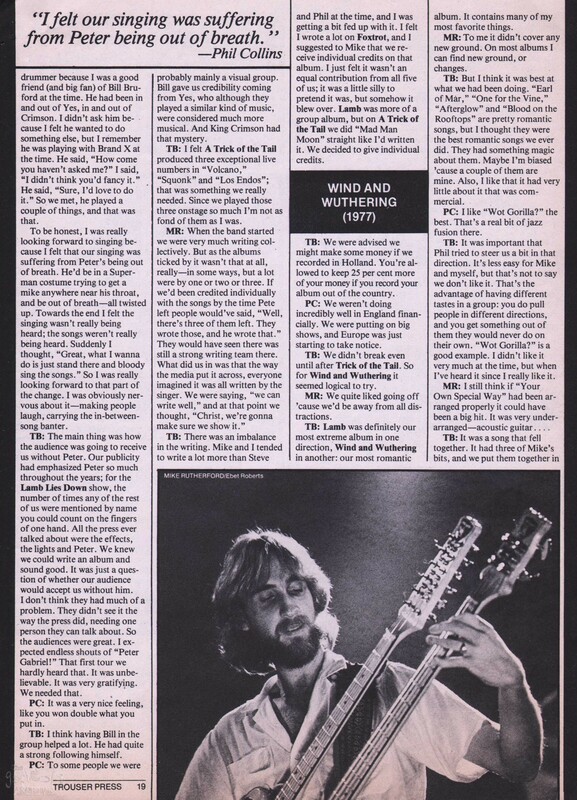 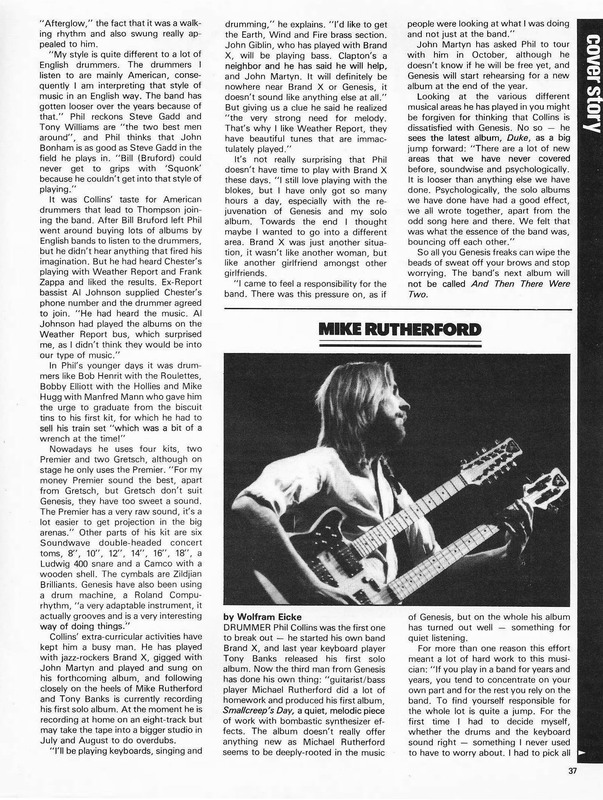 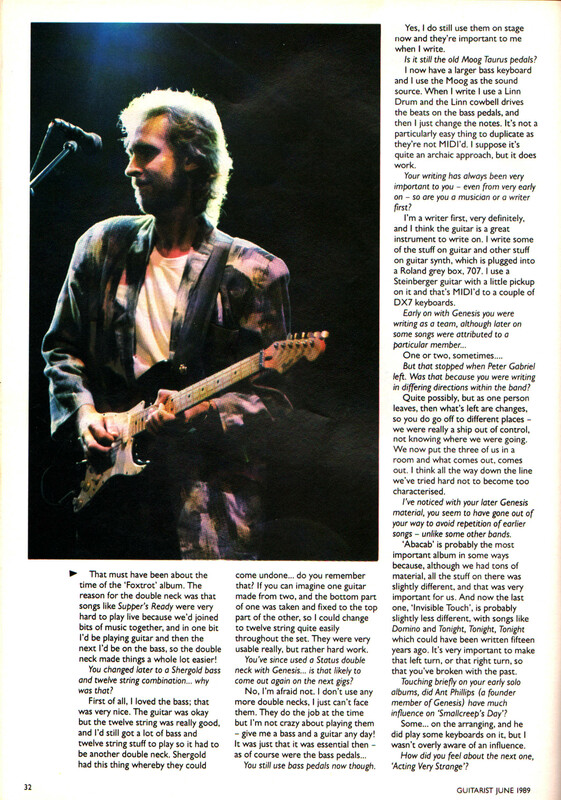 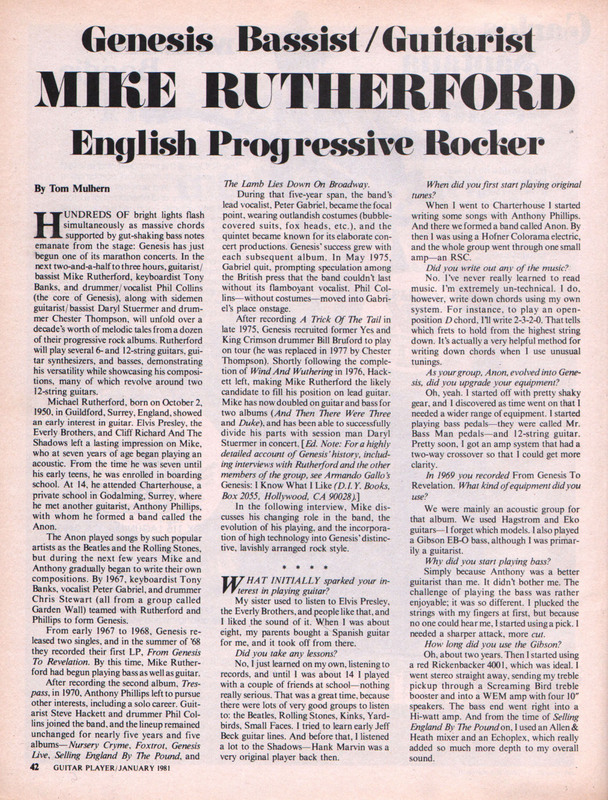 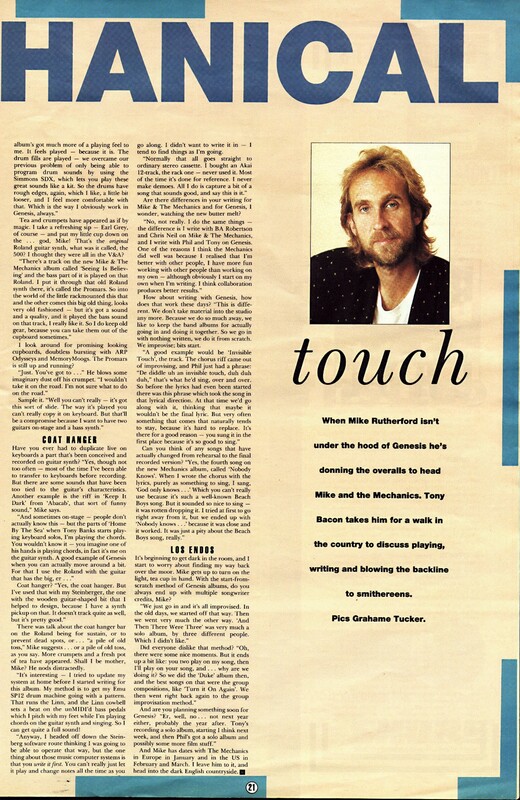 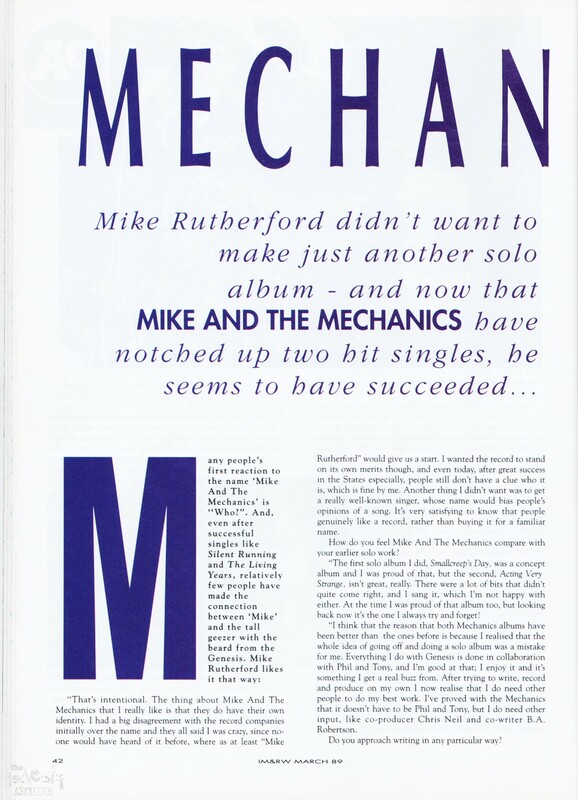 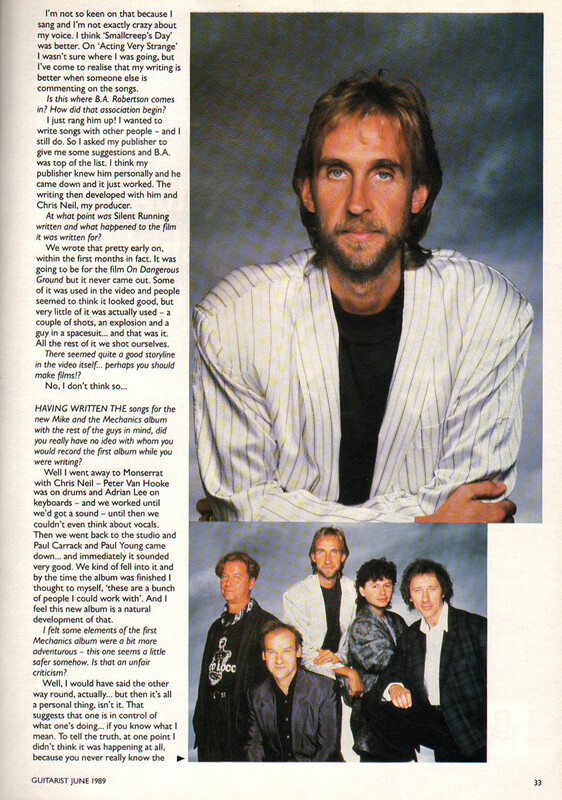 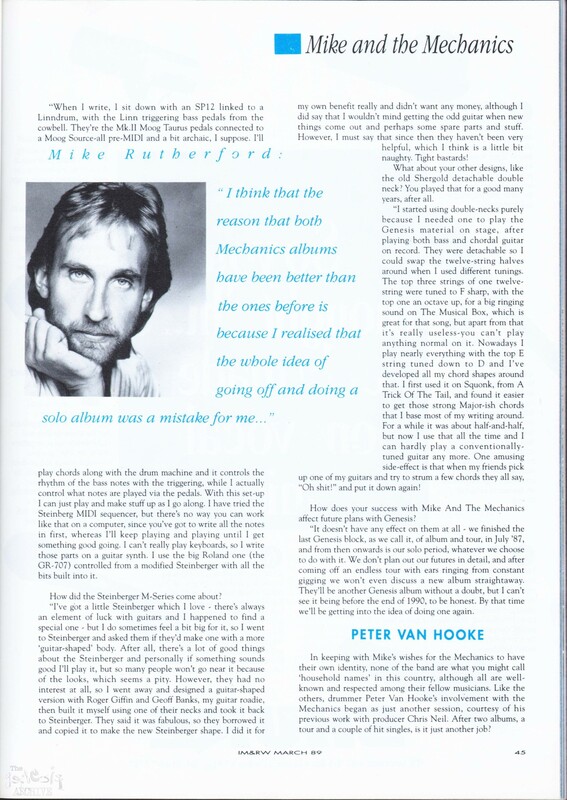 Mike Rutherford is interviewed about Mike and The Mechanics as well as Genesis. 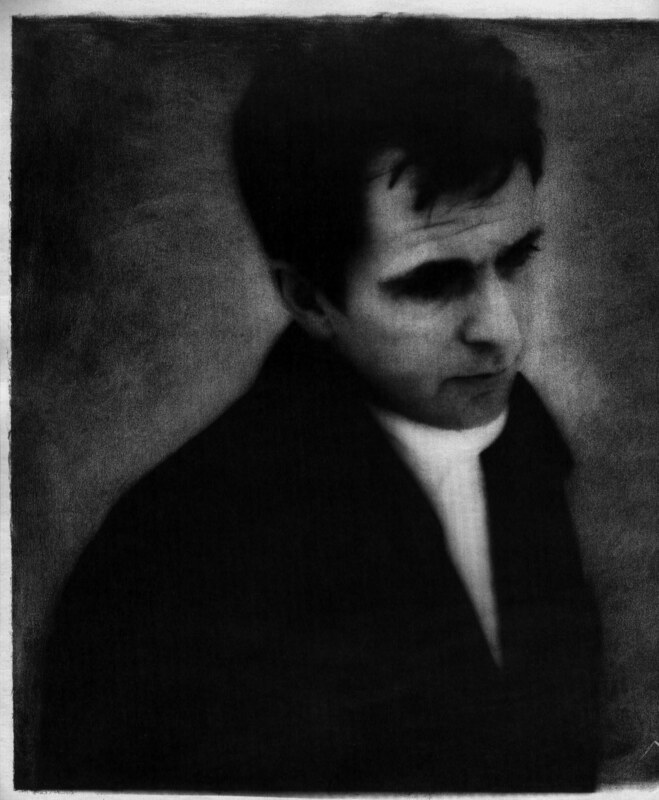 Peter Gabriel is interviewed at his new studio in Box Bath. 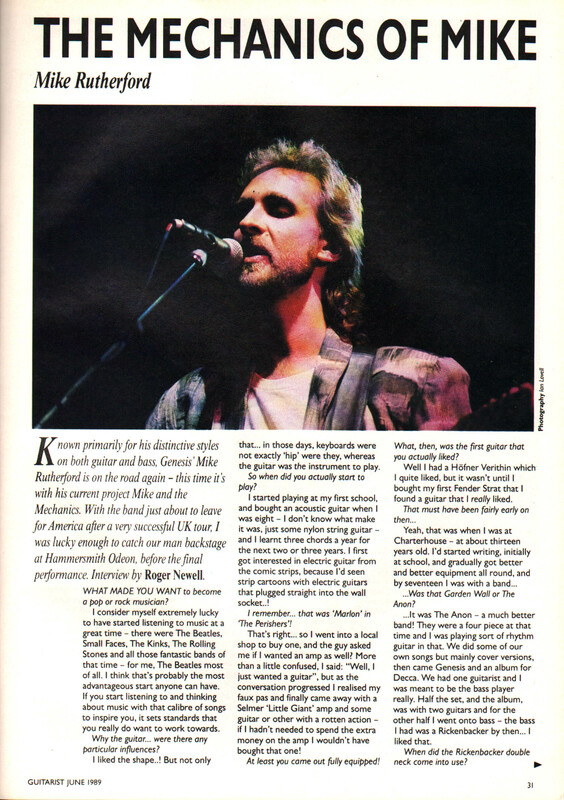 Mike Rutherford is interviewed during the Hammersmith Odeon London leg of the Living Years tour. 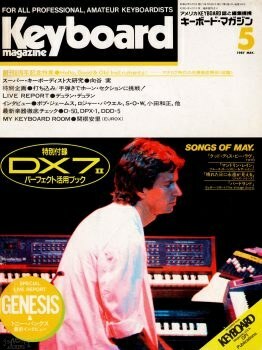 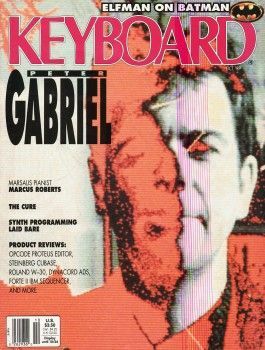 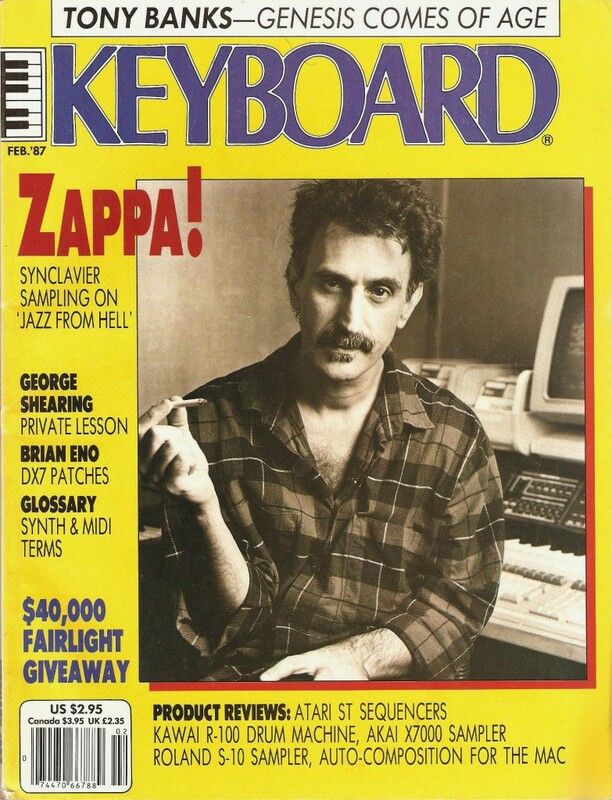 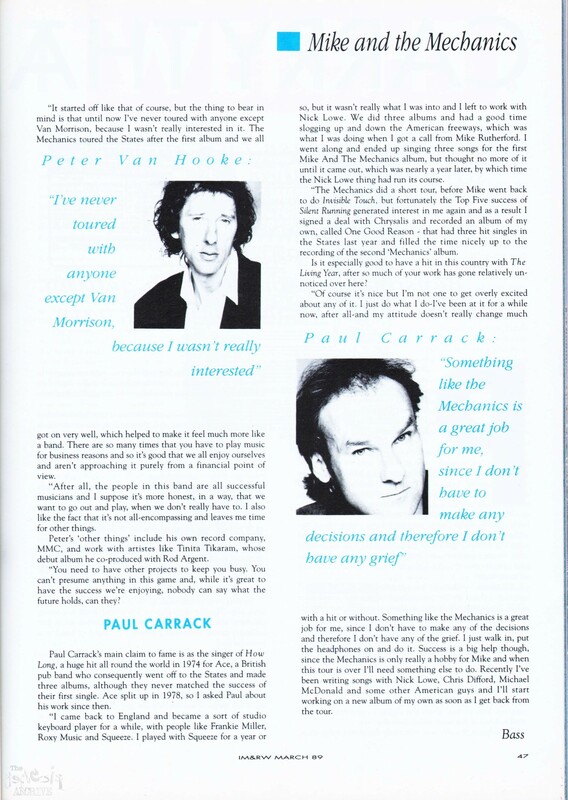 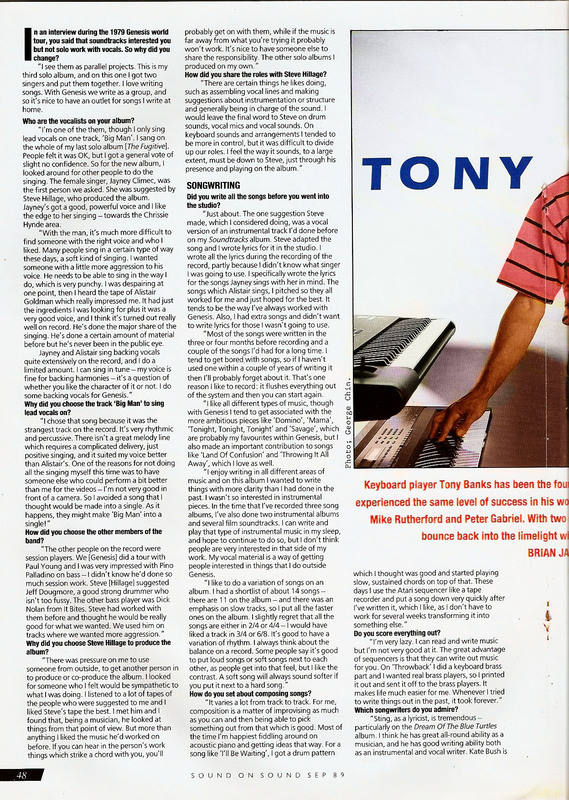 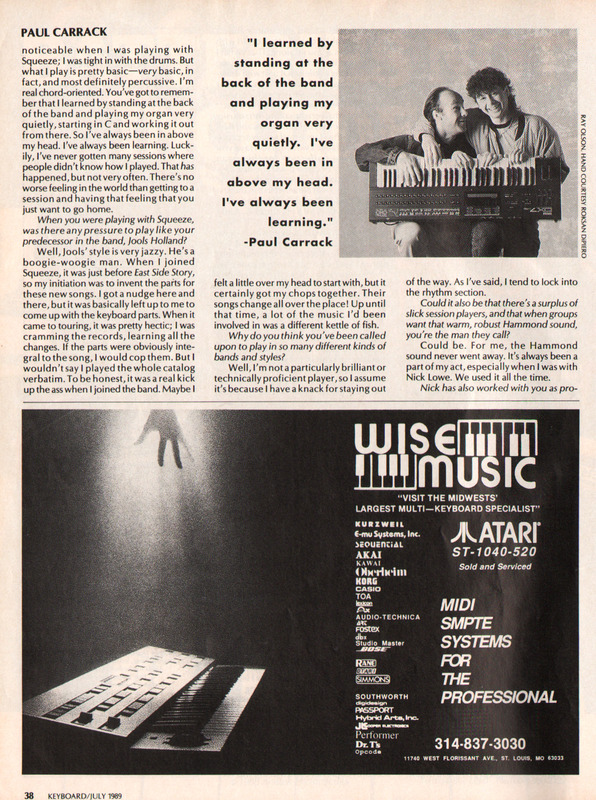 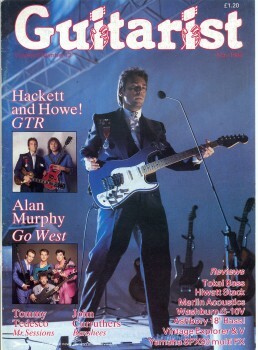 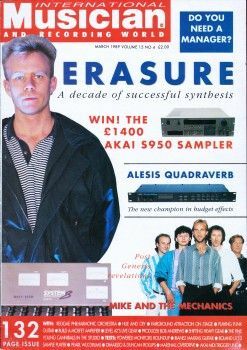 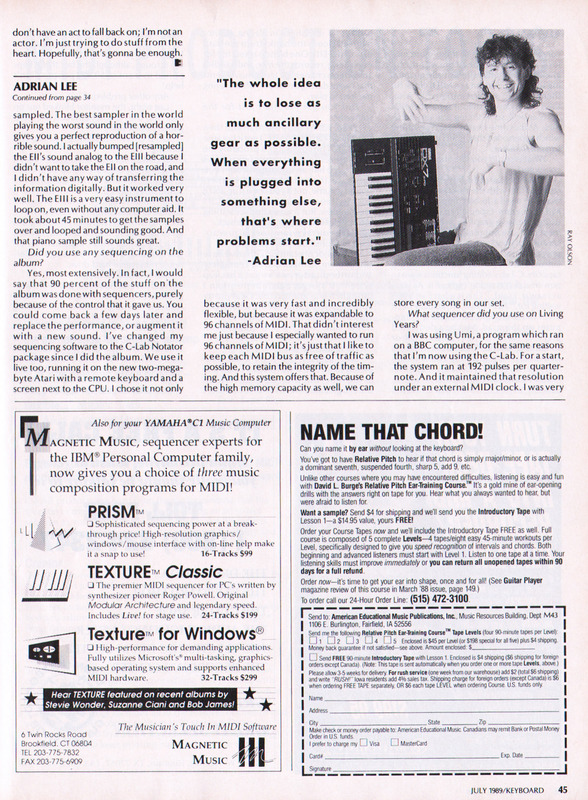 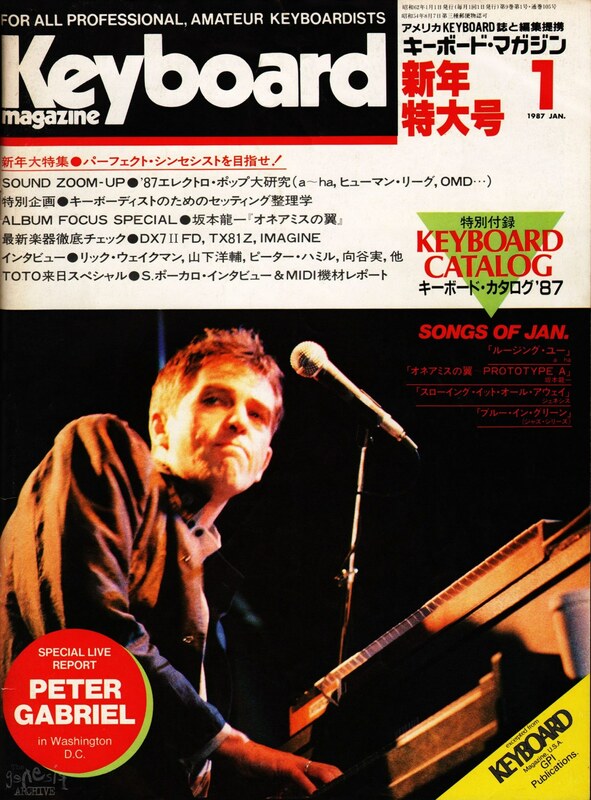 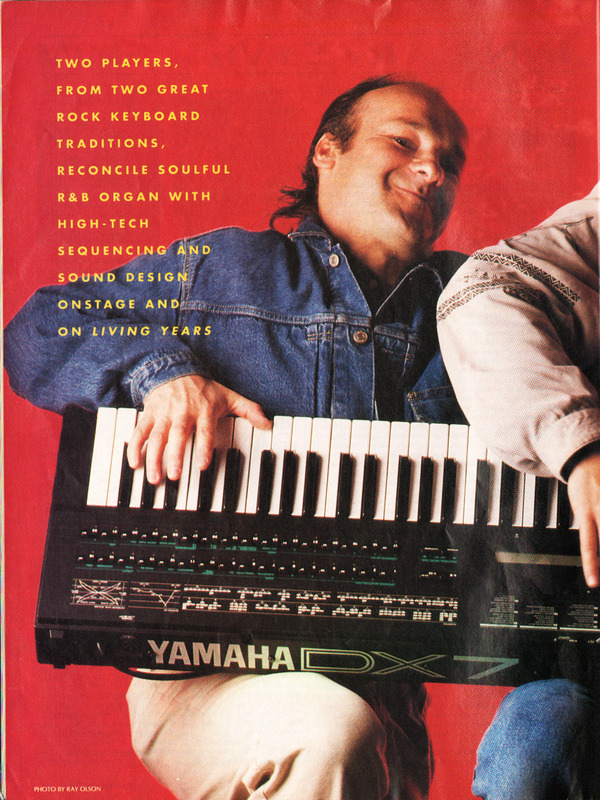 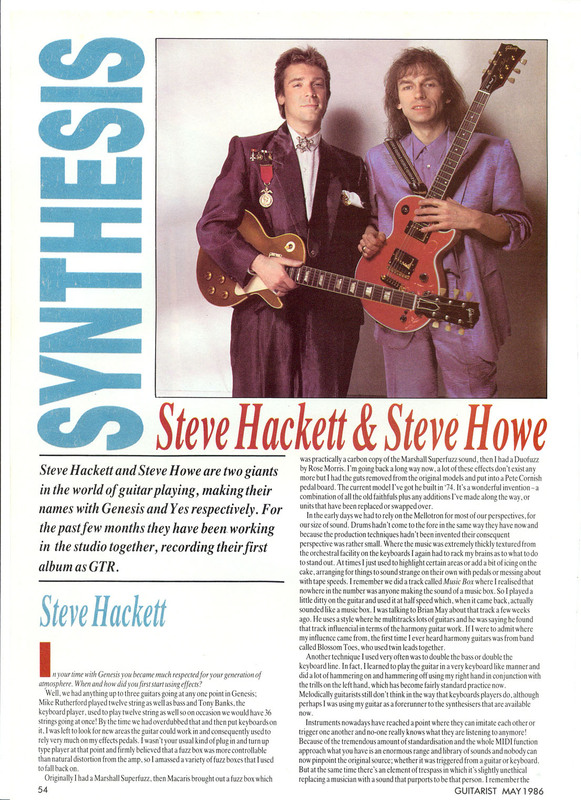 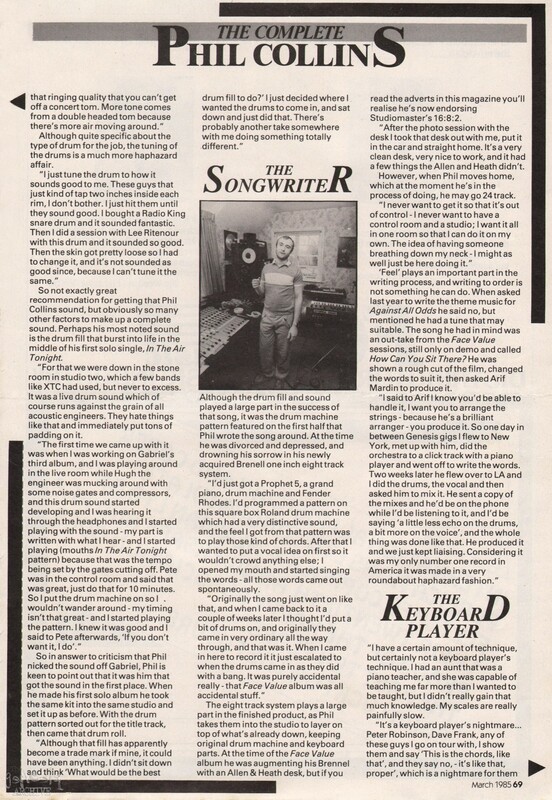 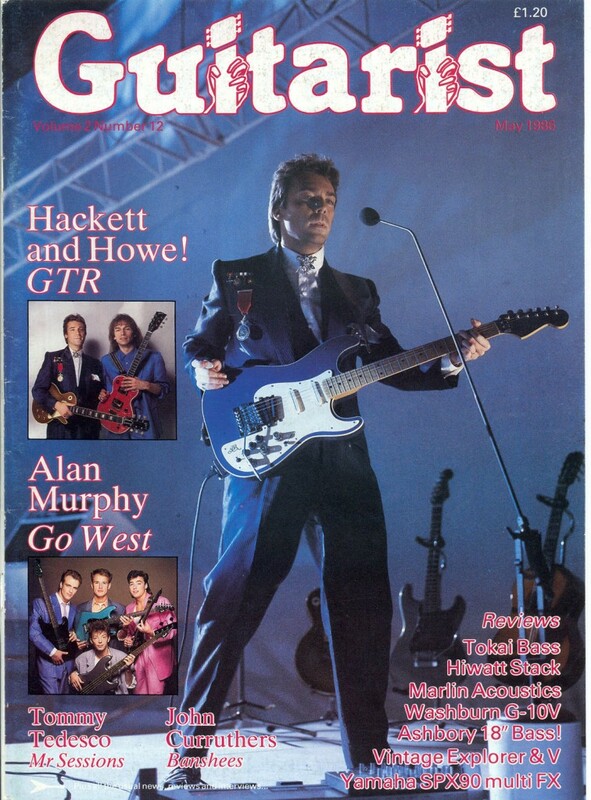 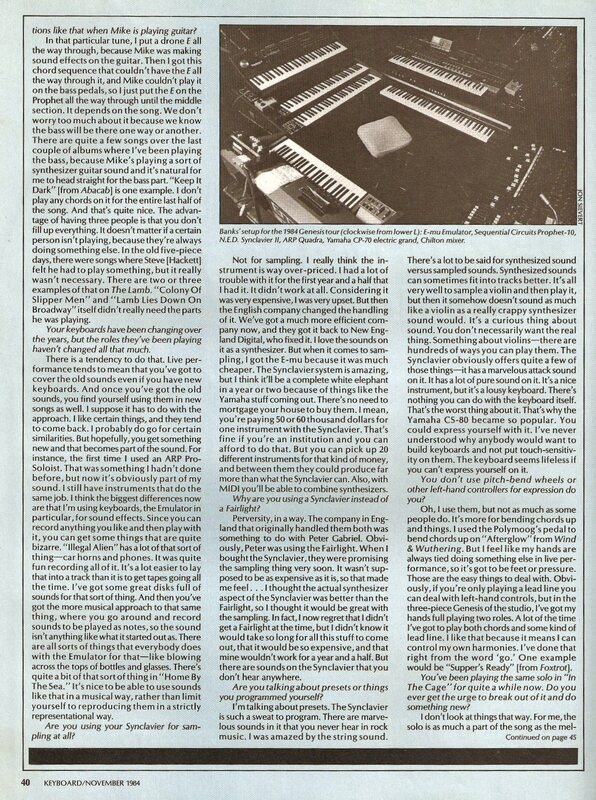 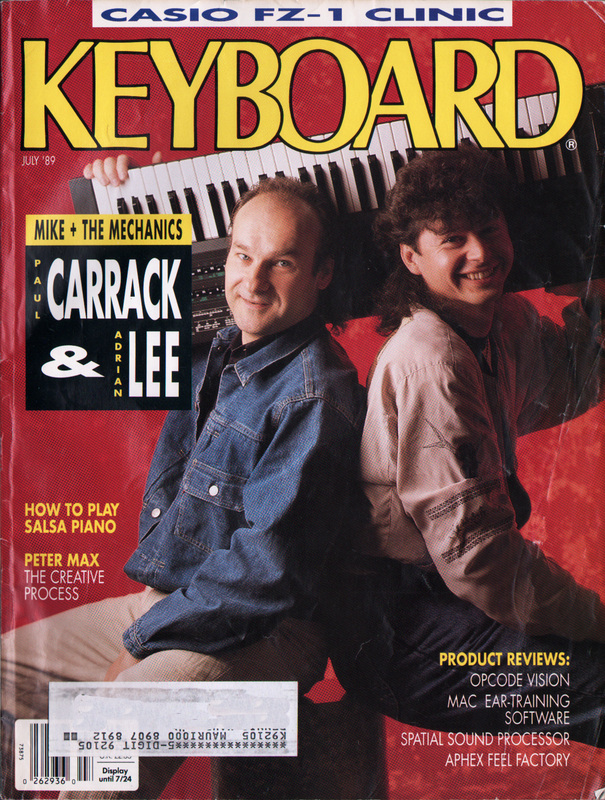 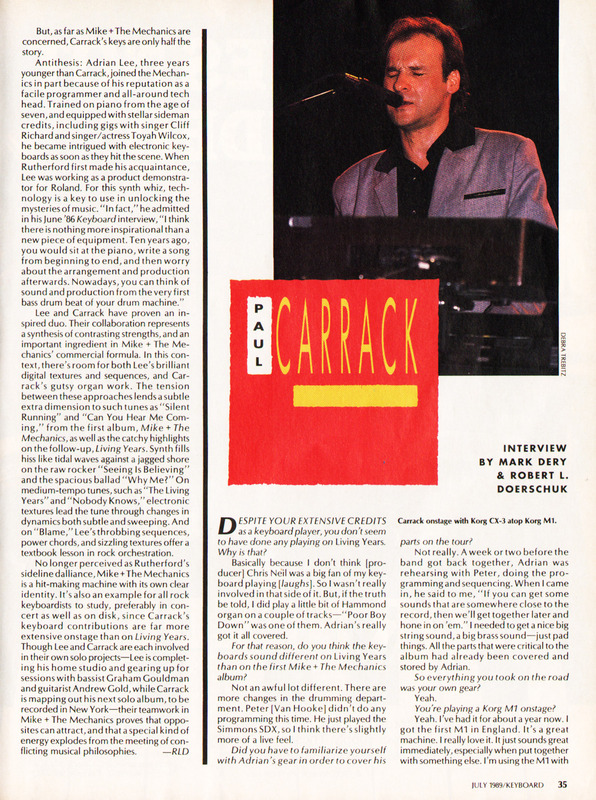 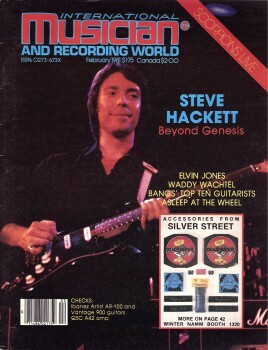 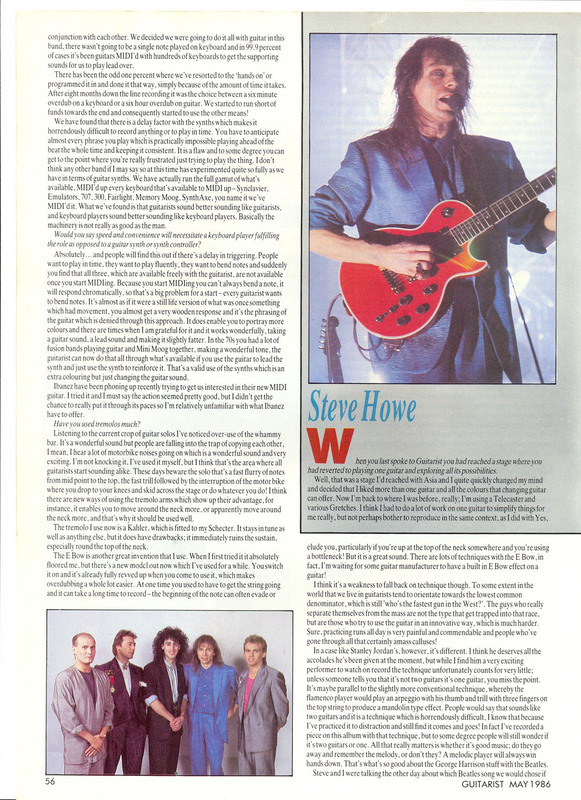 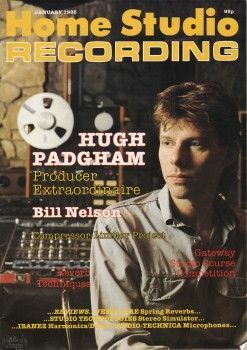 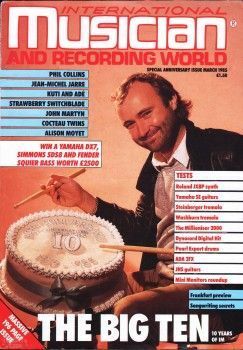 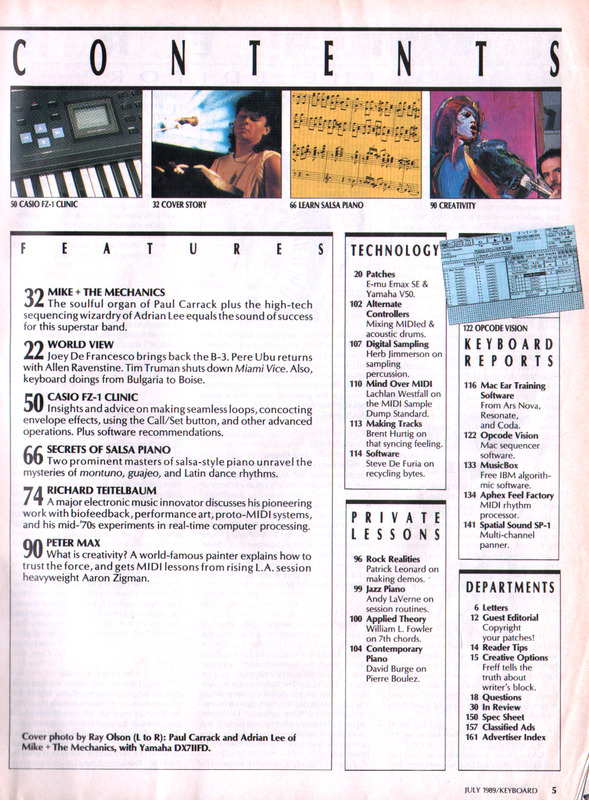 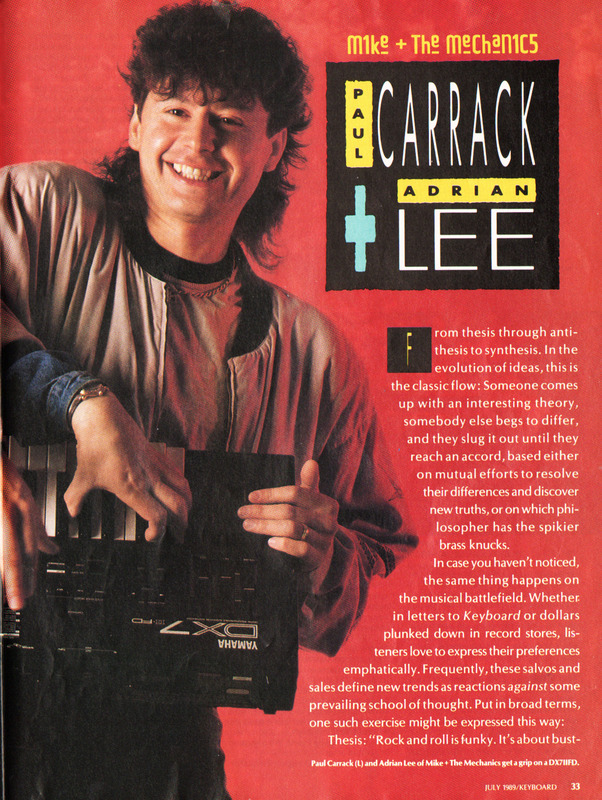 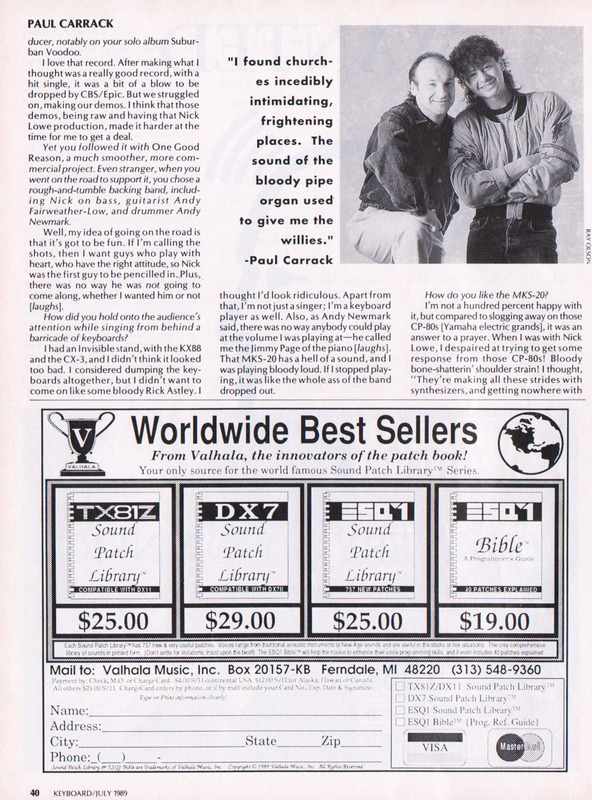 Paul Carrack and Adrian Lee of Mike and The Mechanics are interviewed in this issue of Keyboard, an interesting feature complete with a few photos and useful facts.